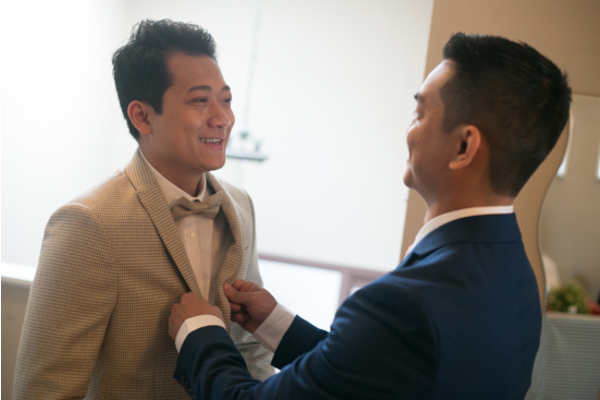 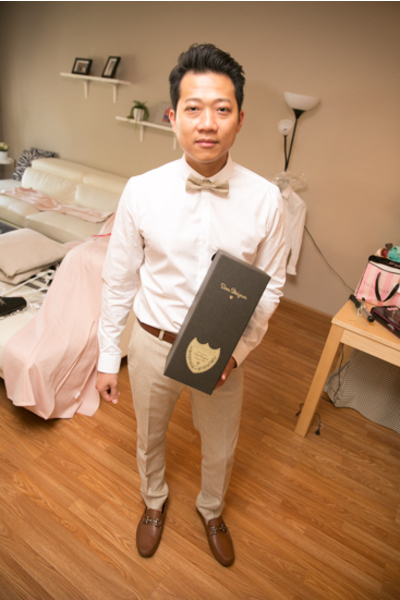 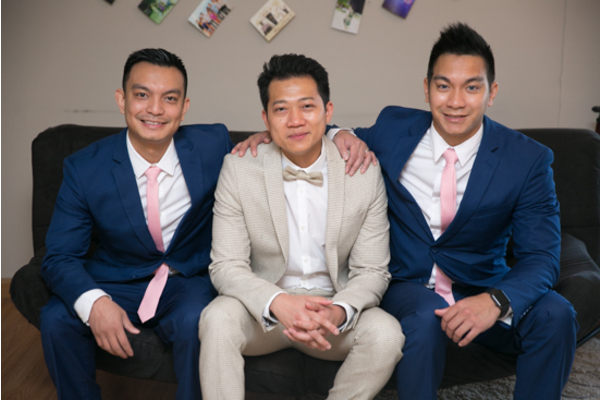 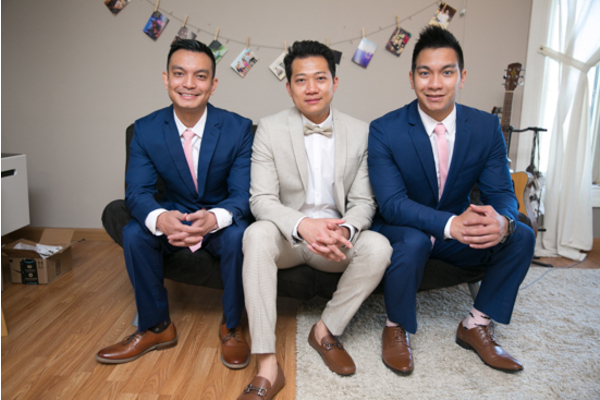 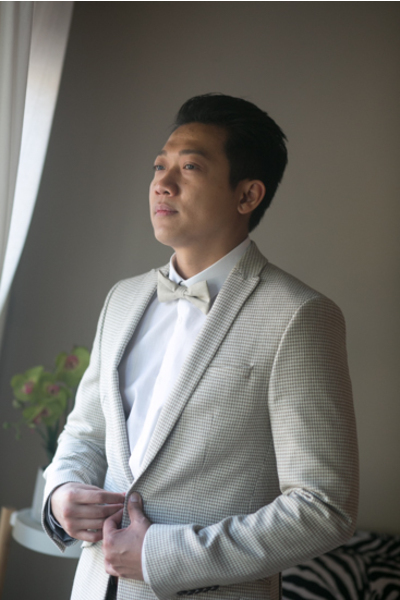 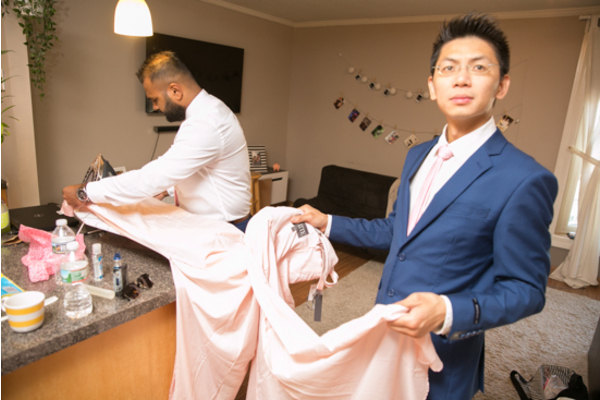 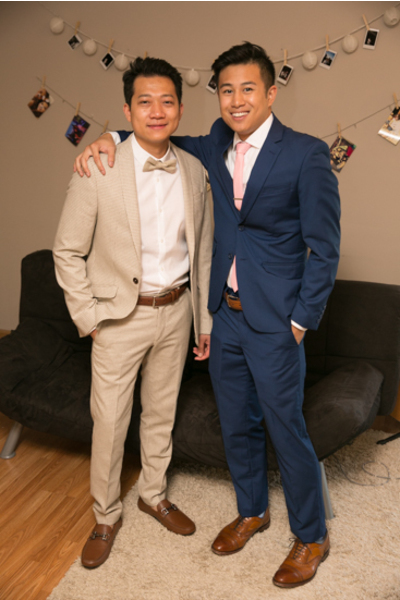 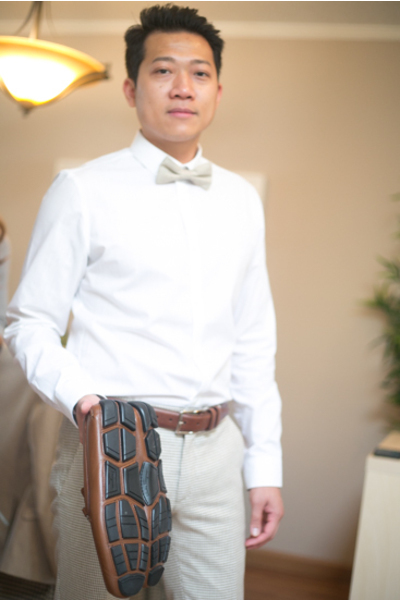 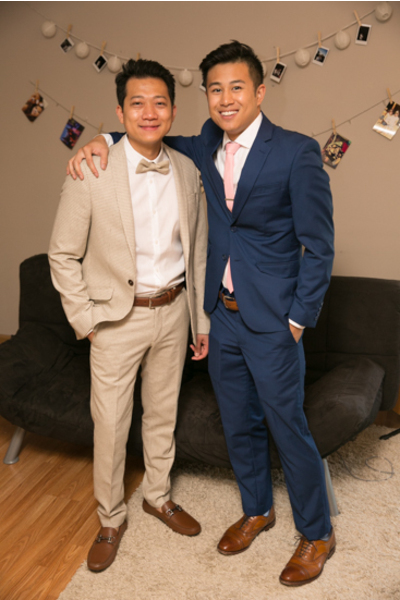 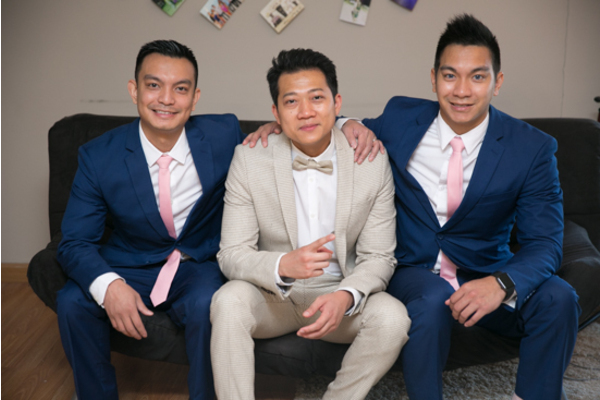 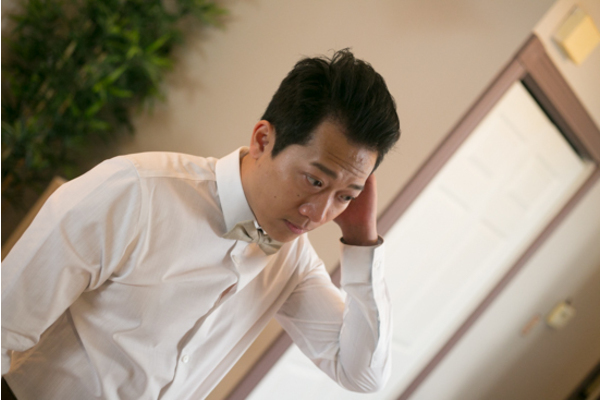 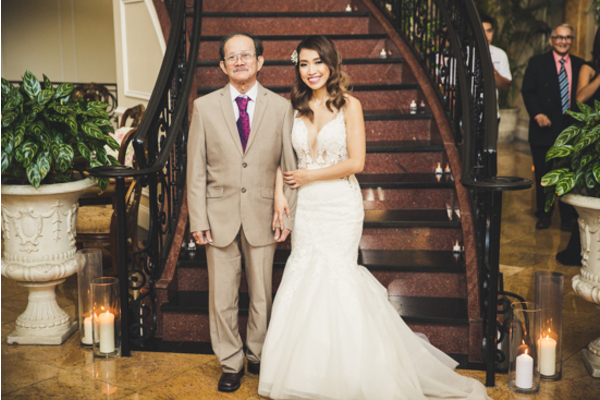 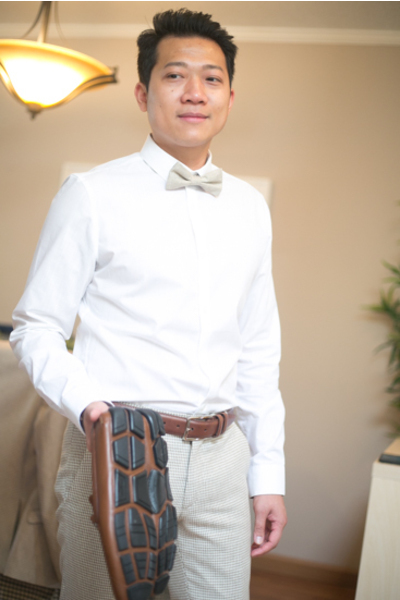 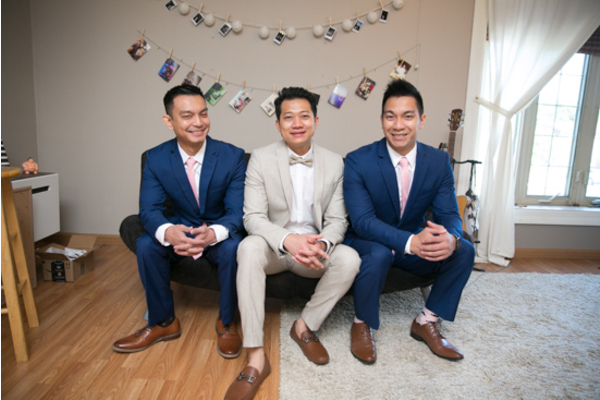 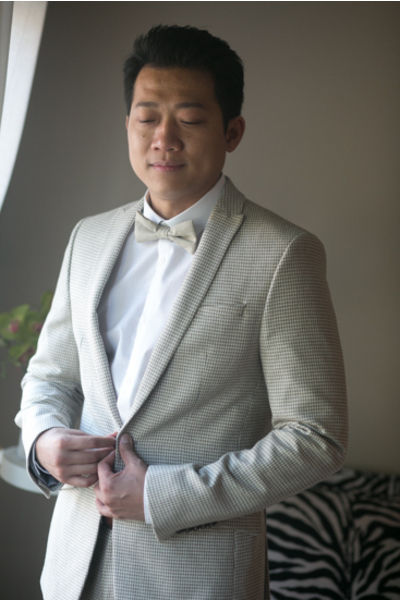 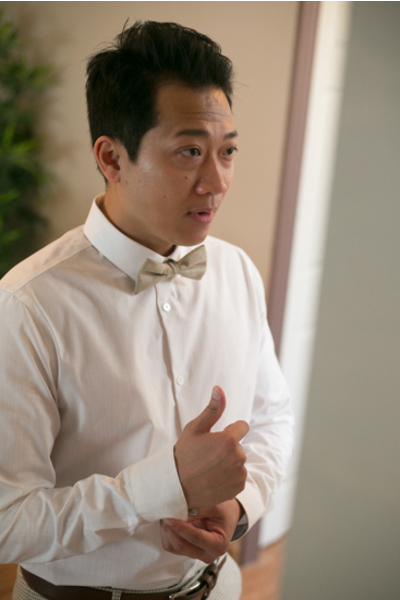 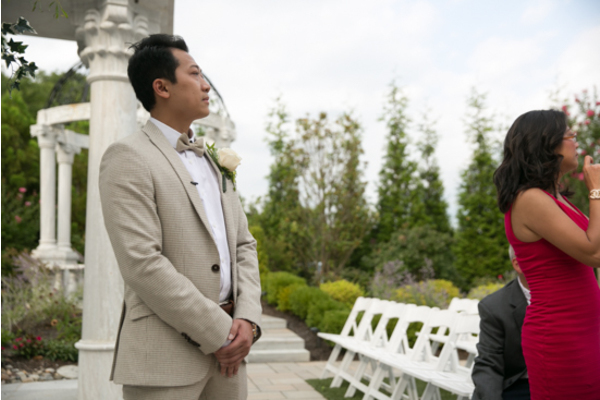 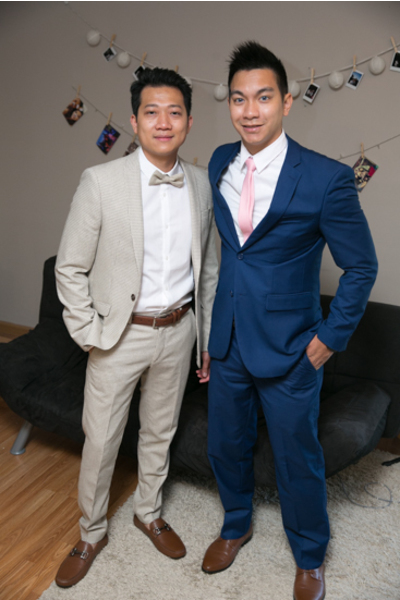 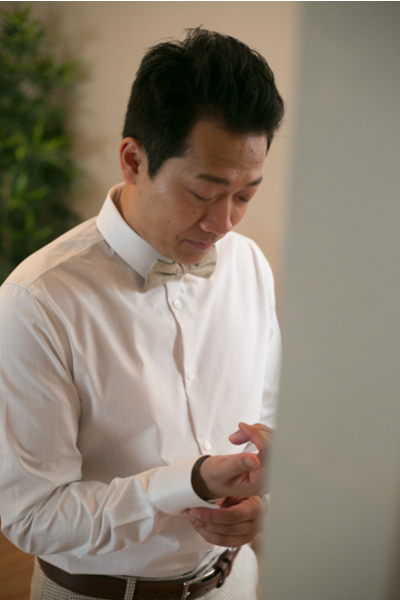 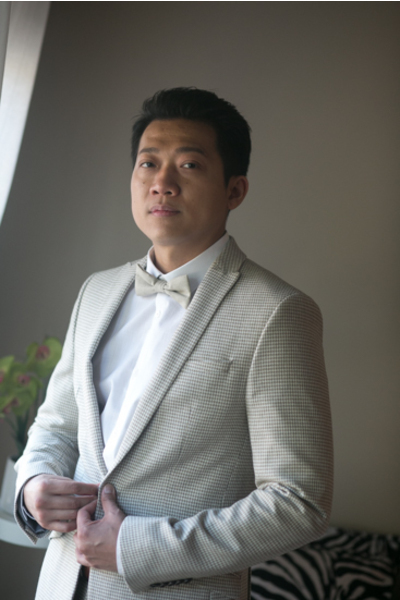 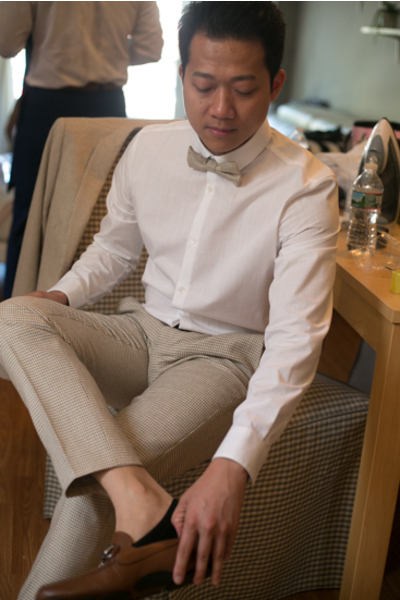 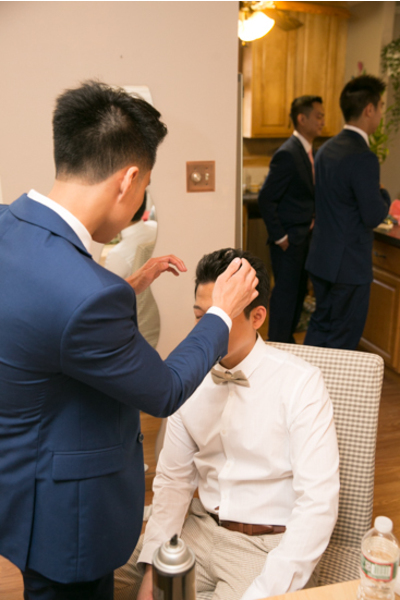 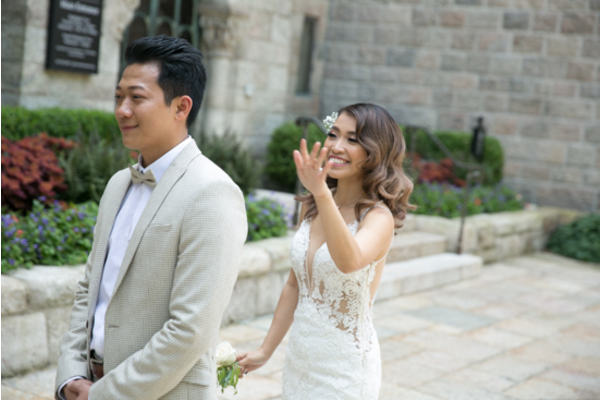 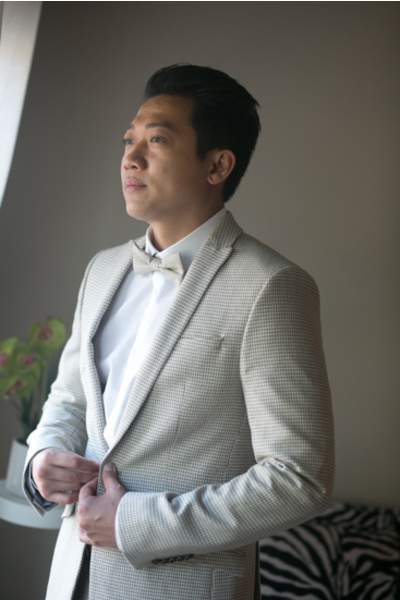 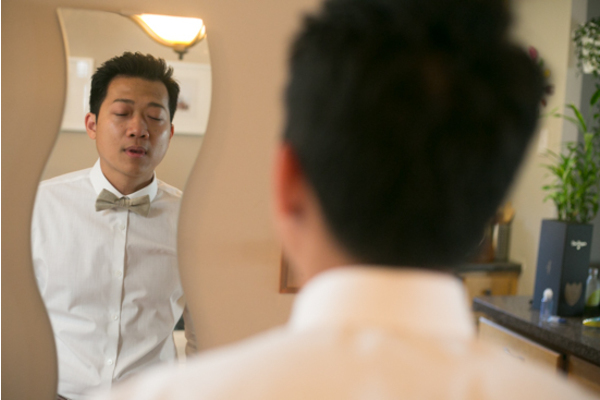 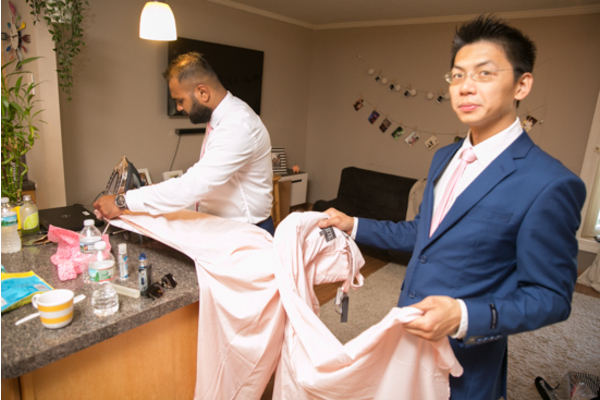 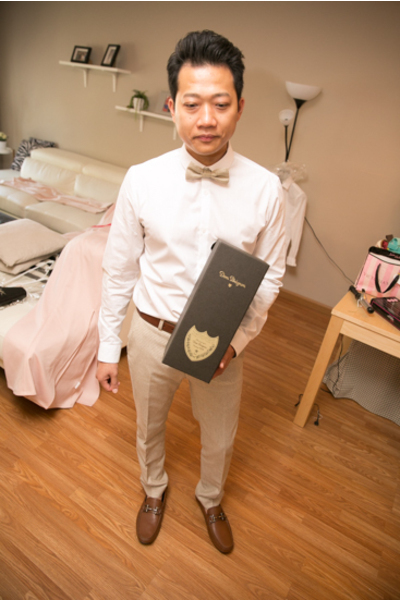 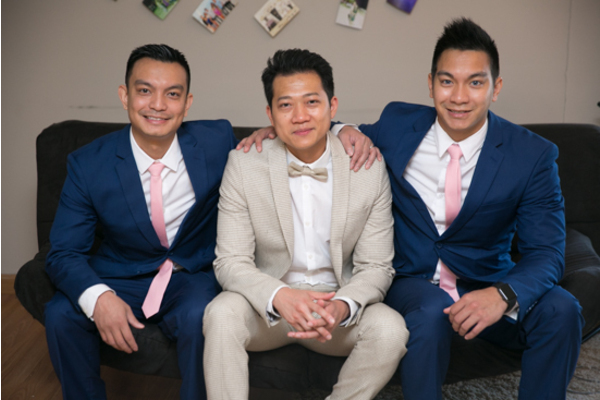 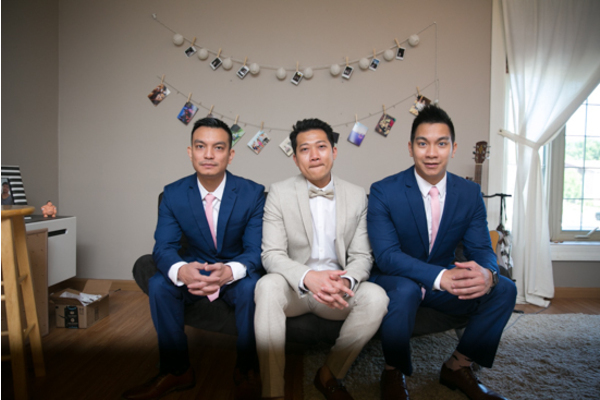 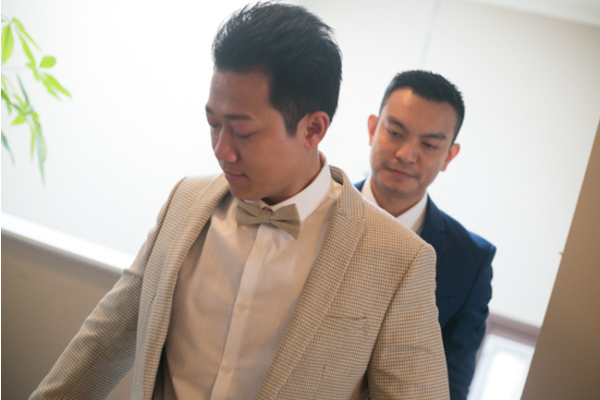 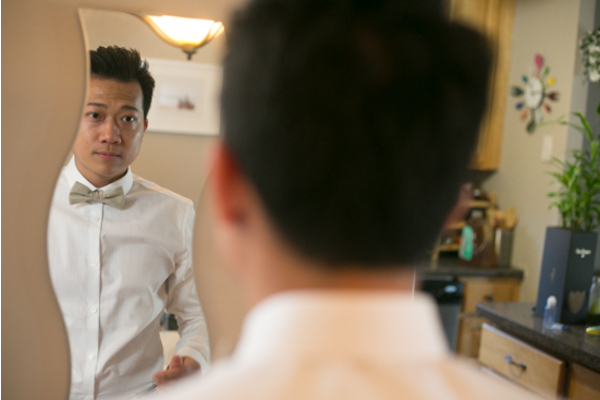 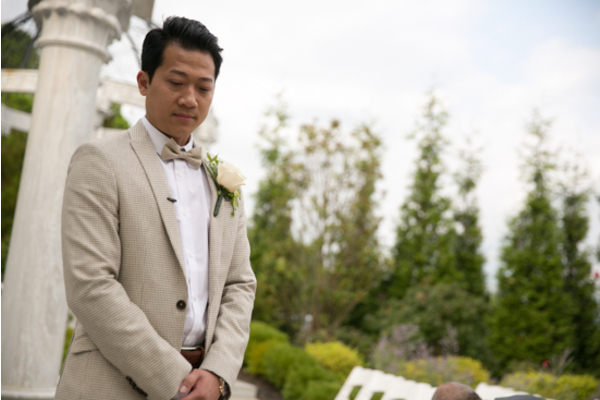 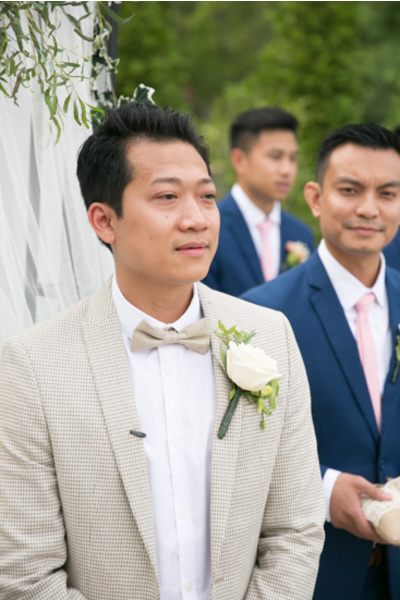 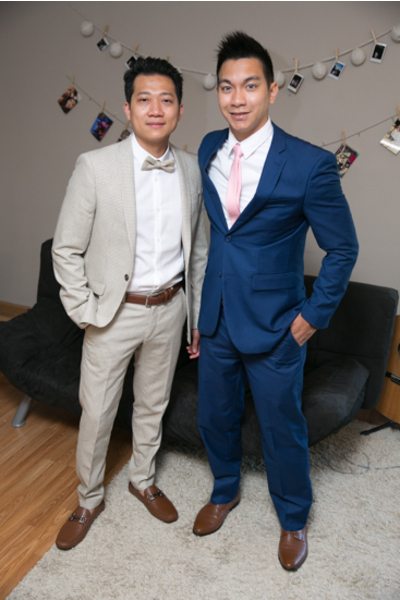 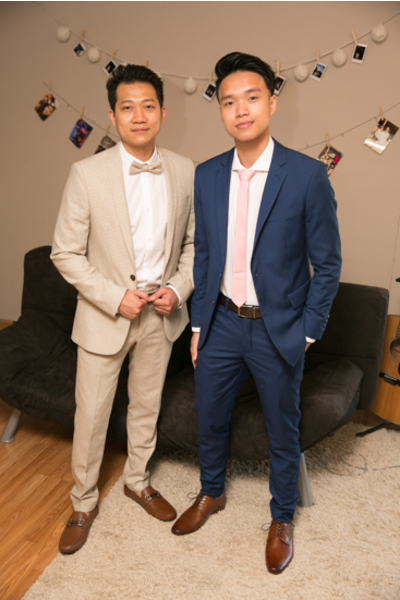 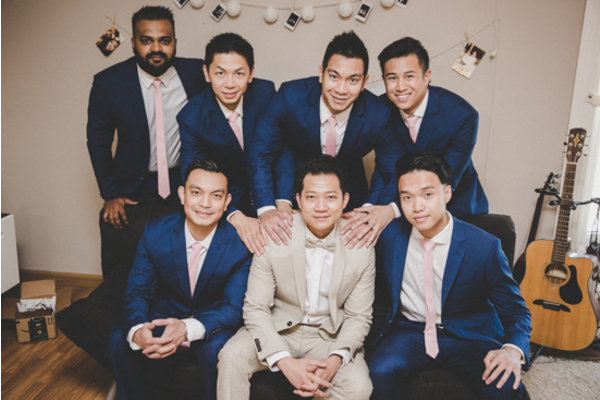 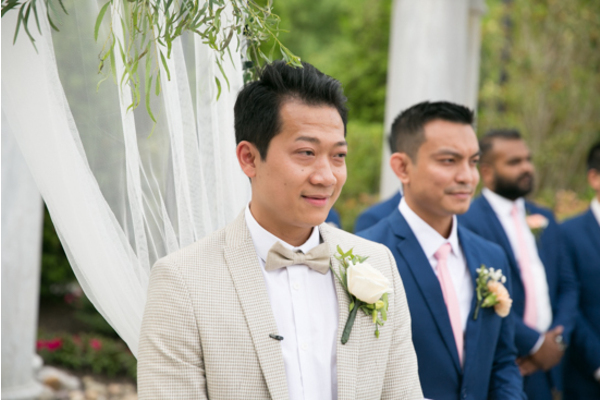 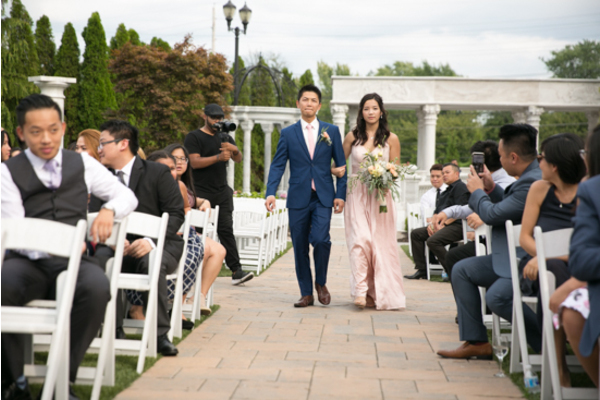 Congratulations to Tu and An on their marriage! 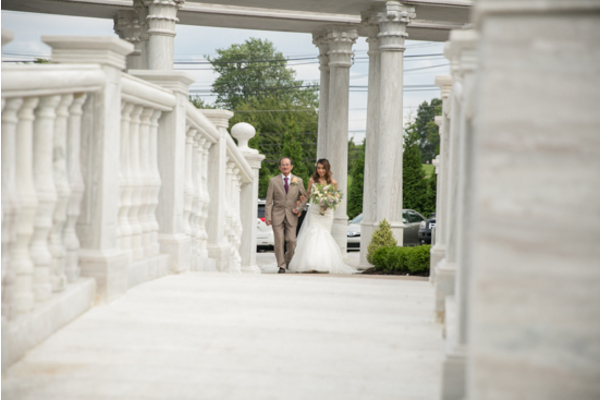 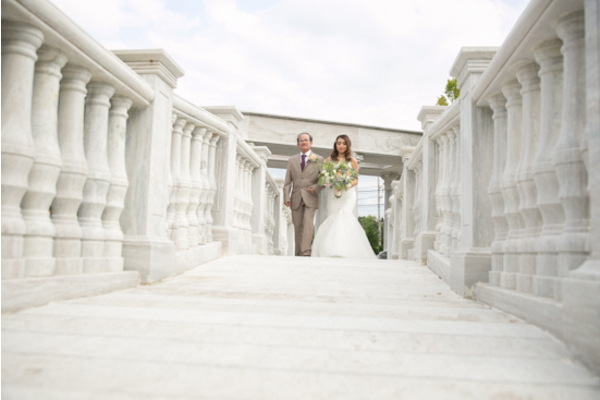 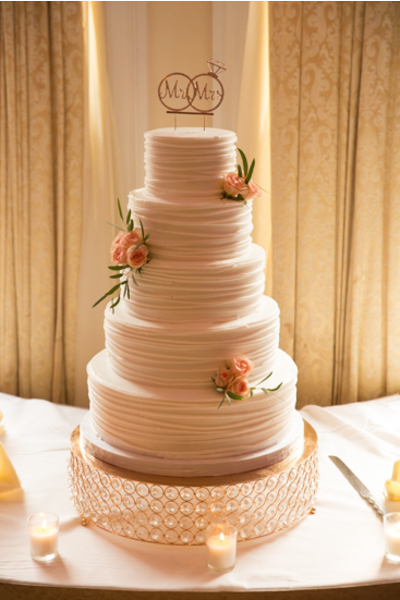 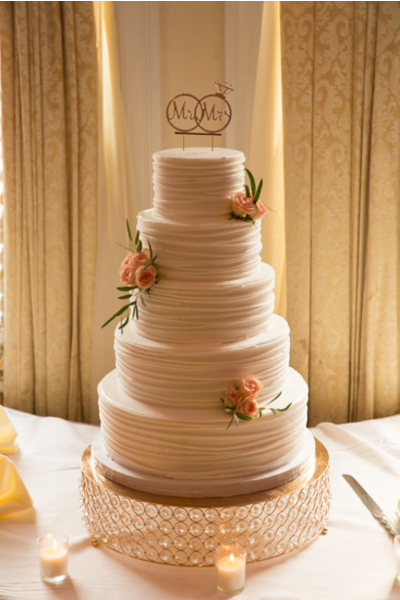 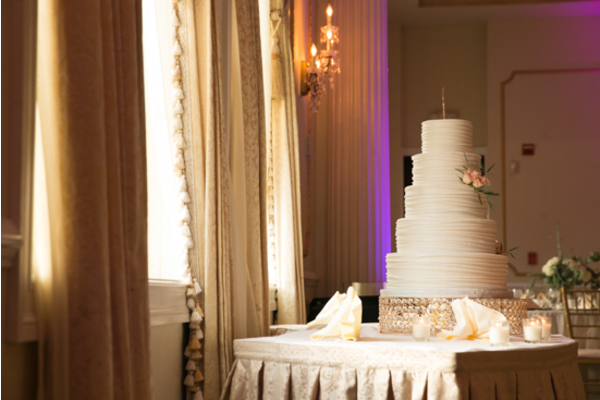 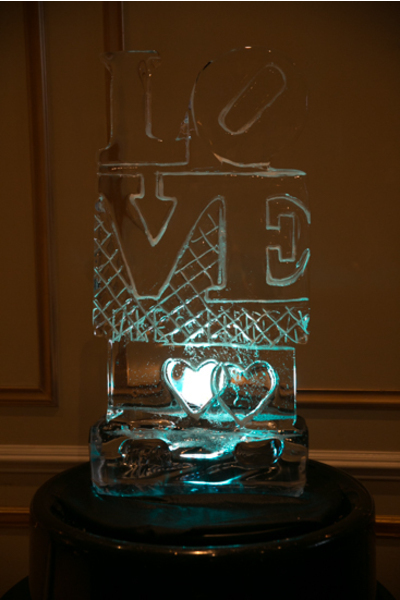 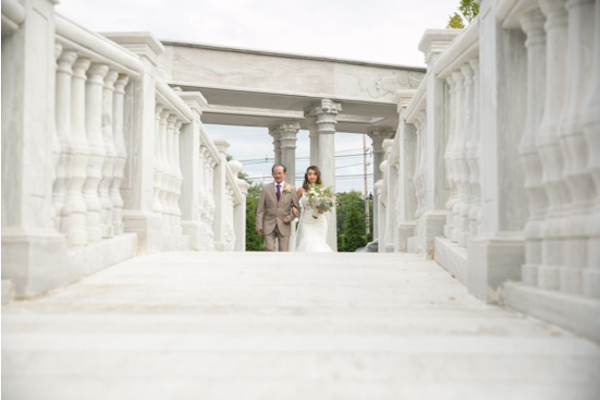 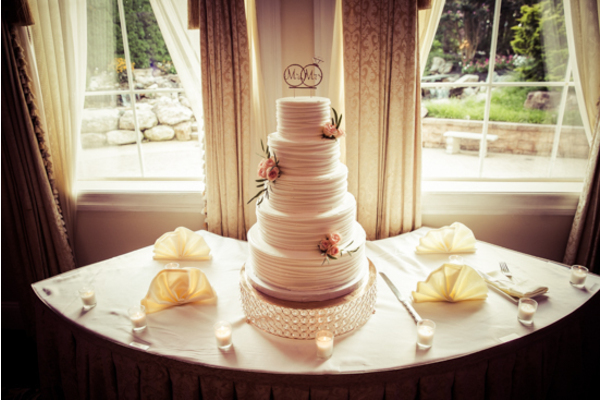 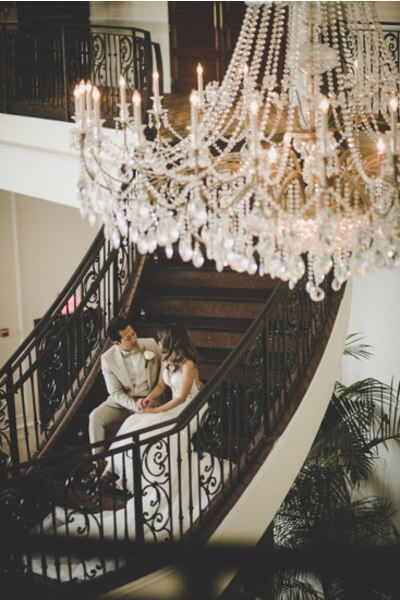 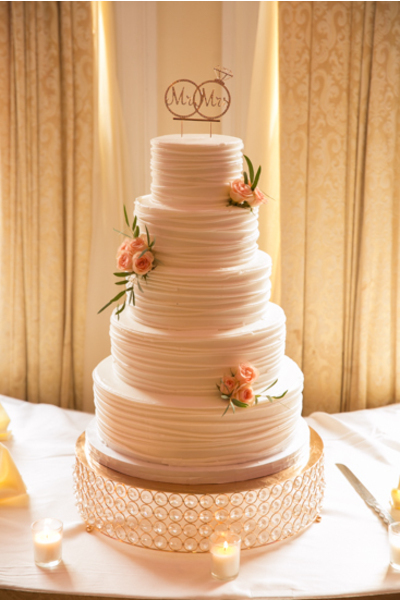 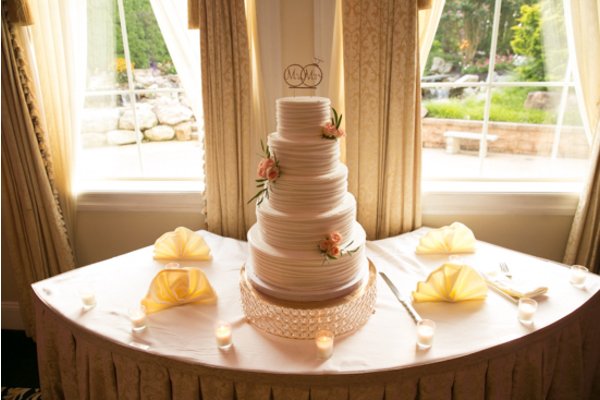 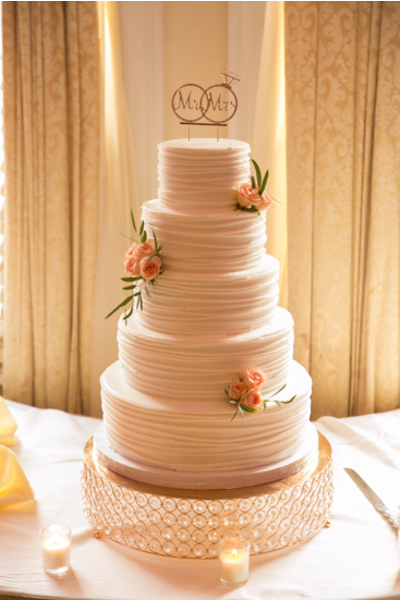 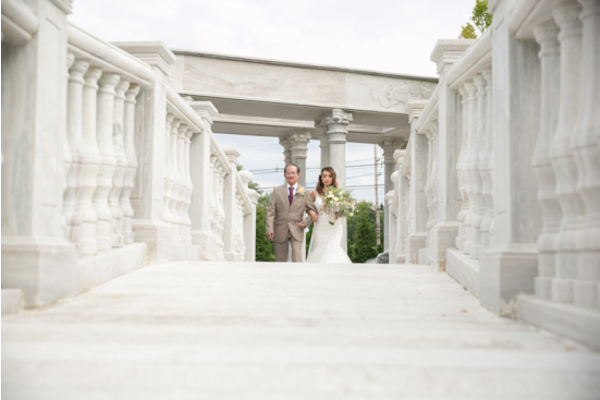 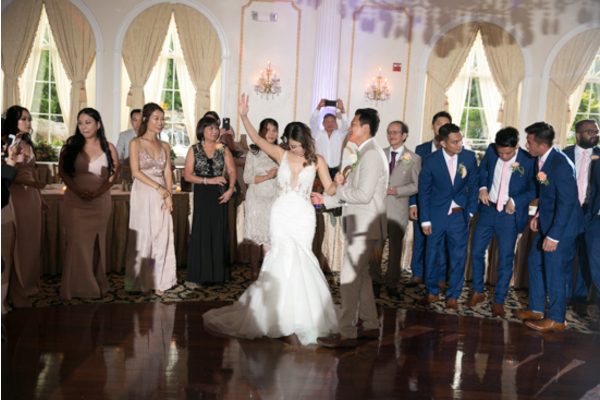 This stunning couple tied the knot at The Merion in Cinnaminson, NJ. 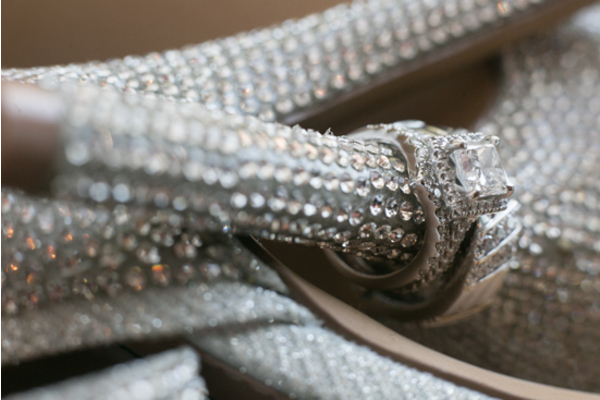 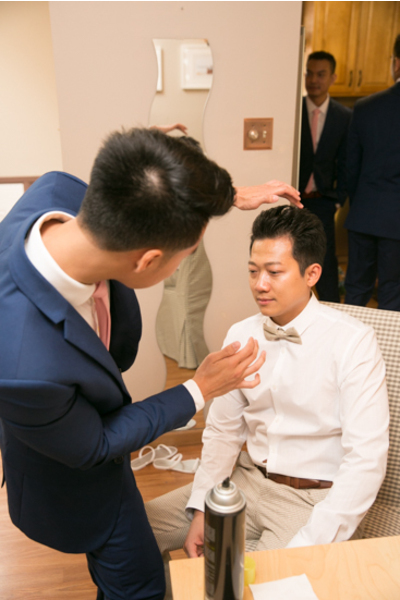 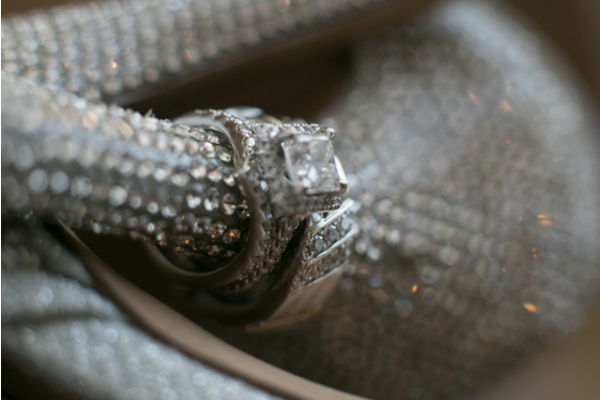 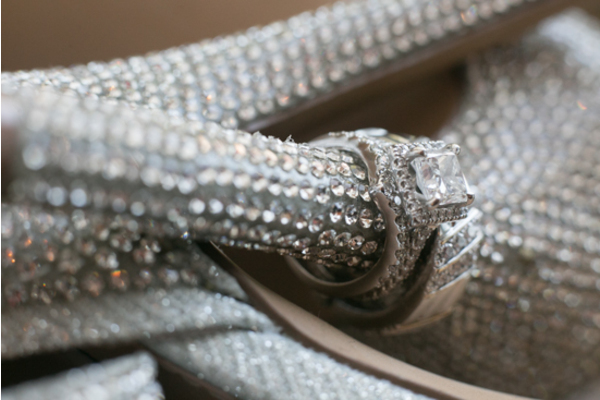 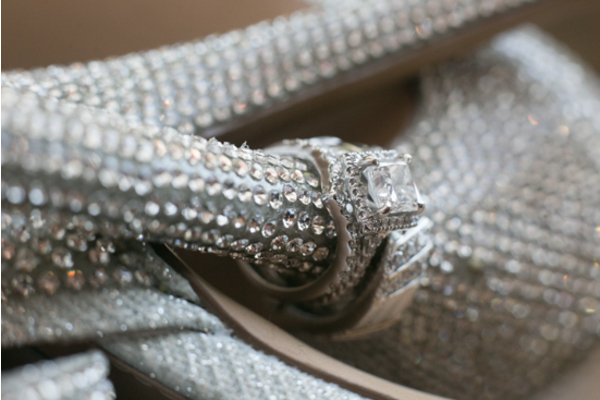 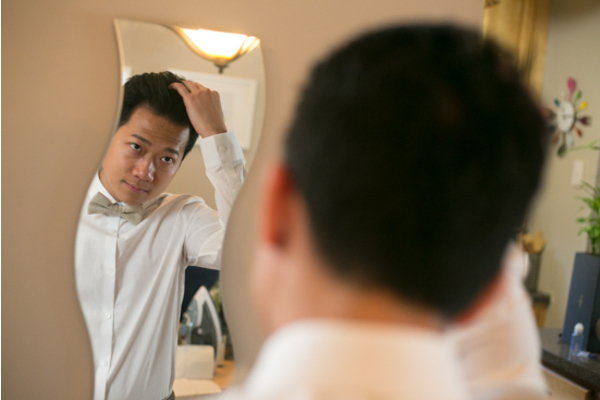 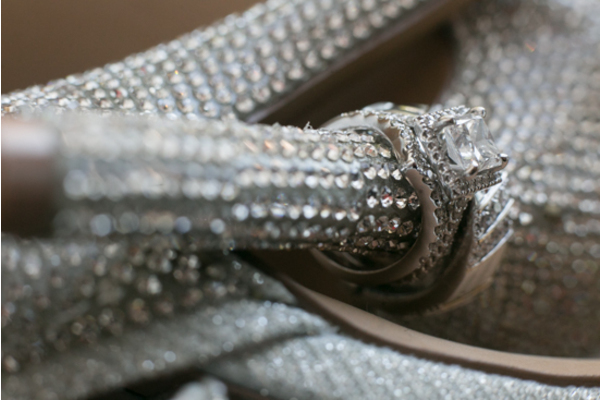 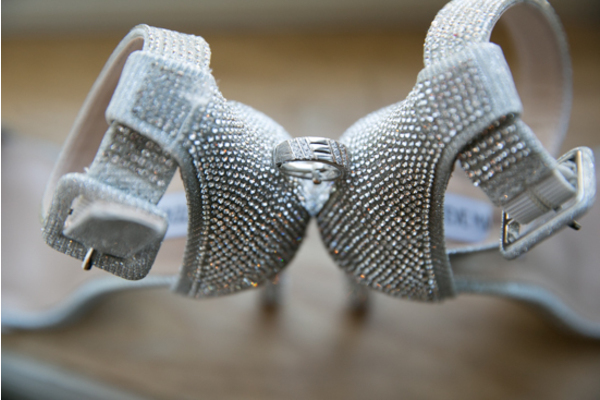 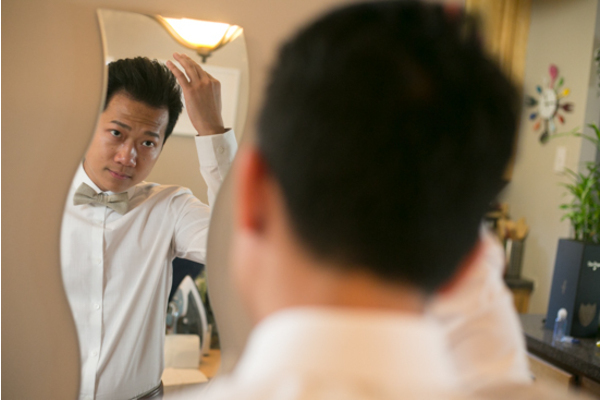 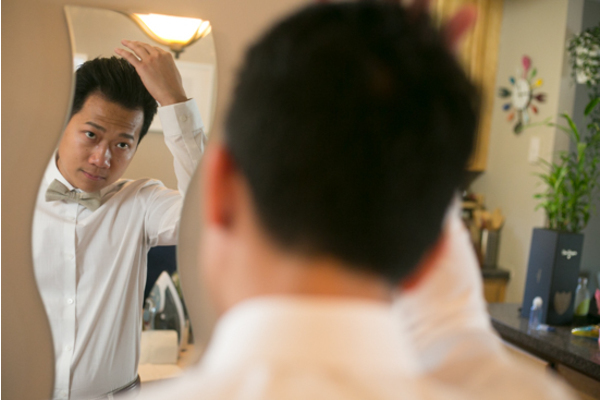 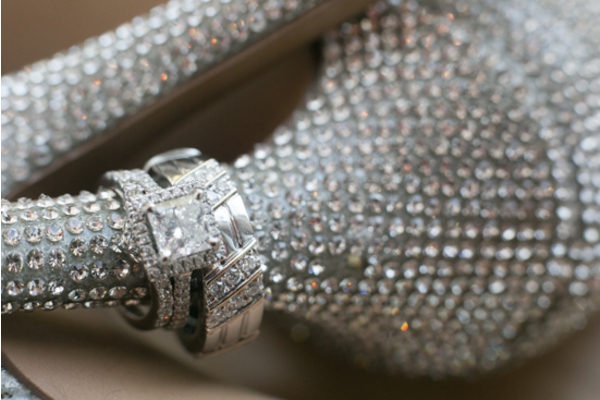 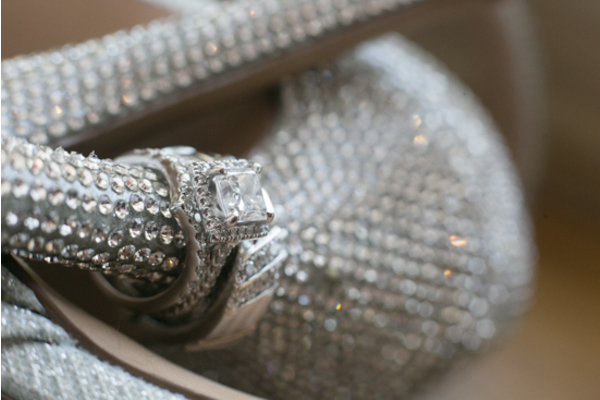 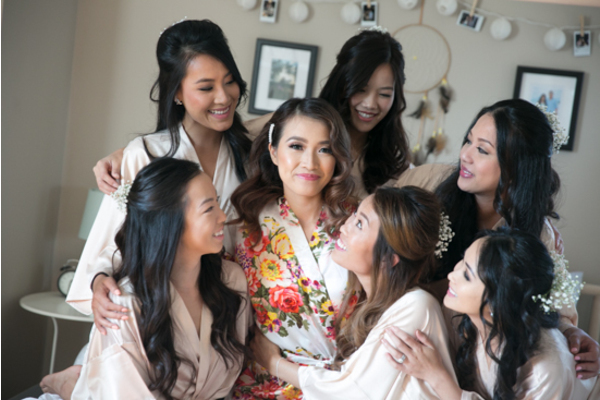 To being, the bride got her hair was curled and pinned to the side with a stunning barrette! 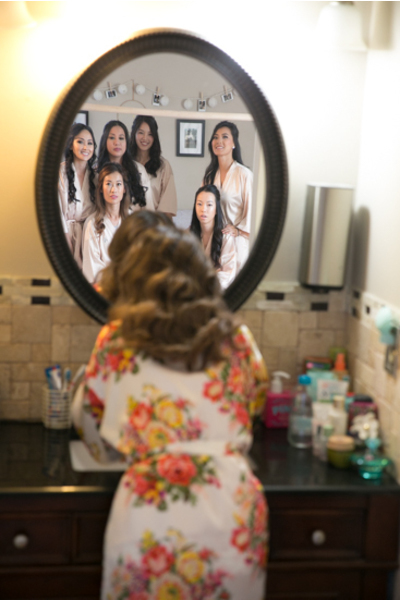 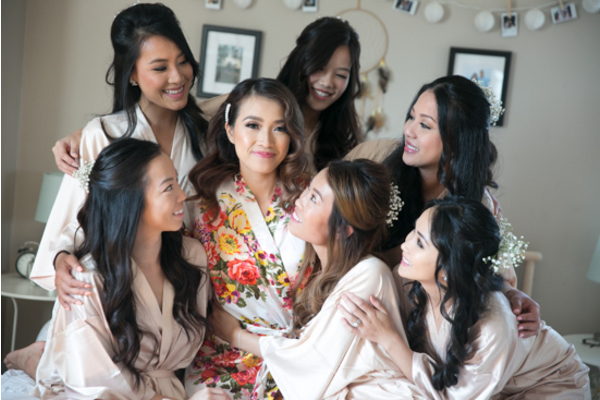 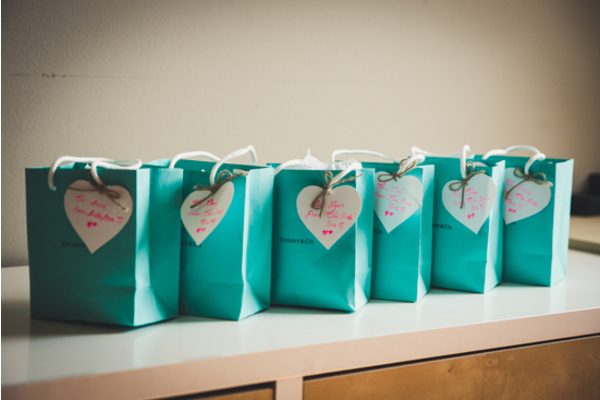 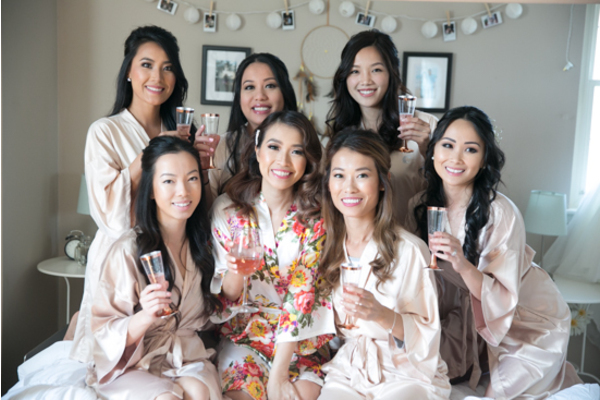 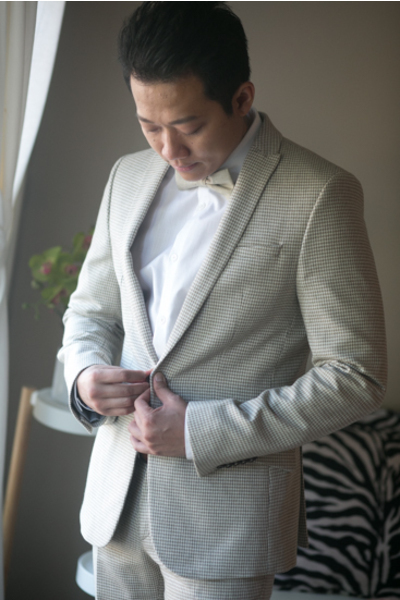 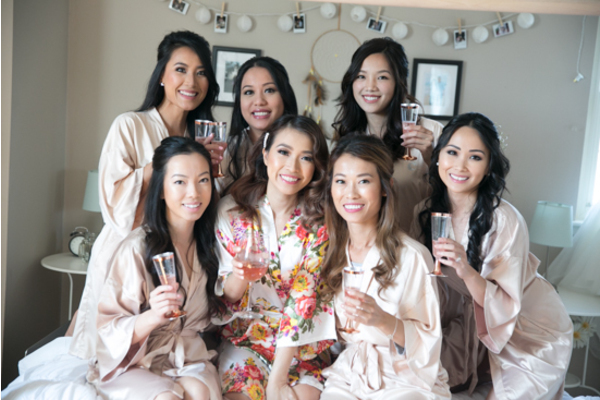 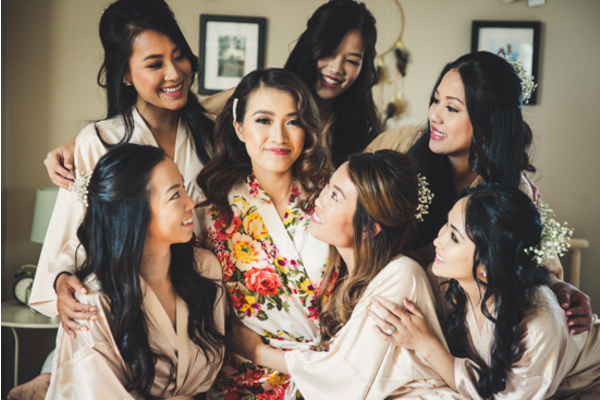 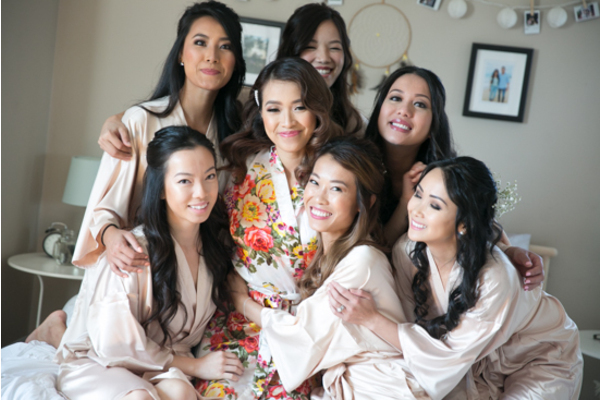 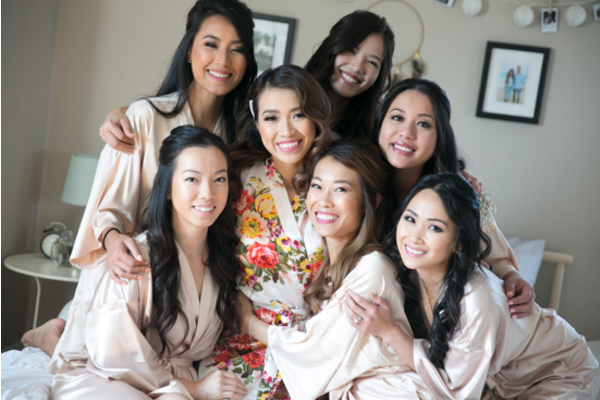 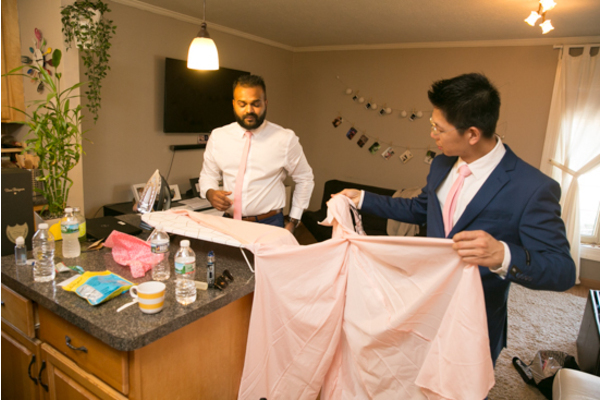 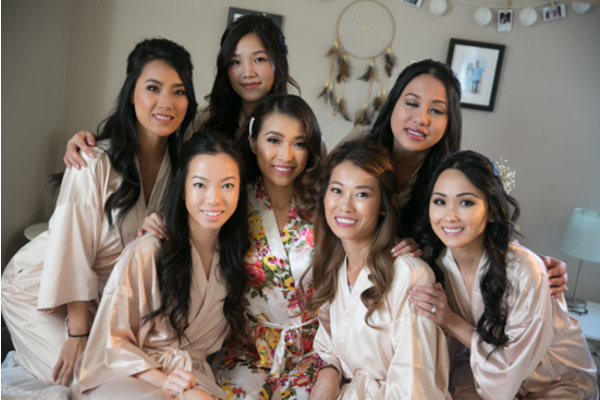 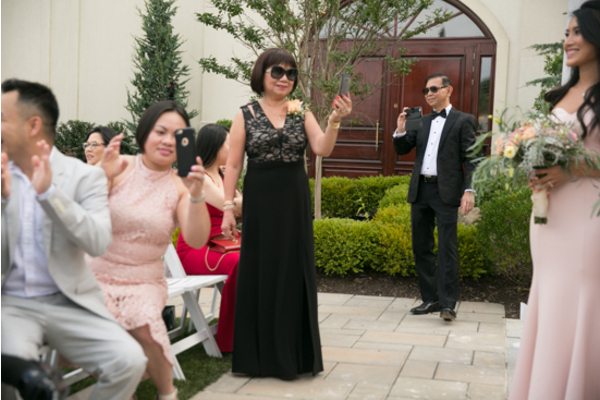 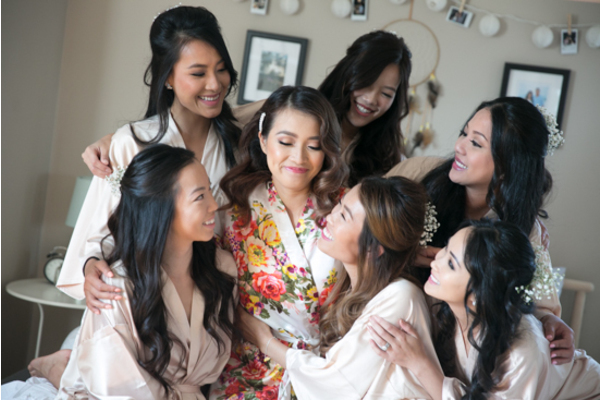 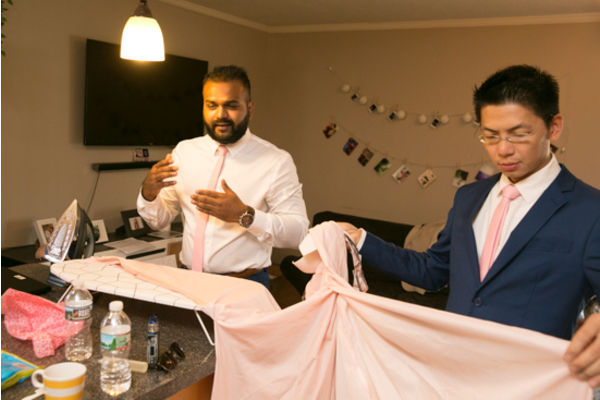 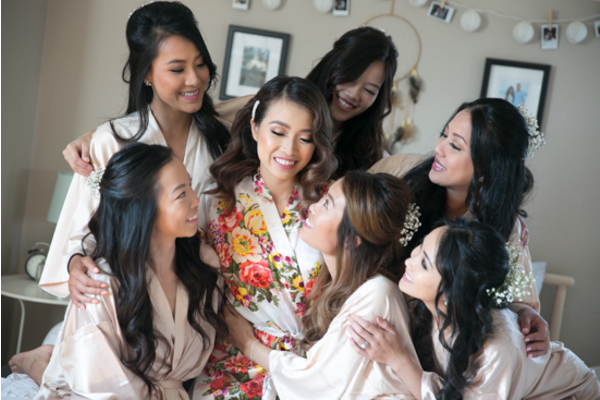 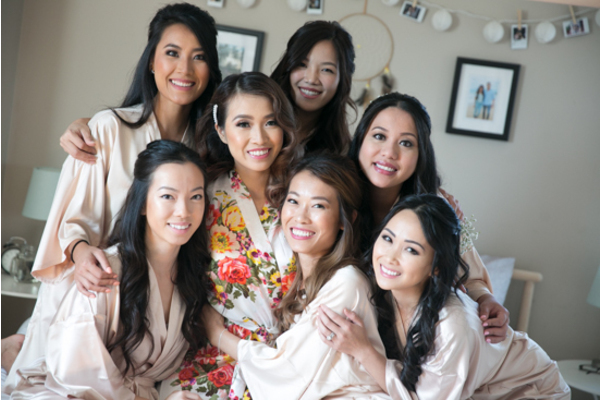 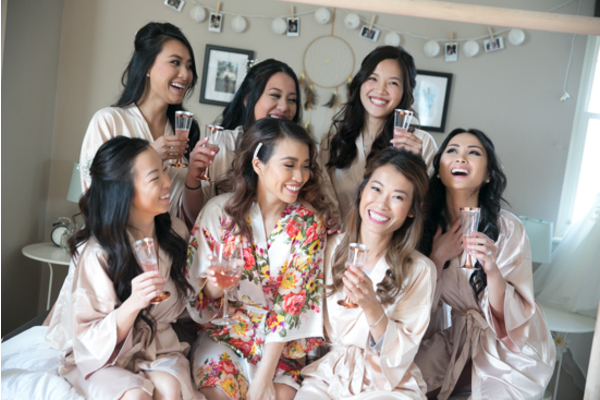 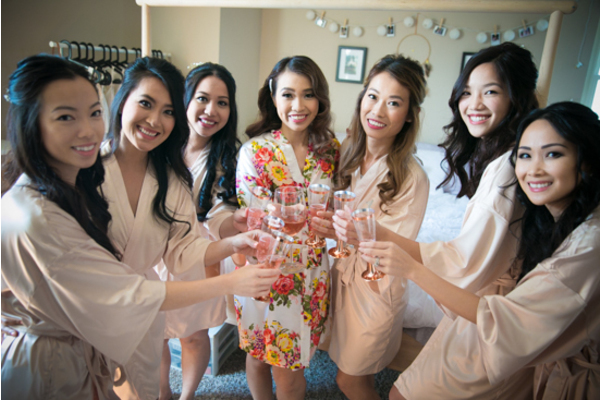 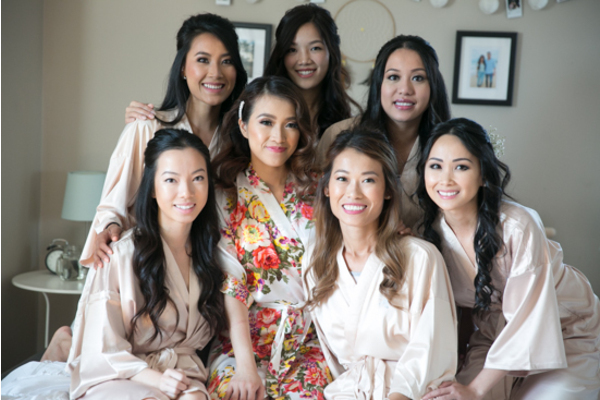 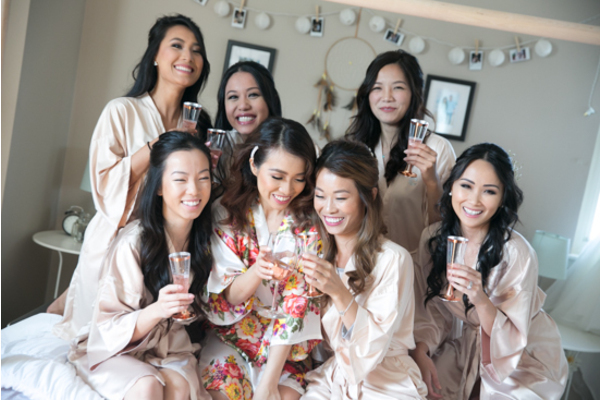 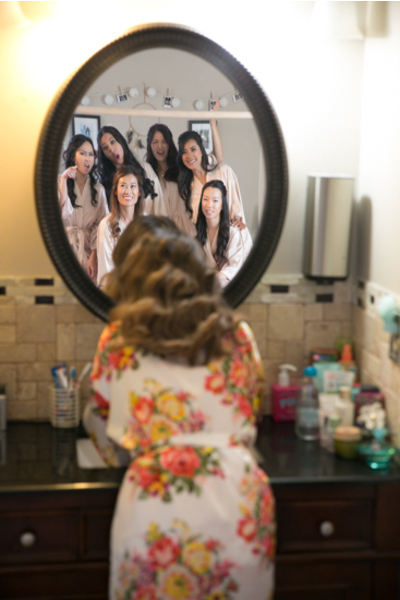 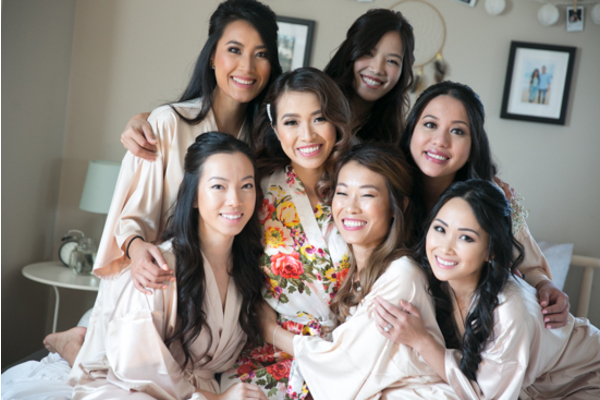 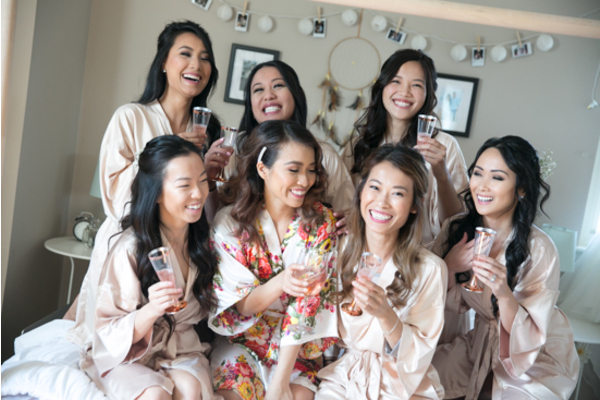 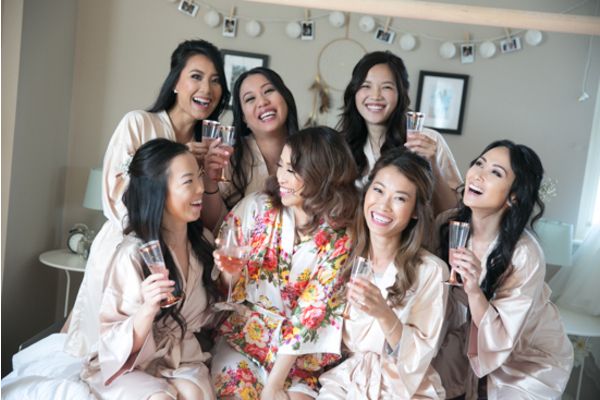 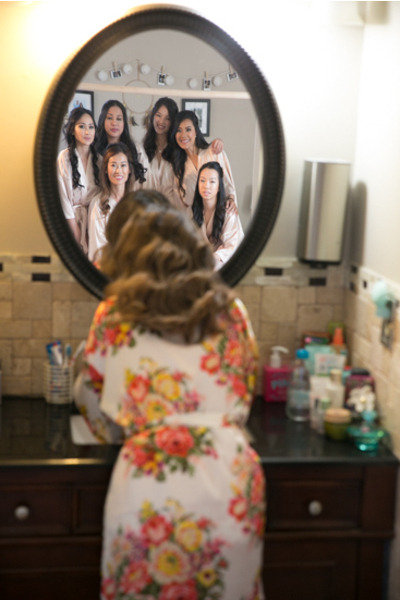 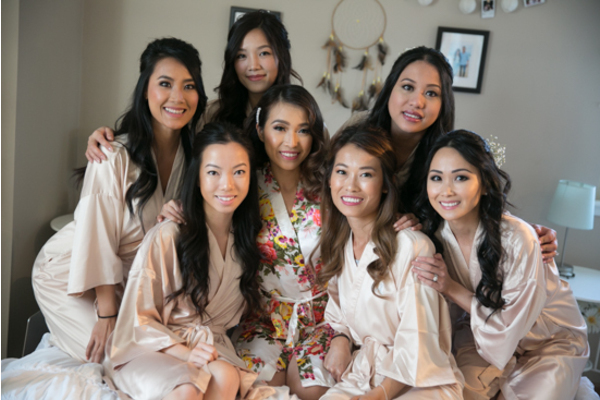 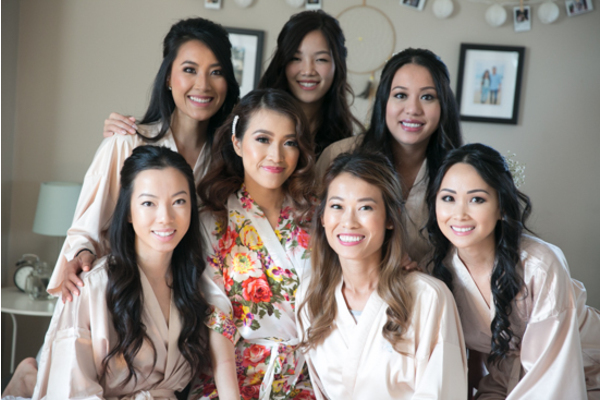 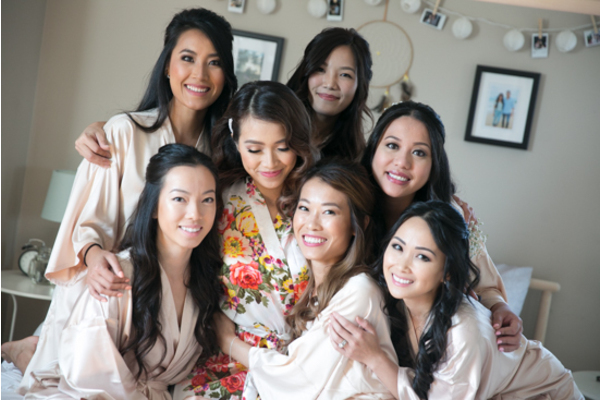 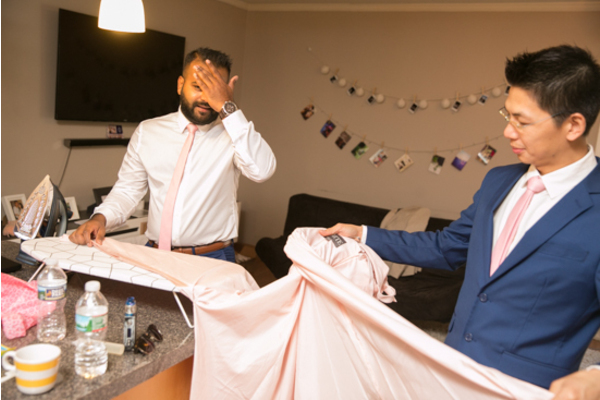 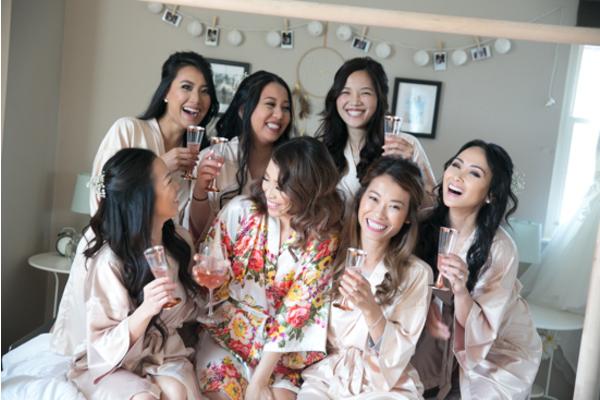 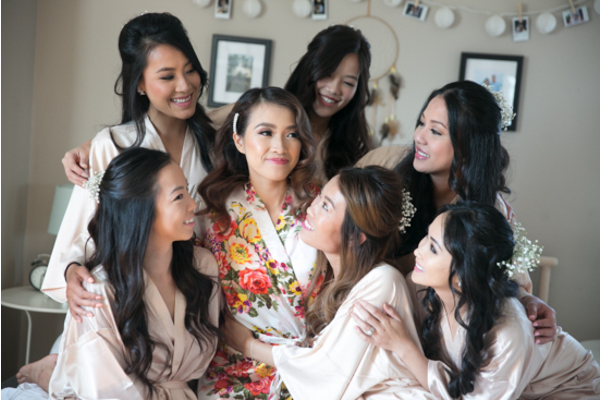 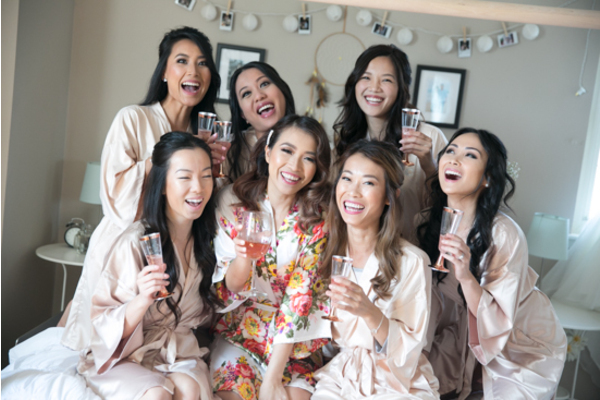 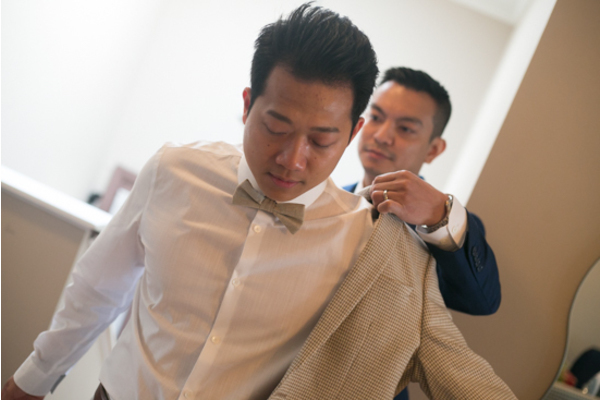 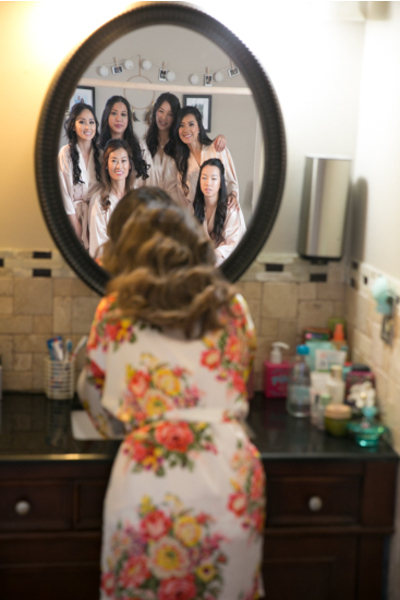 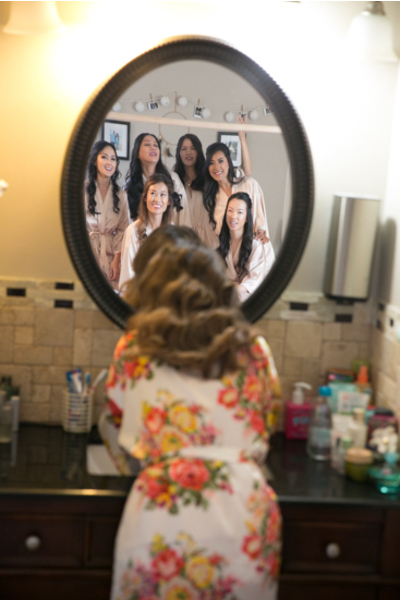 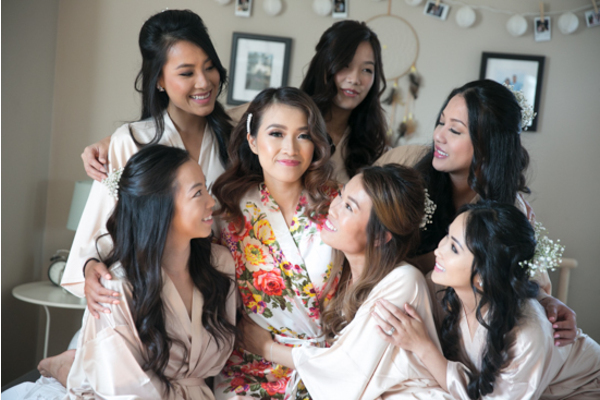 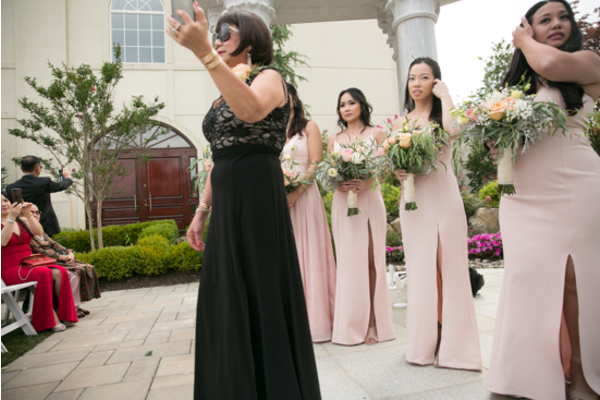 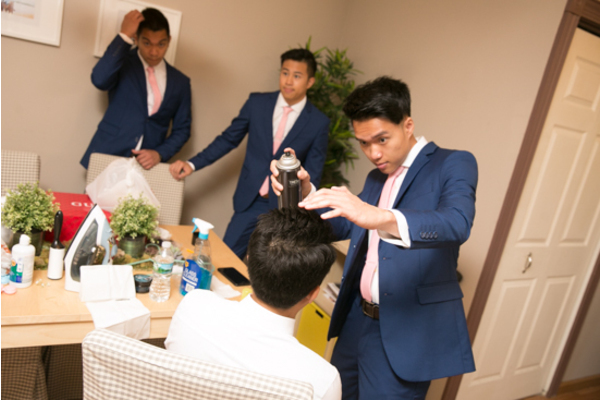 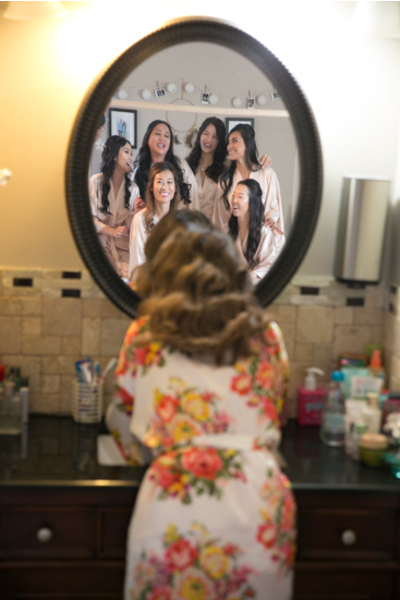 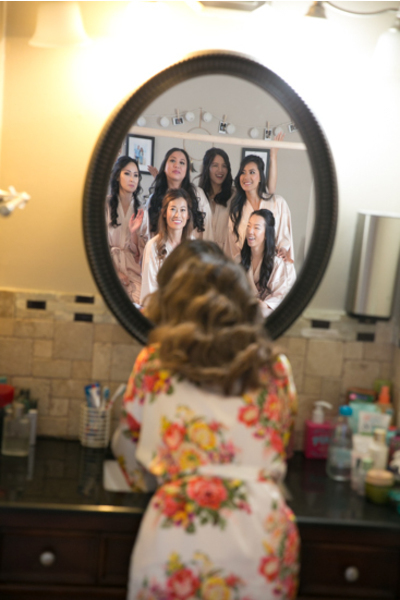 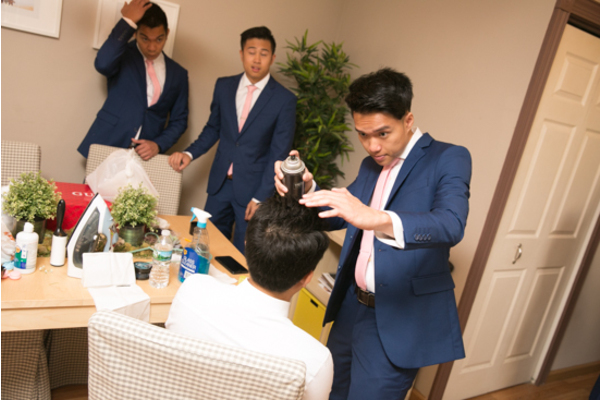 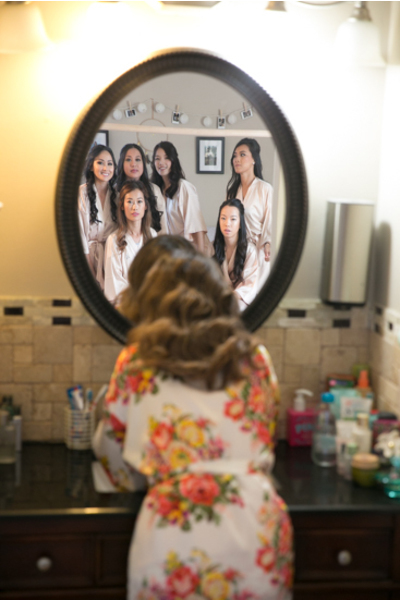 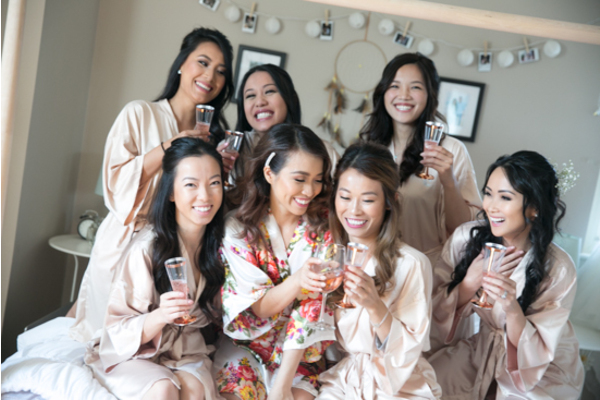 Our NJ Wedding Photographer photographed the bridal party all wore gorgeous silk robes. 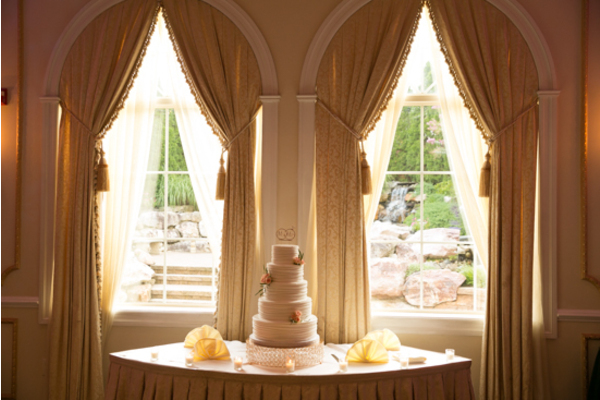 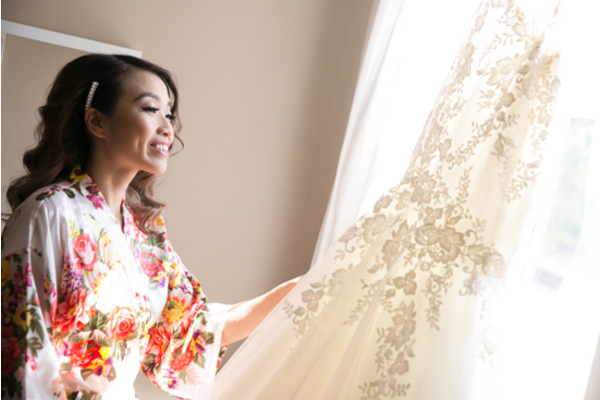 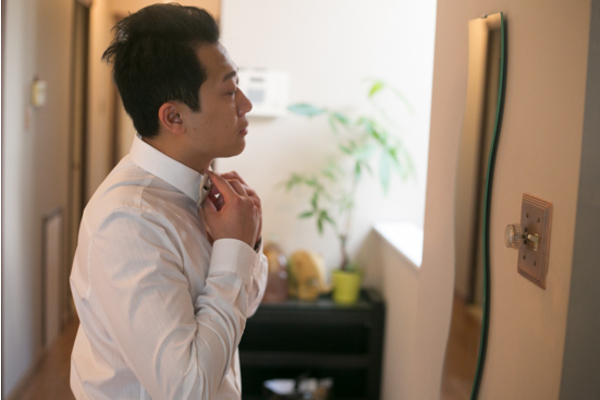 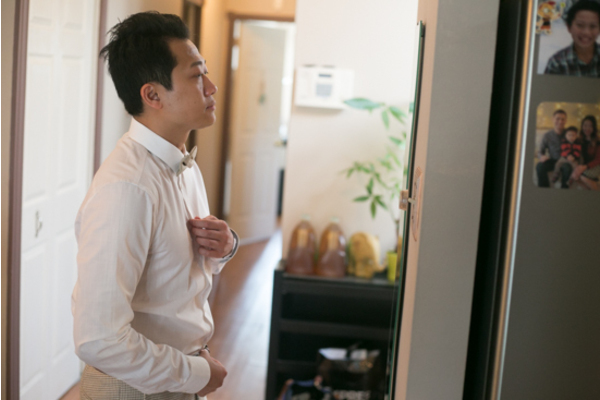 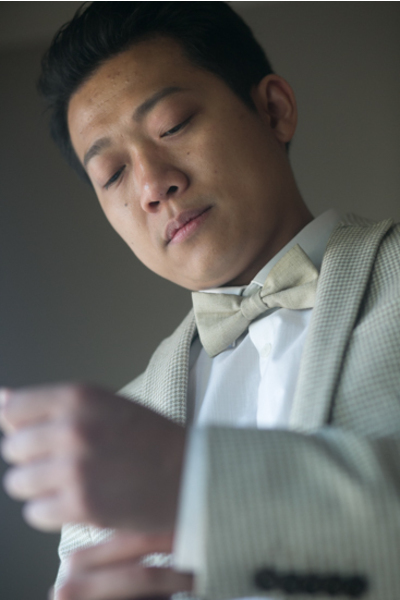 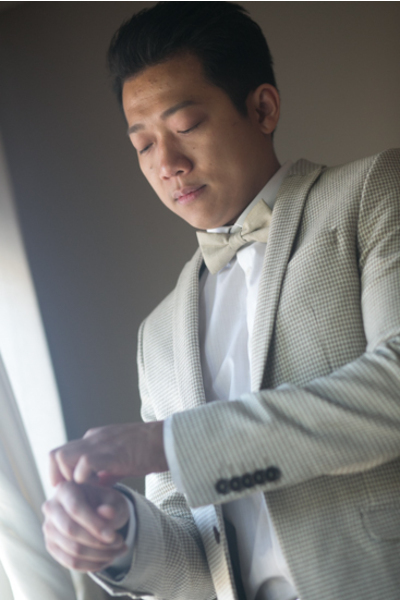 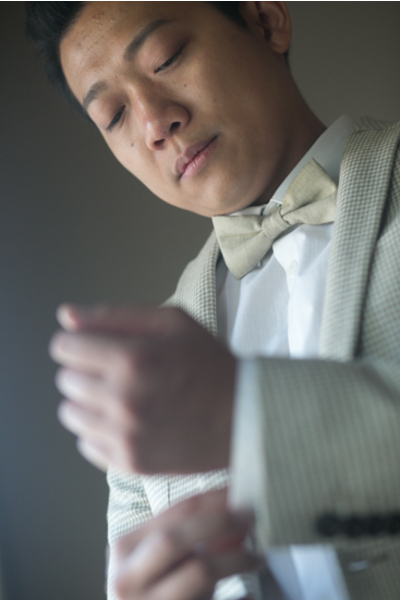 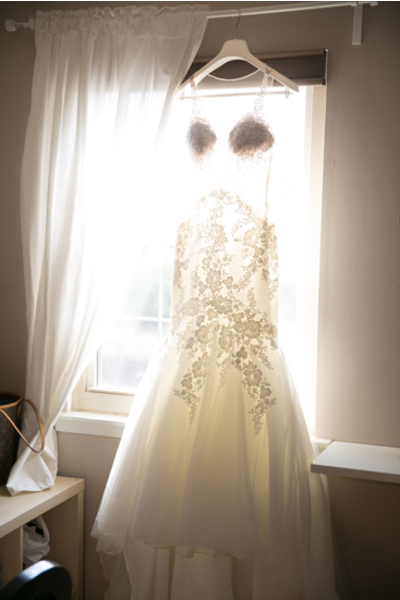 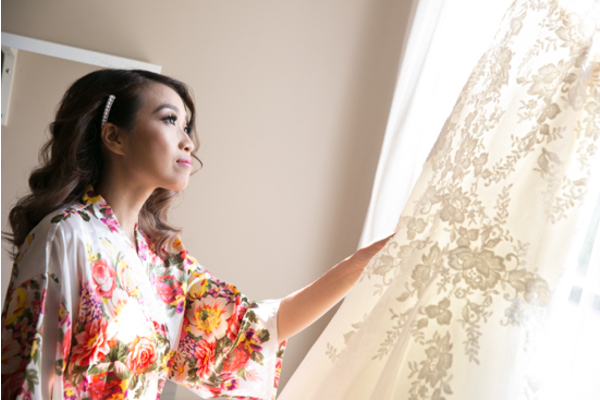 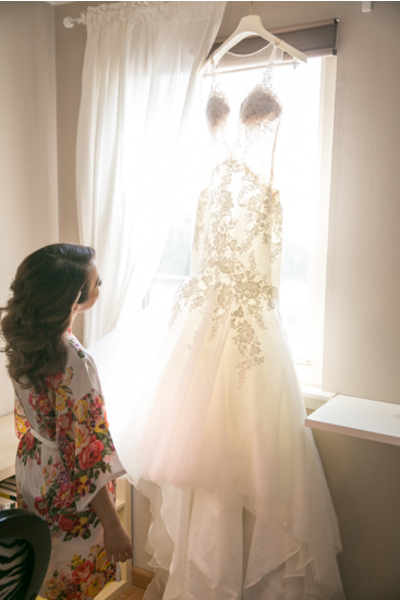 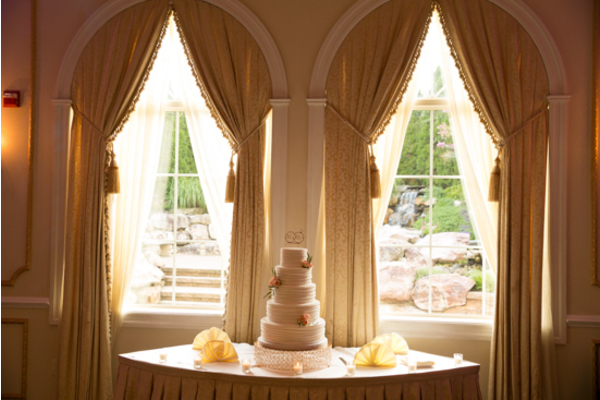 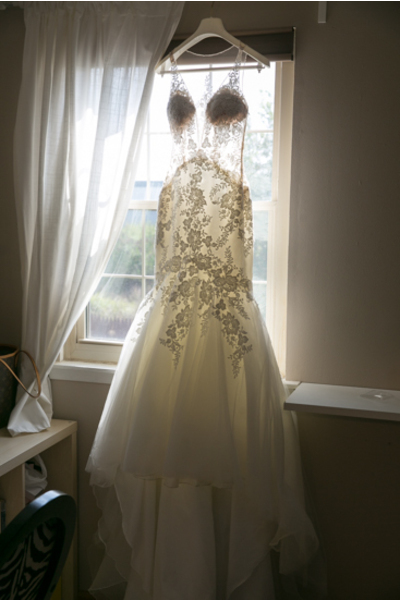 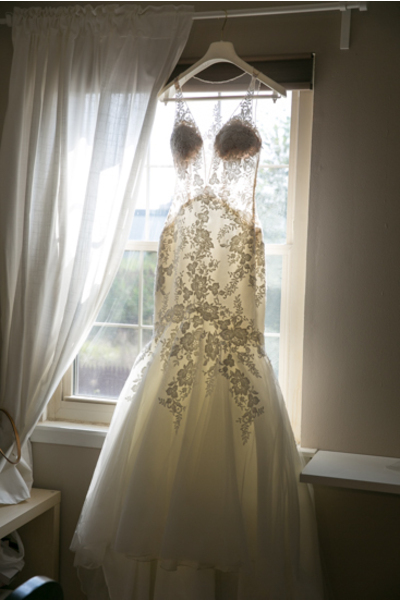 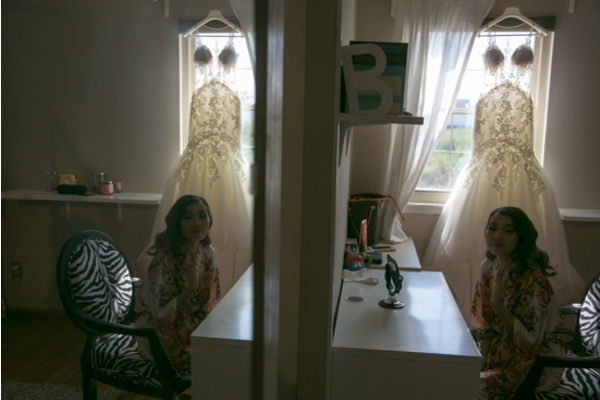 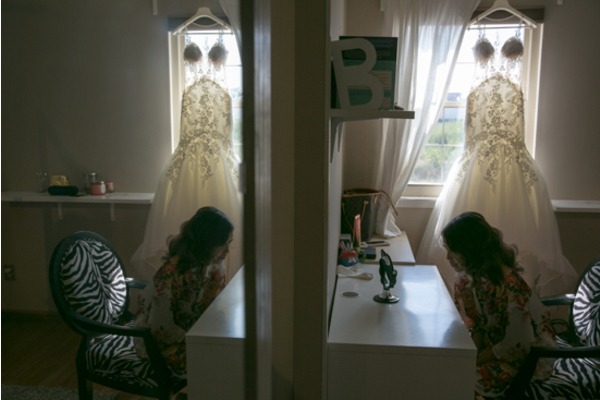 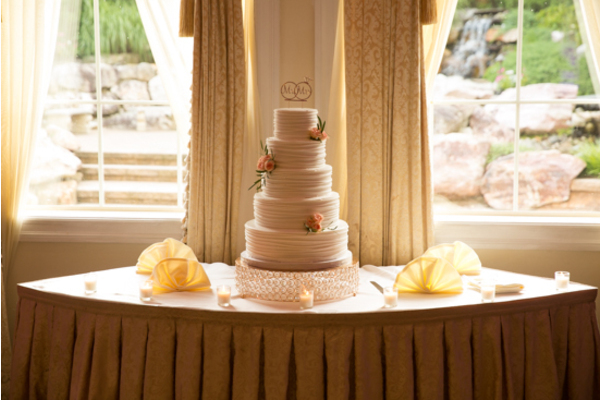 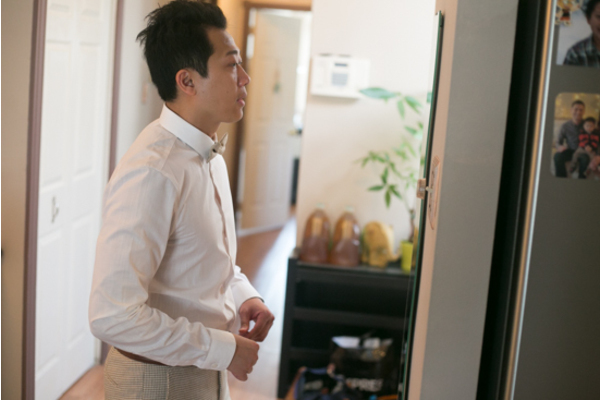 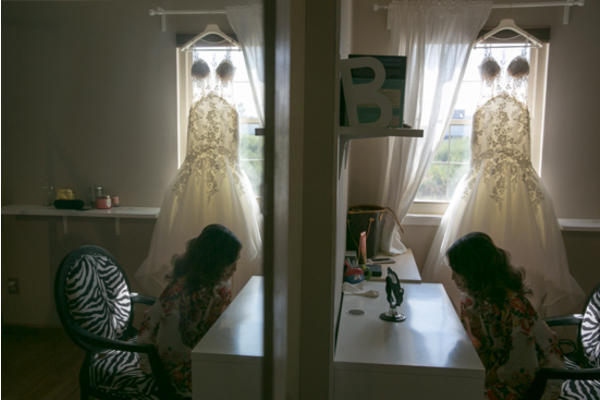 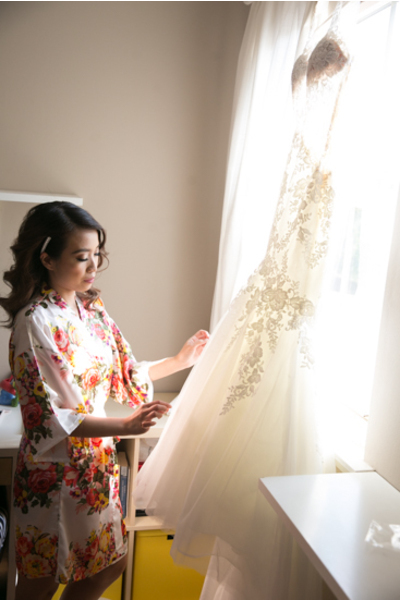 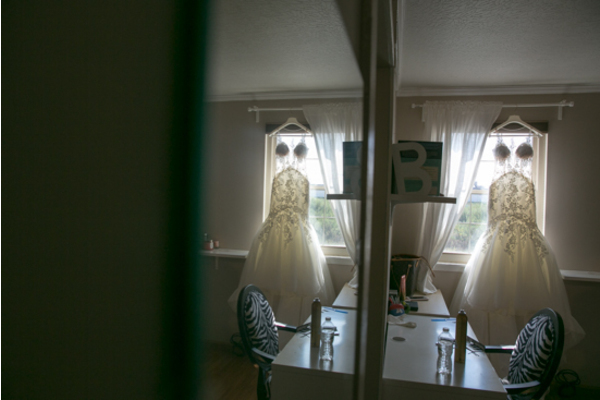 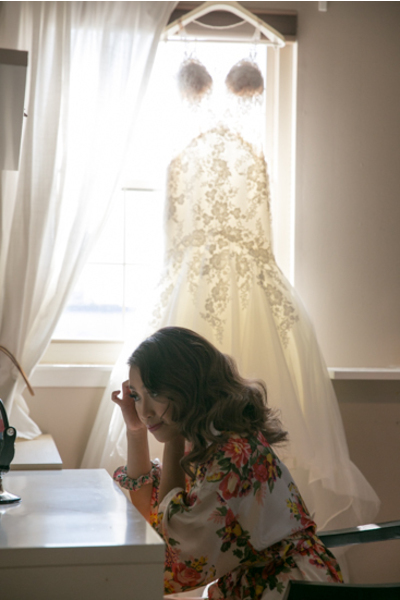 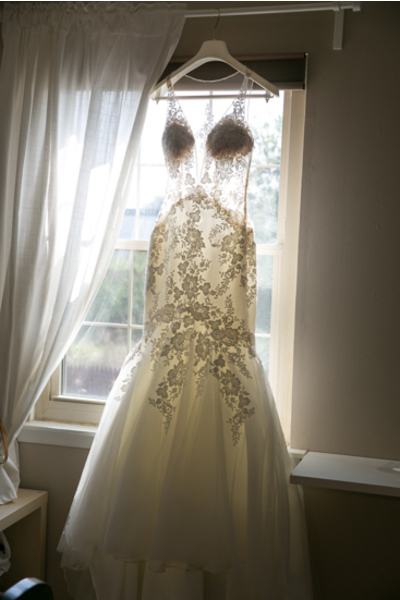 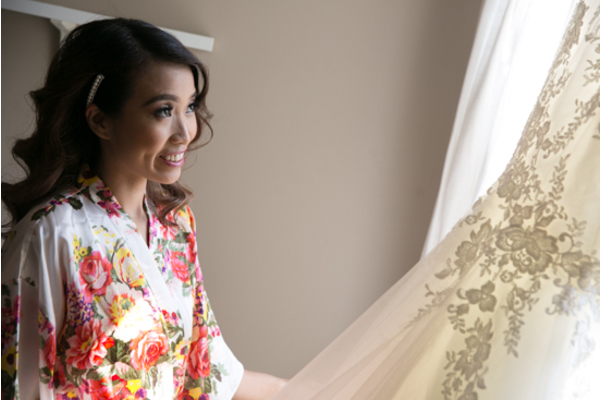 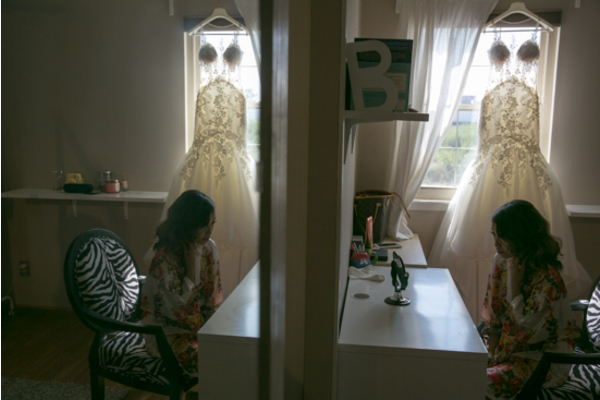 Tu’s wedding gown was perfect hanging from the window as the sunlight beamed through. 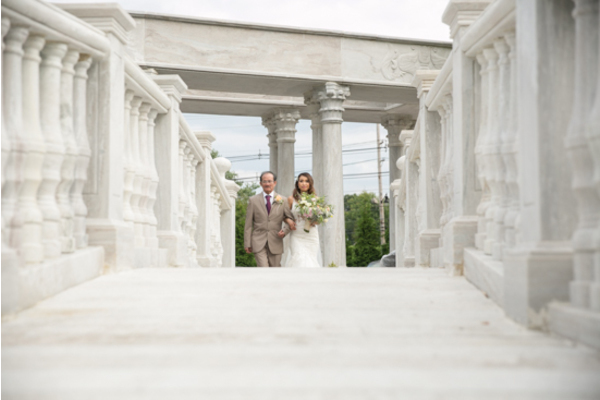 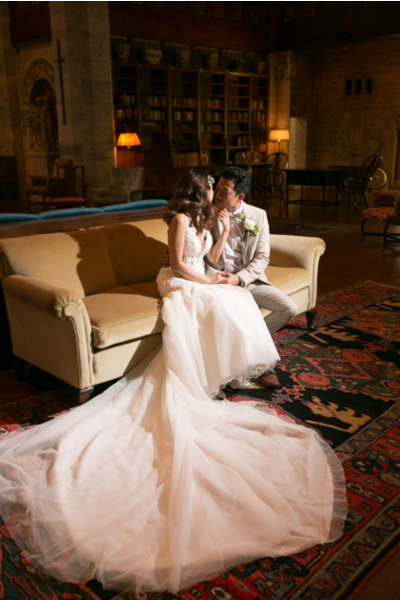 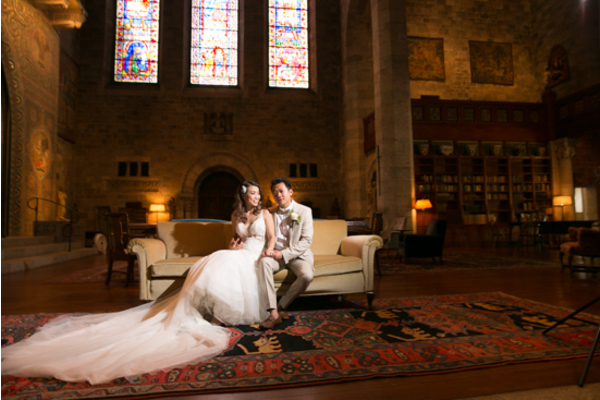 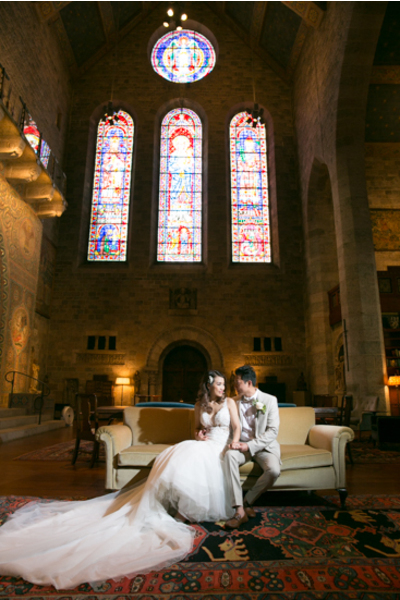 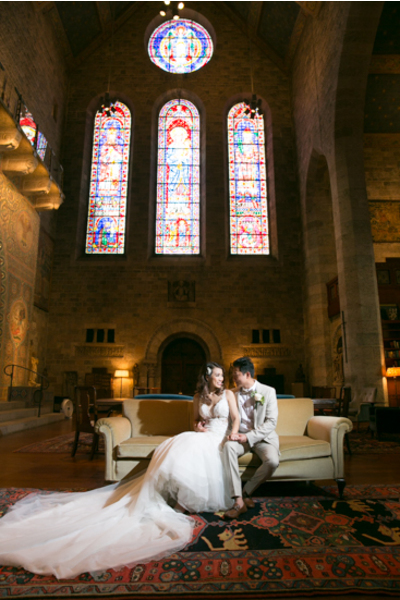 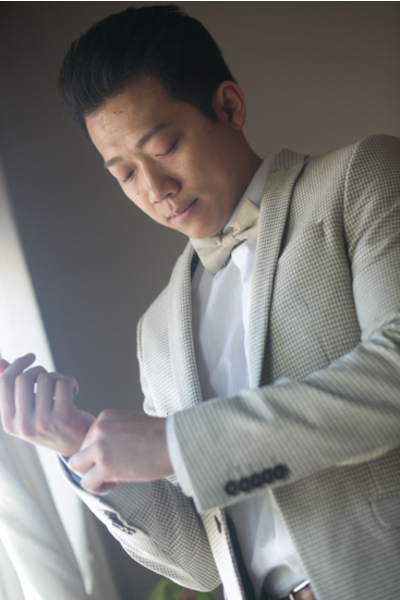 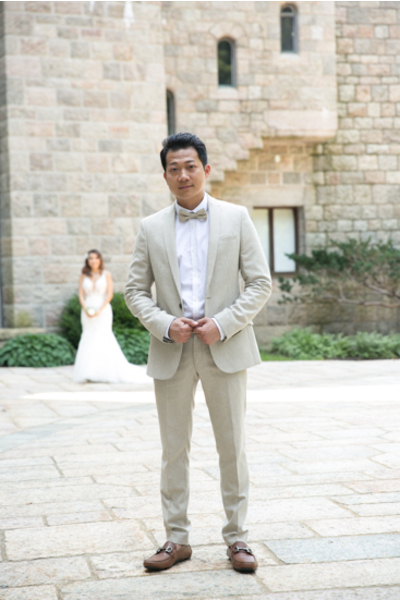 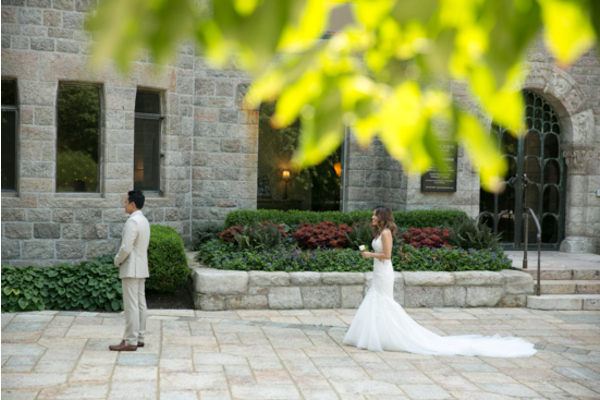 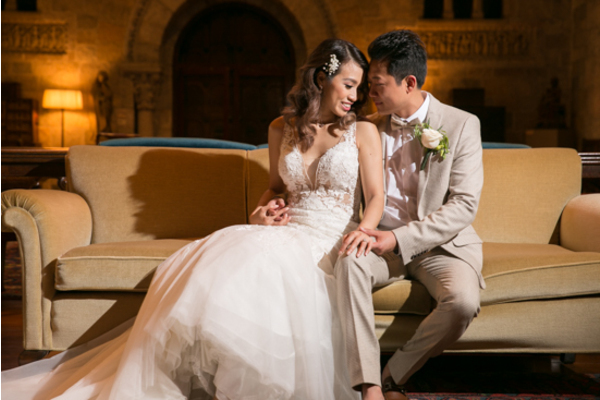 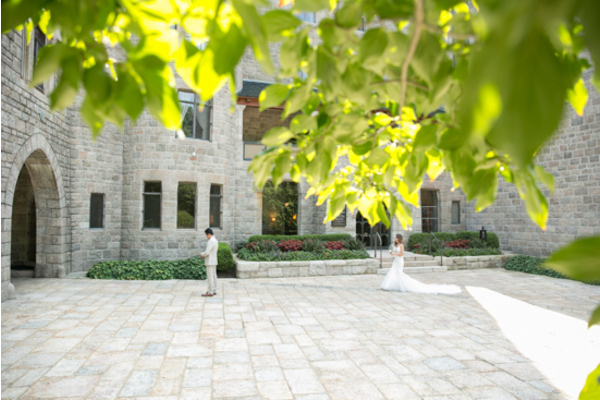 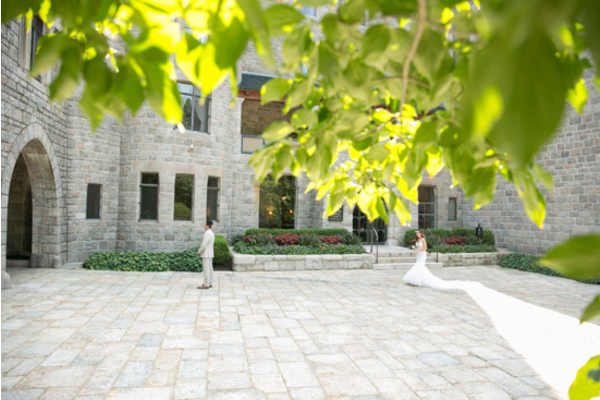 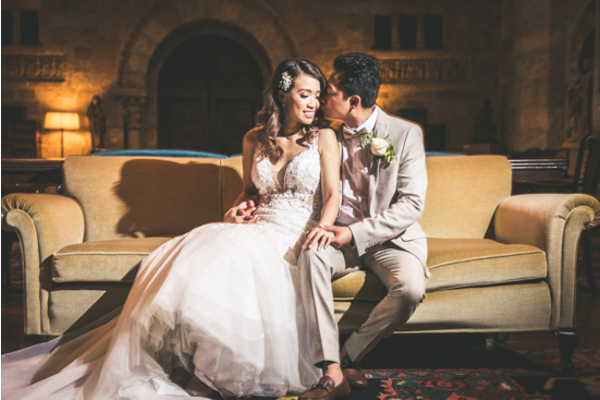 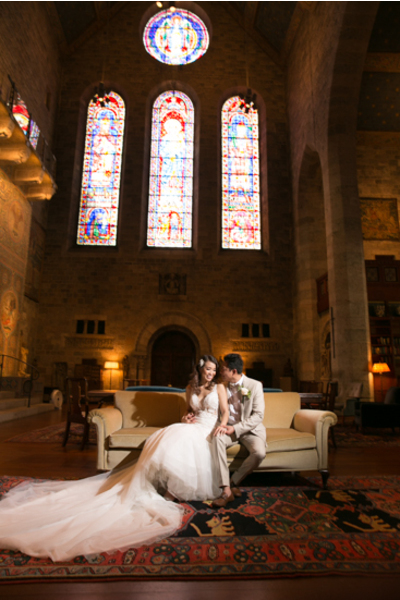 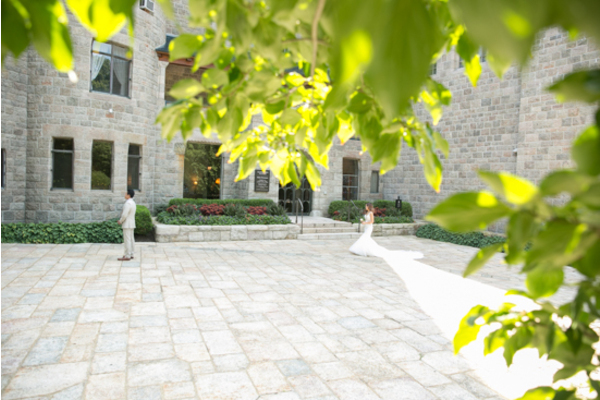 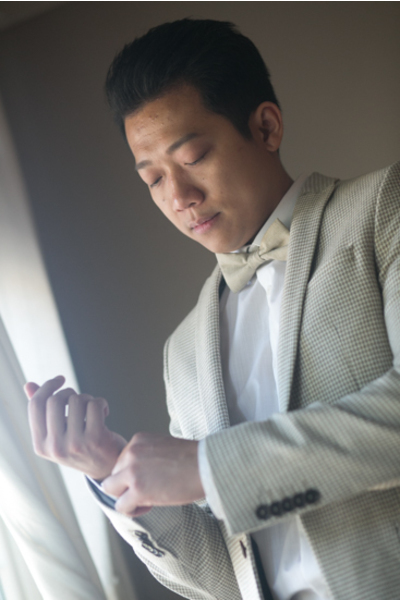 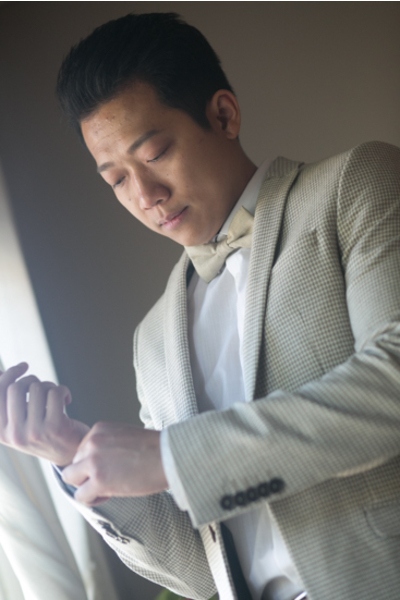 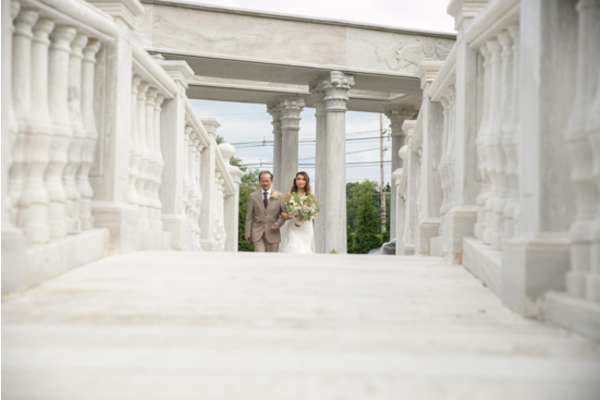 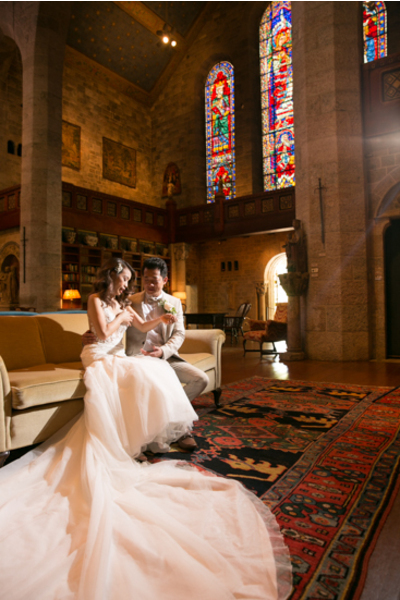 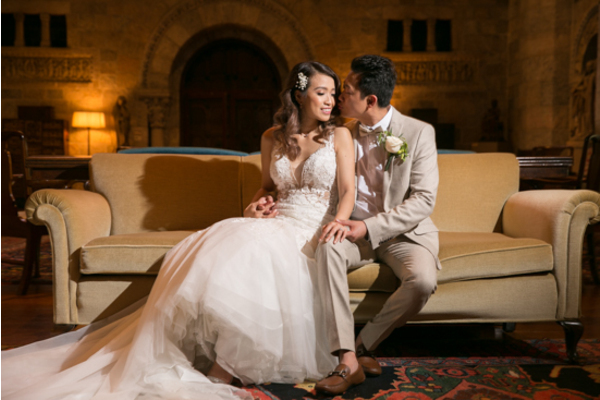 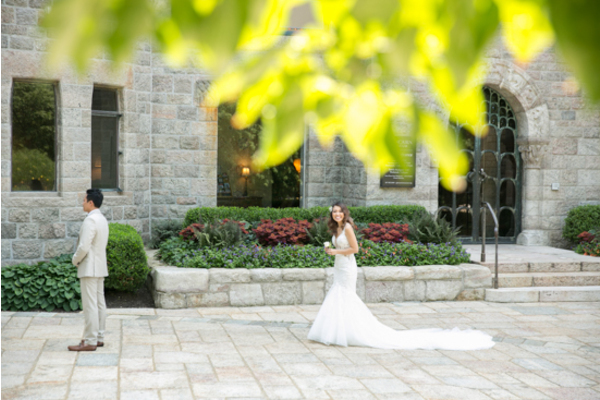 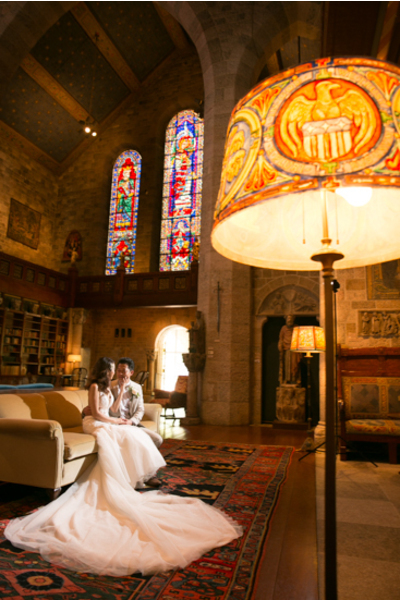 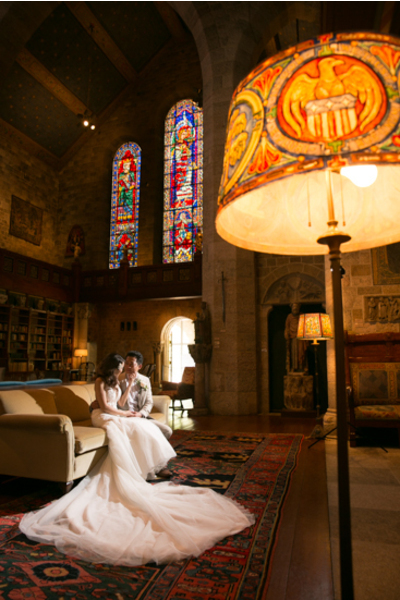 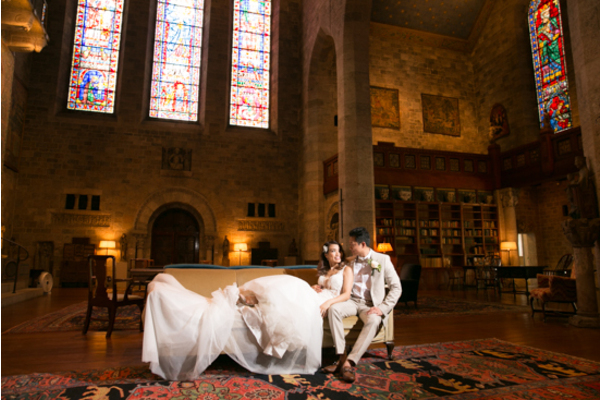 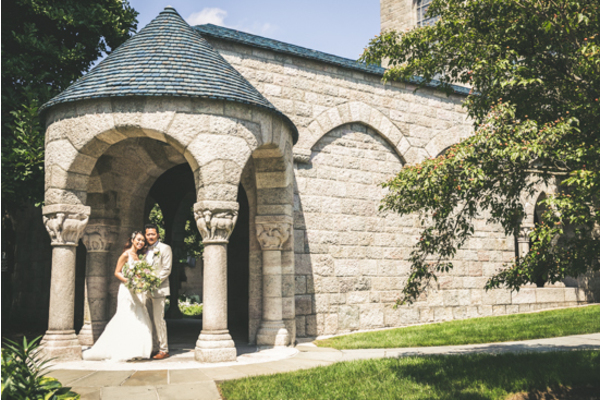 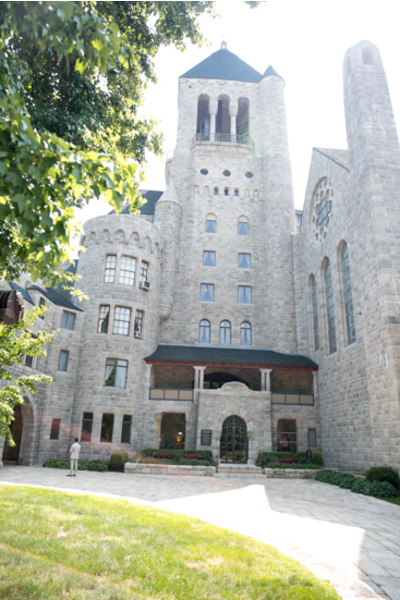 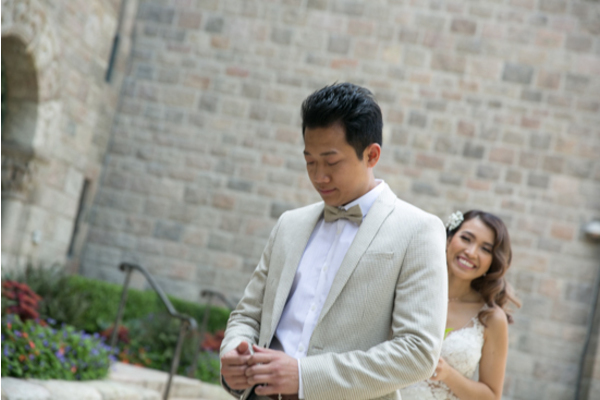 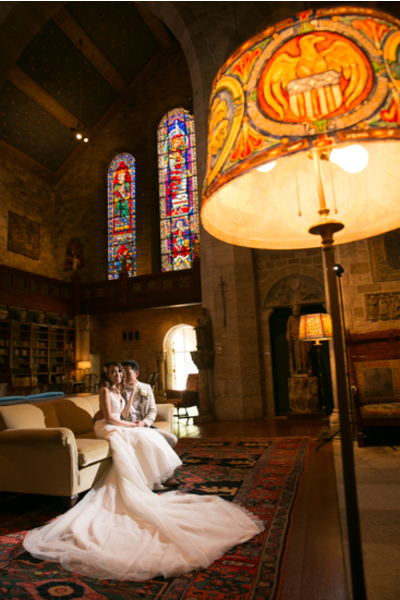 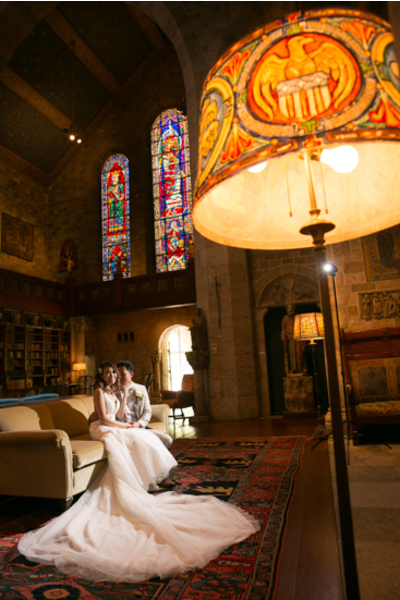 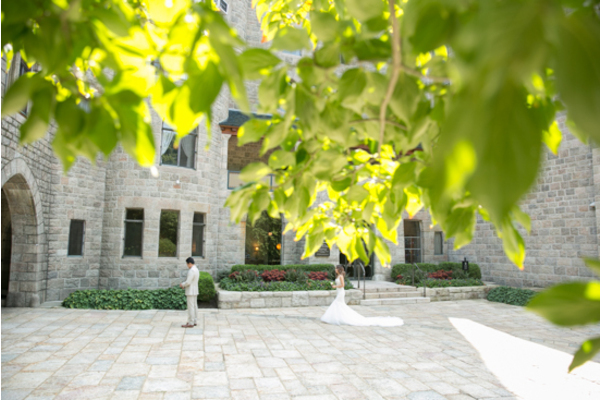 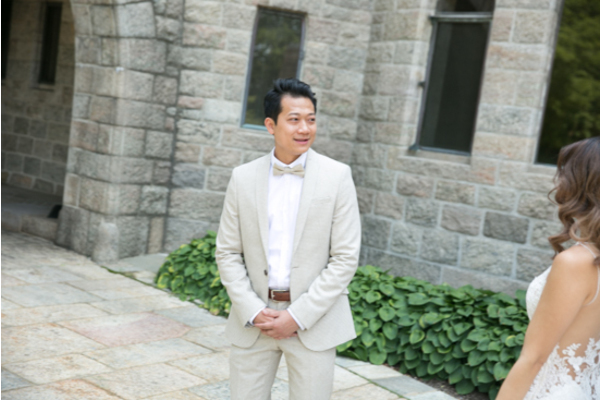 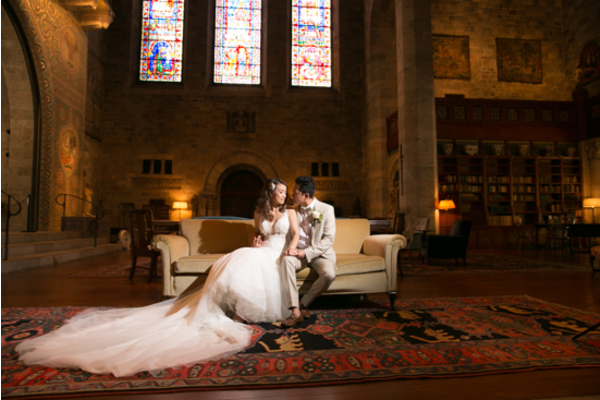 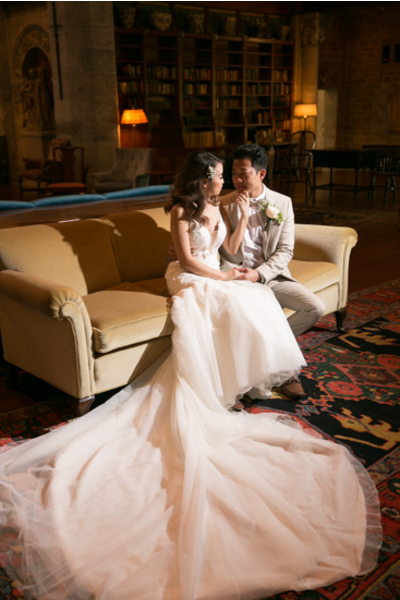 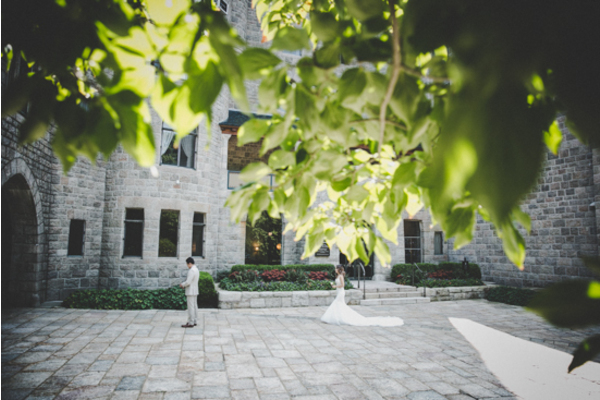 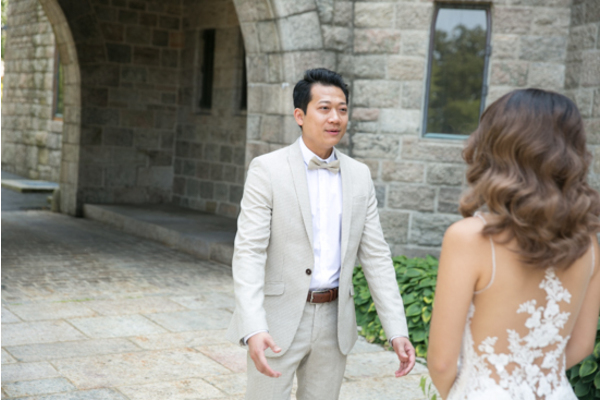 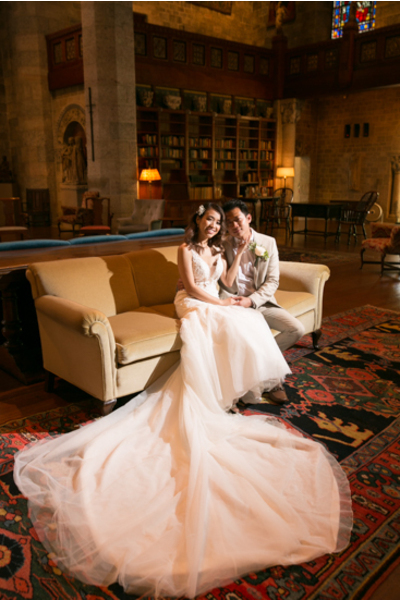 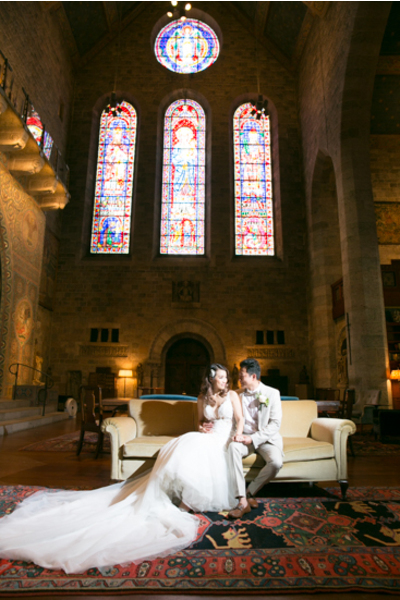 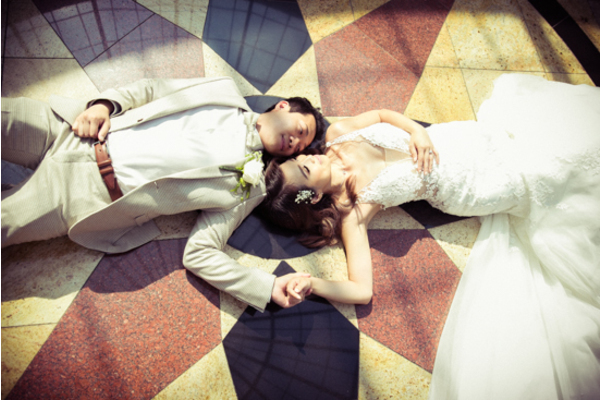 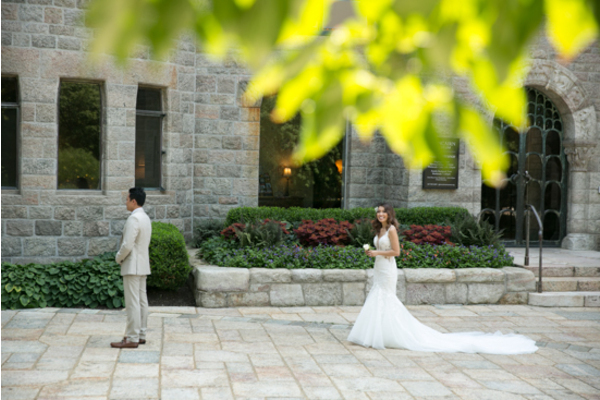 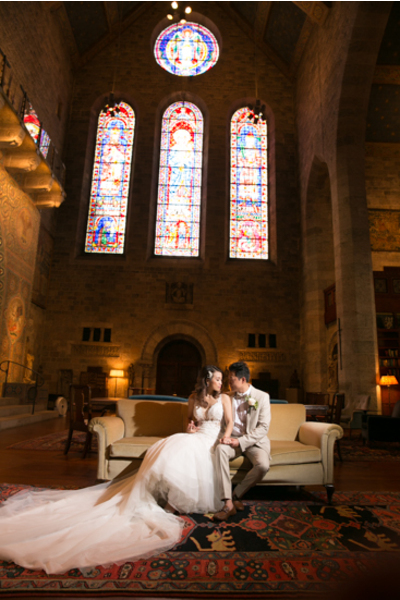 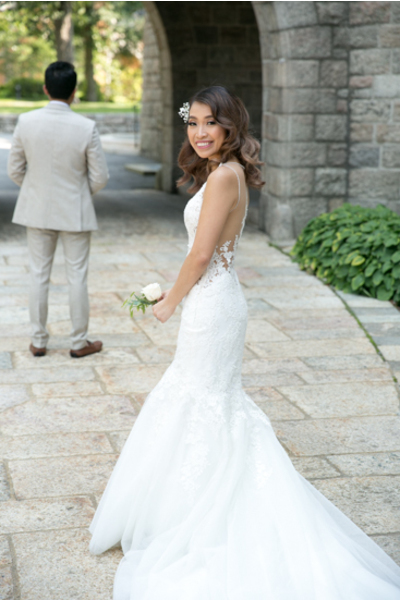 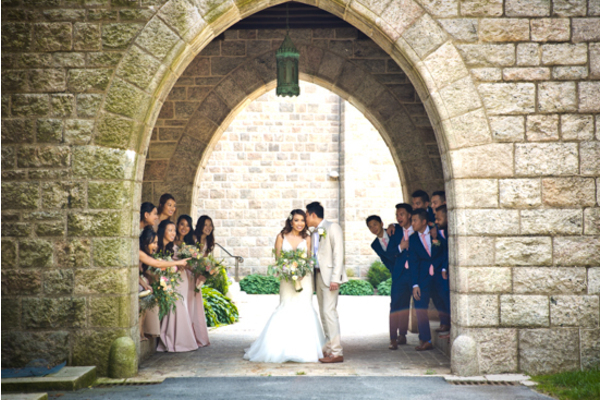 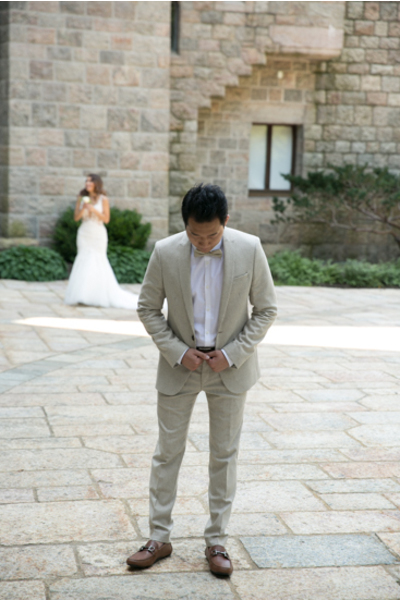 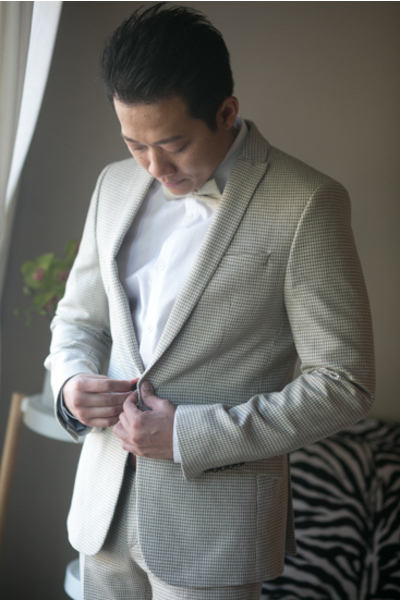 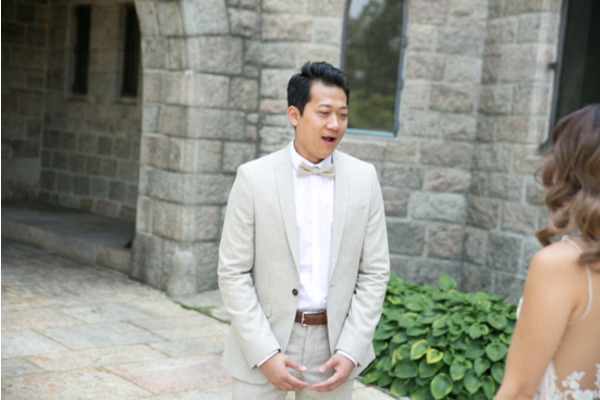 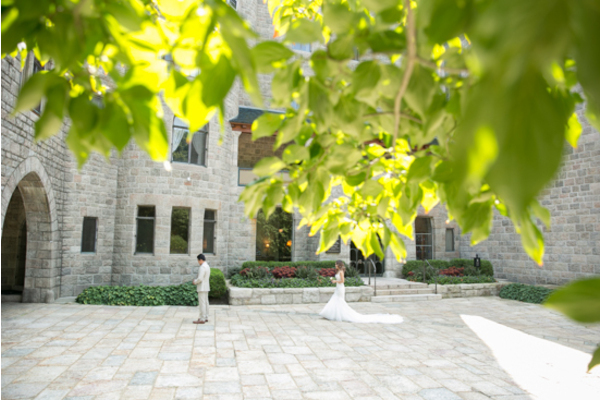 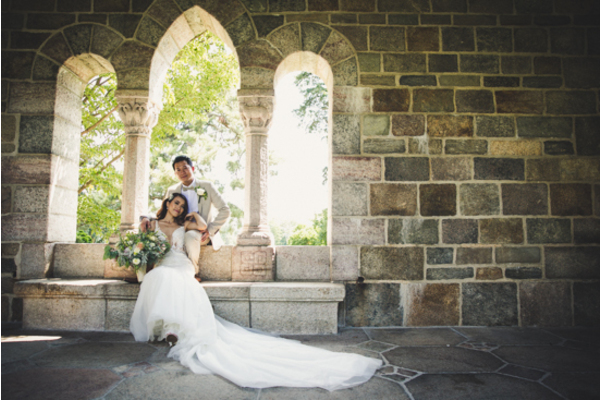 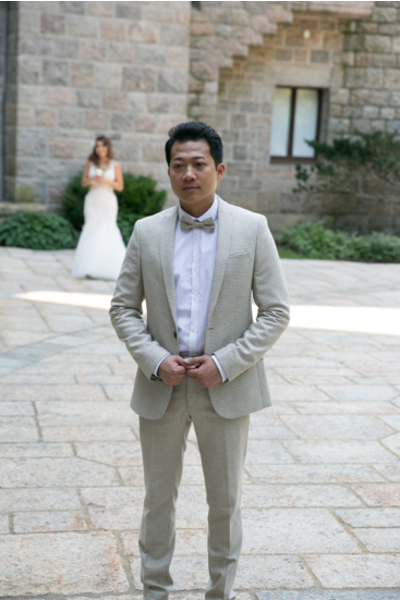 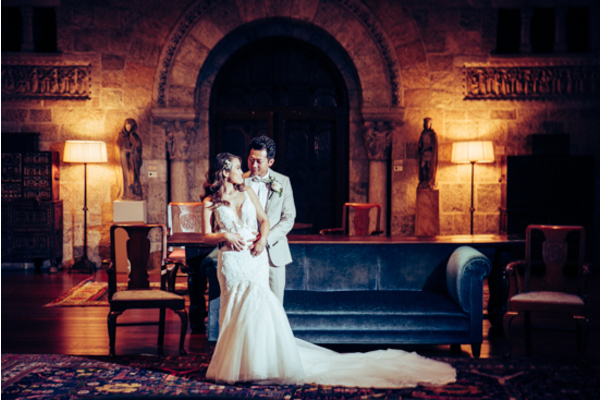 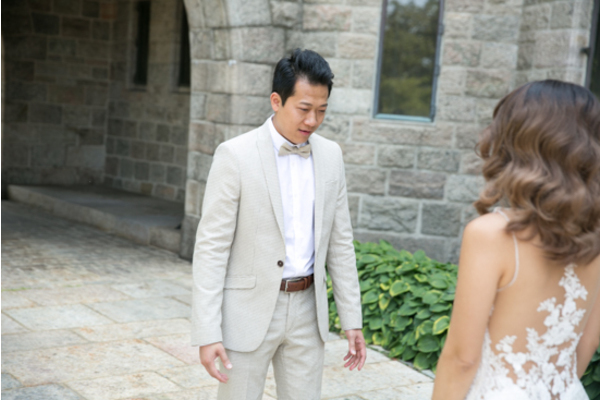 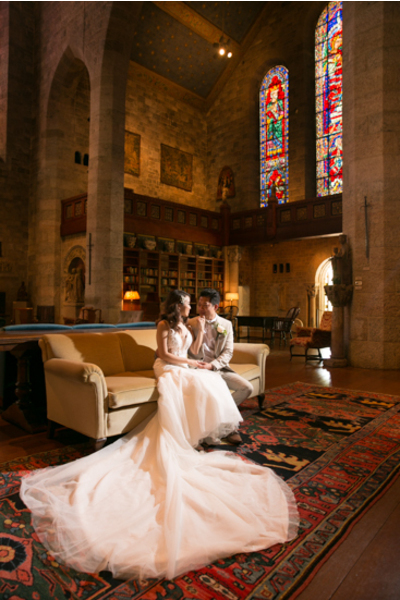 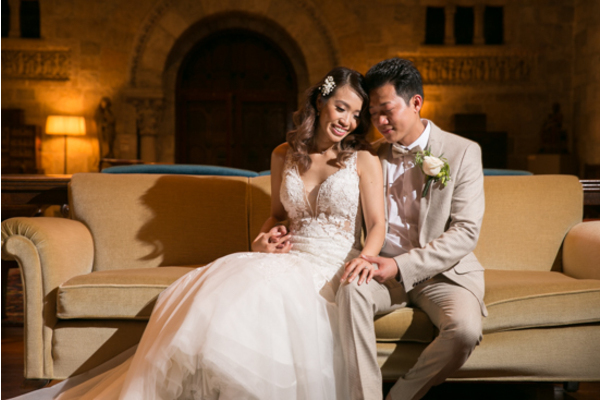 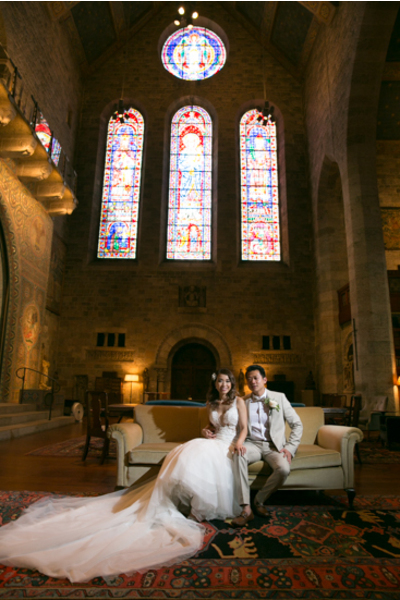 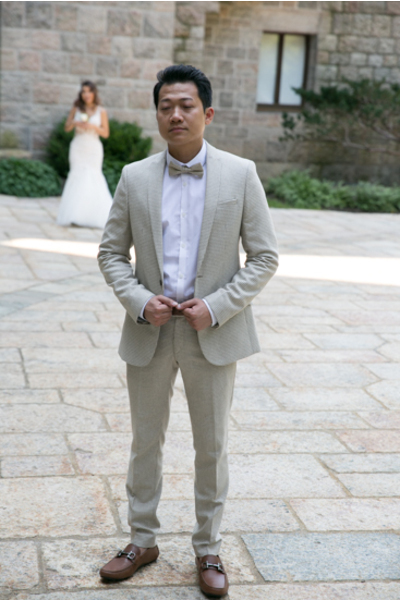 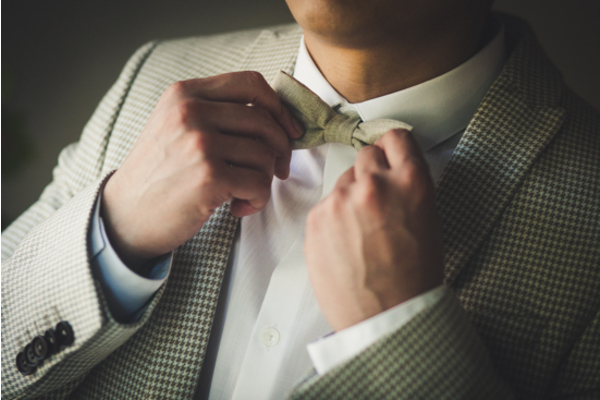 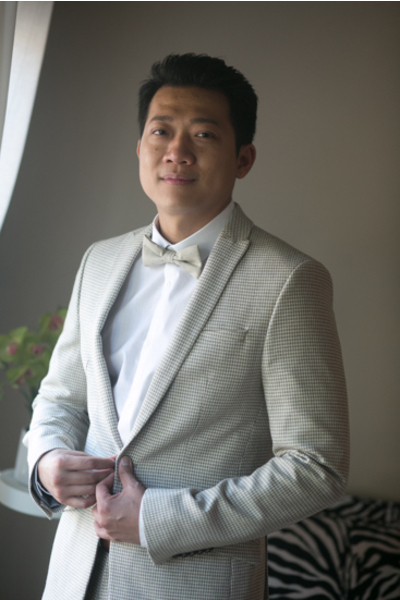 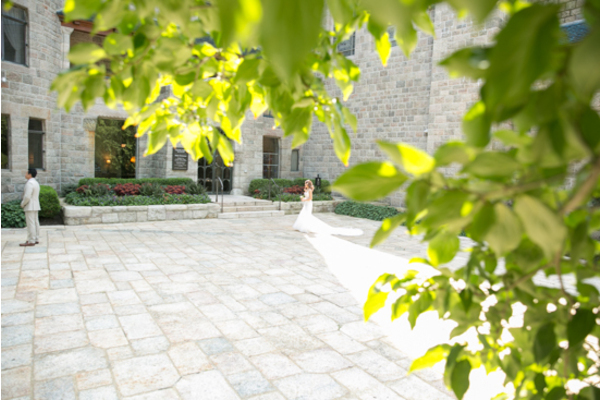 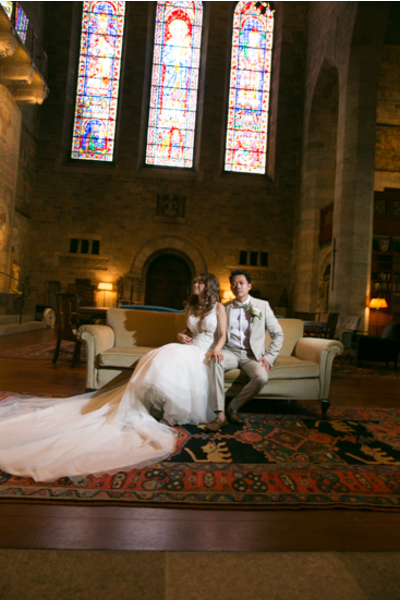 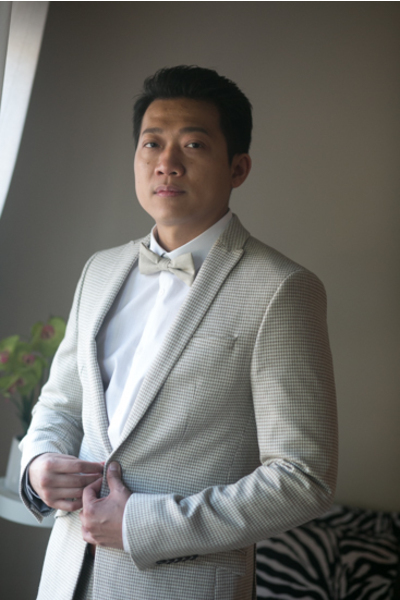 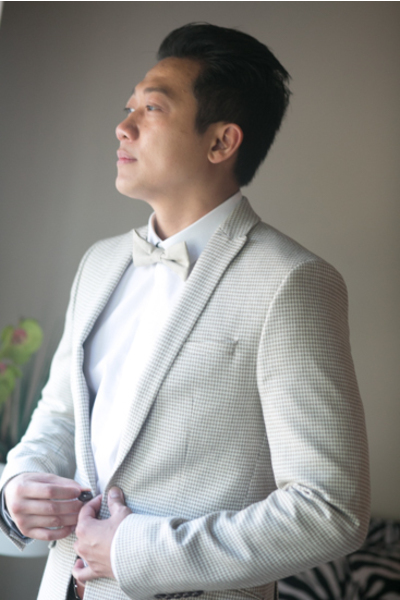 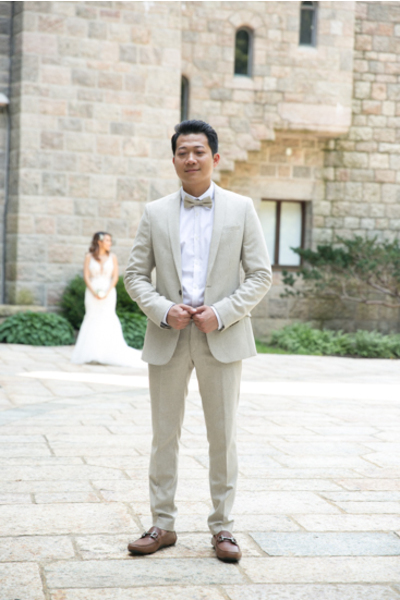 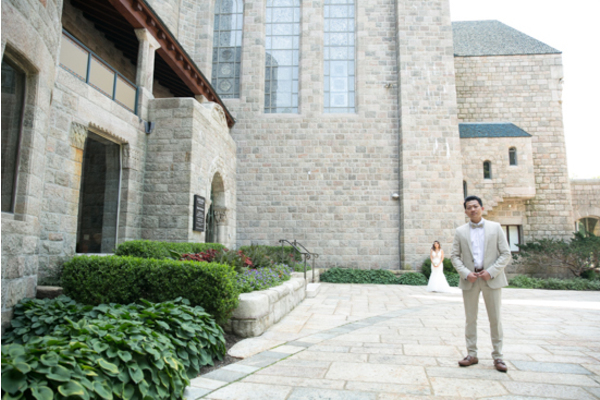 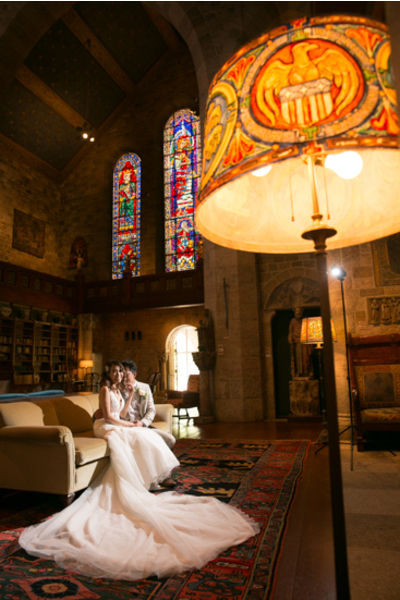 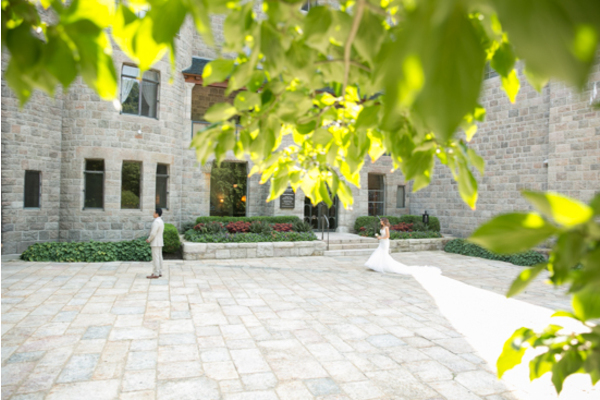 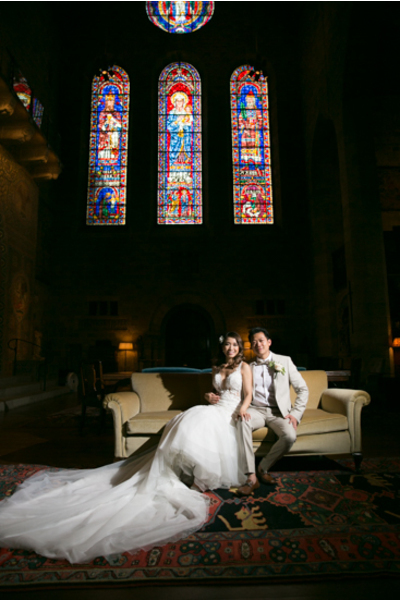 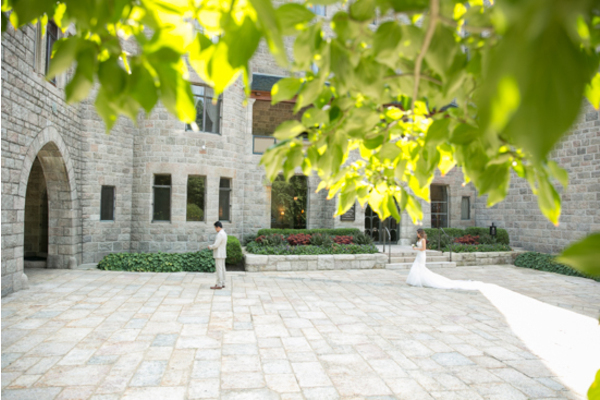 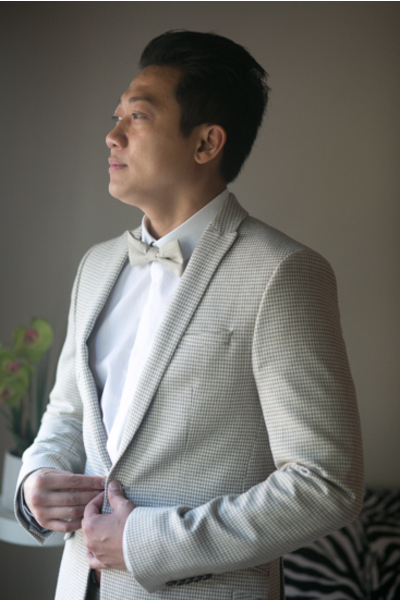 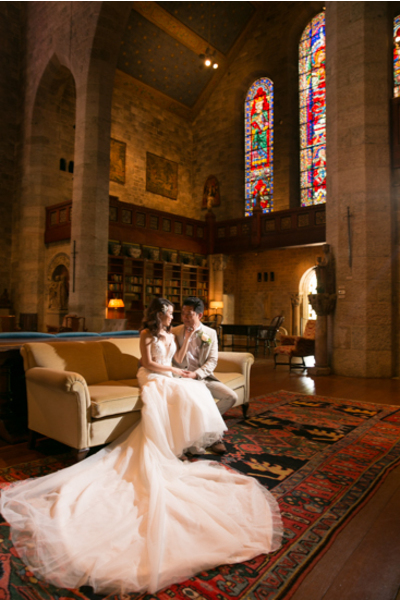 After both the bride and groom were ready, they headed to a gorgeous stone building to take stunning portrait shots! 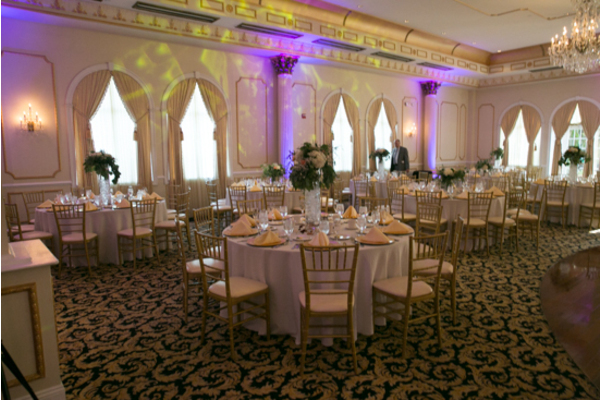 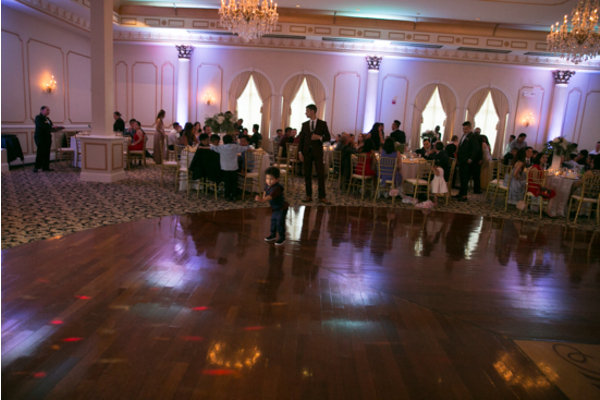 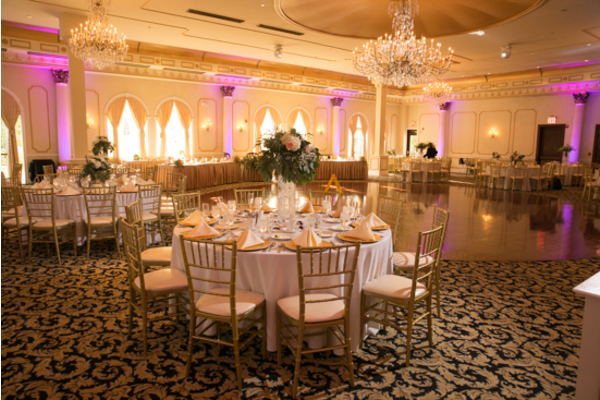 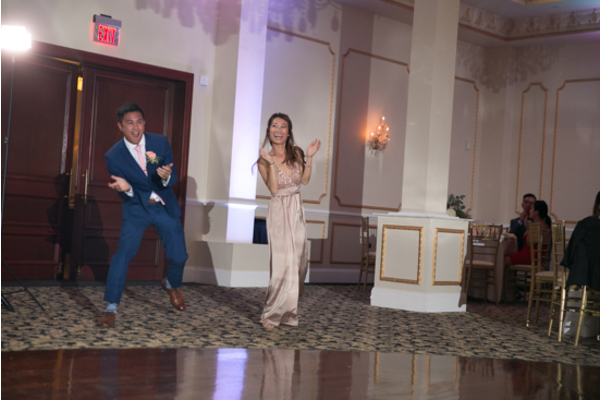 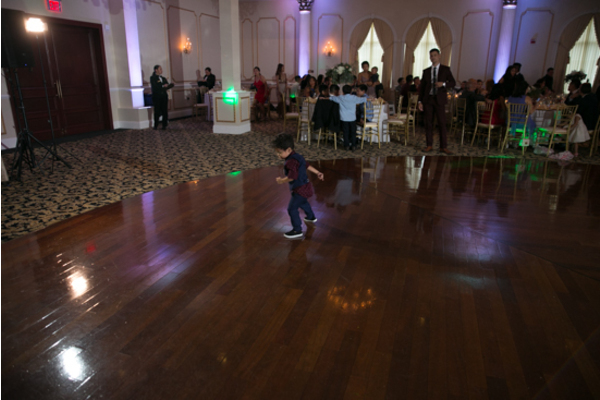 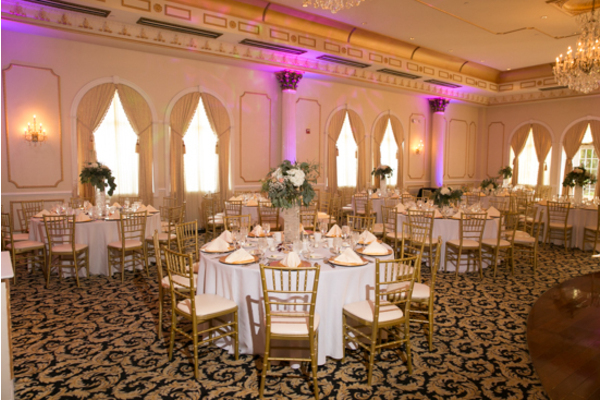 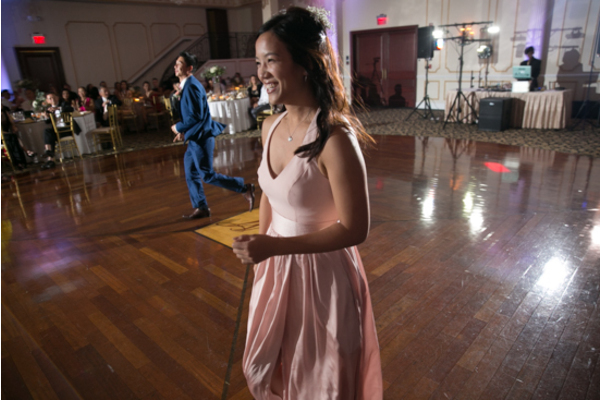 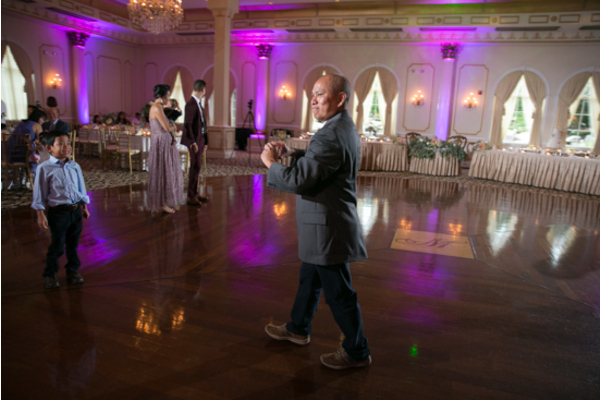 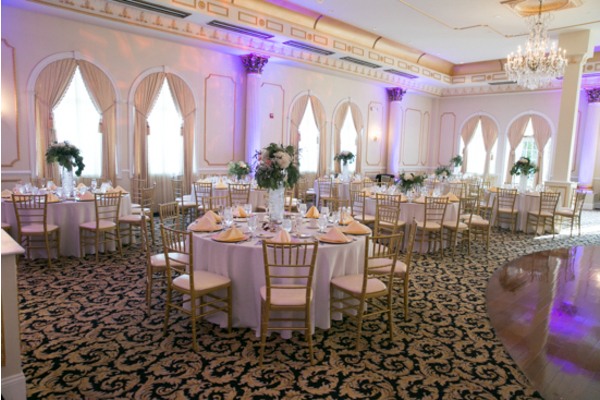 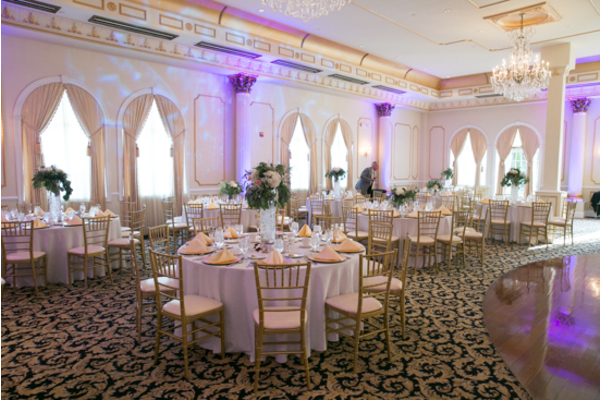 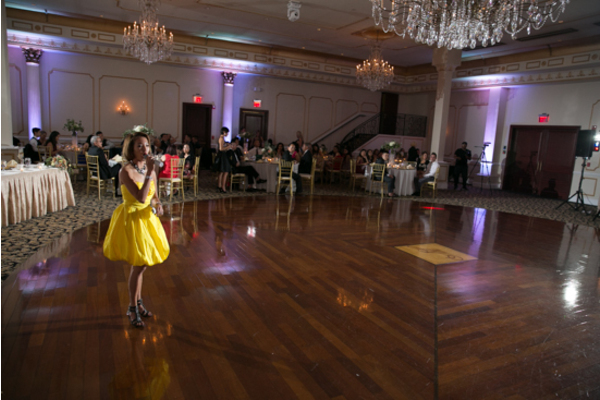 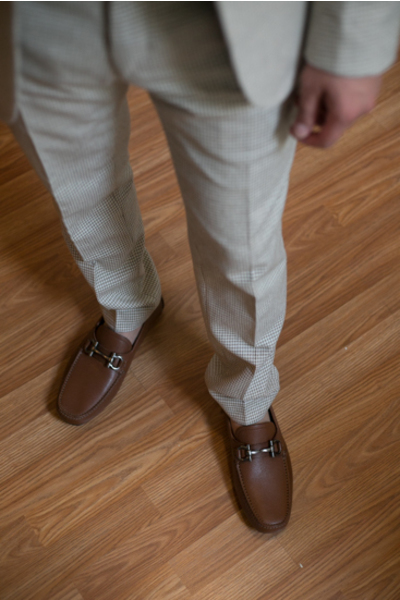 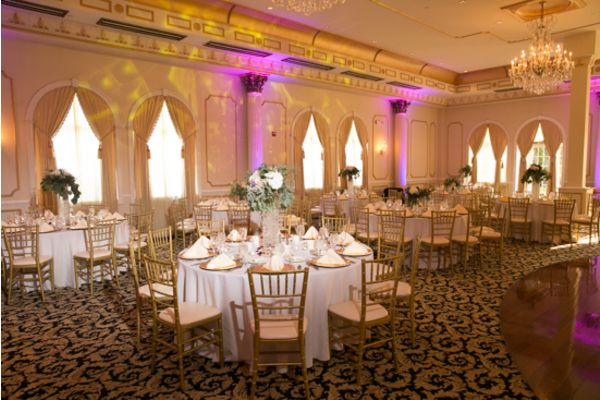 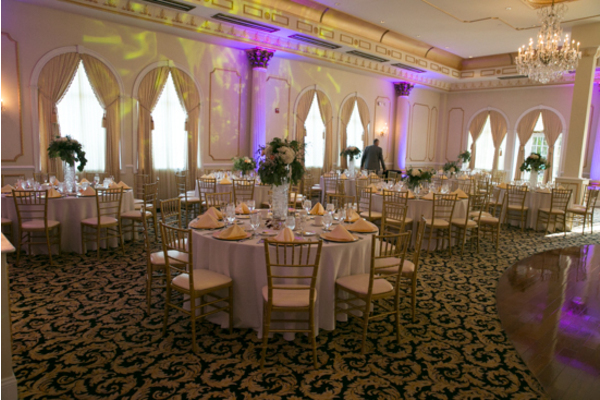 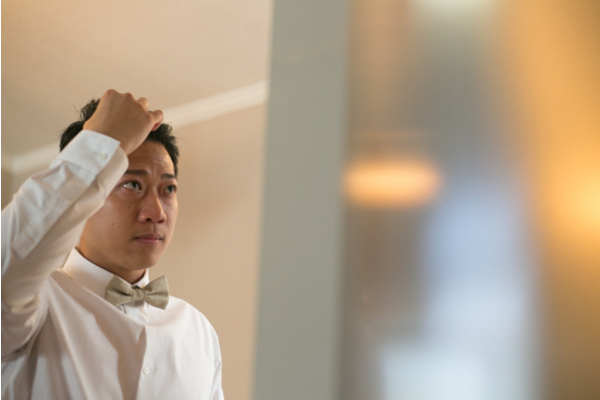 Before heading over to the ceremony, the couple had photos taken by our NJ Wedding Photographer in the middle of a bright, empty ballroom where they stood twirling each other around. 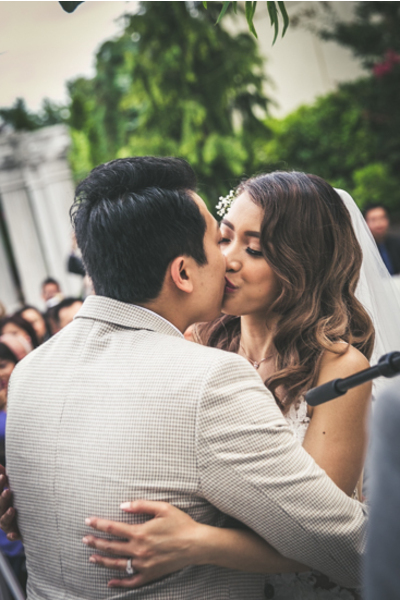 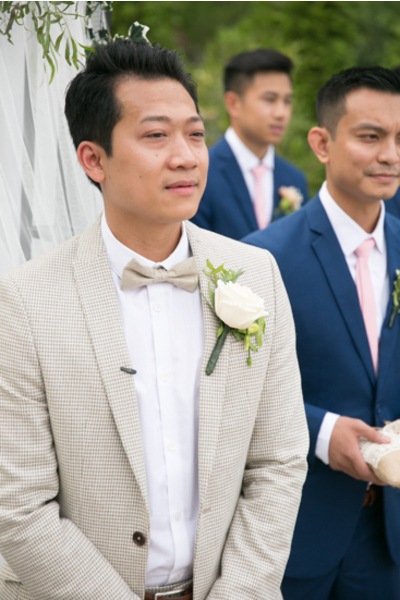 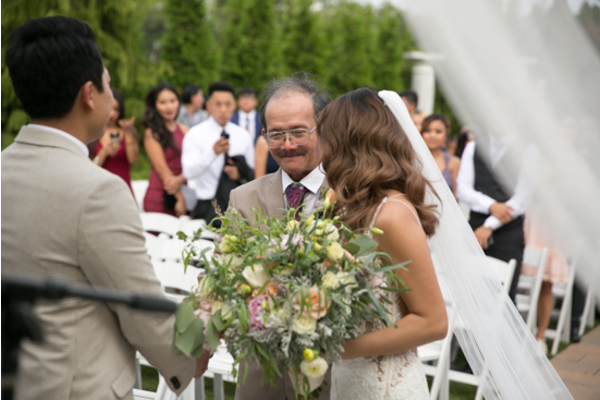 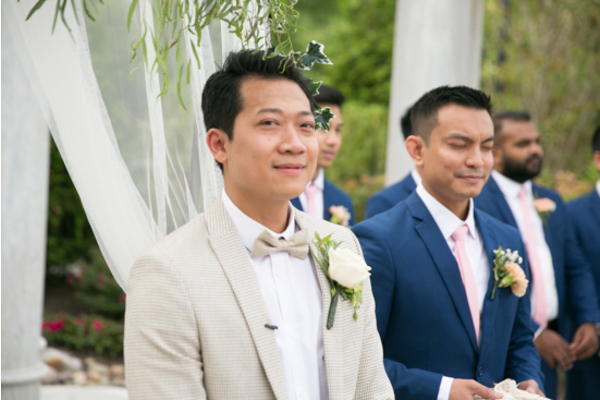 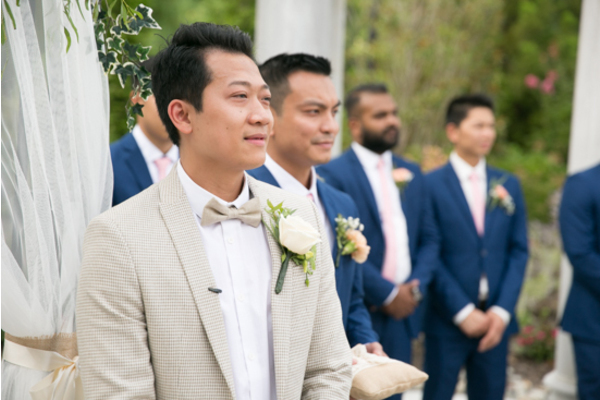 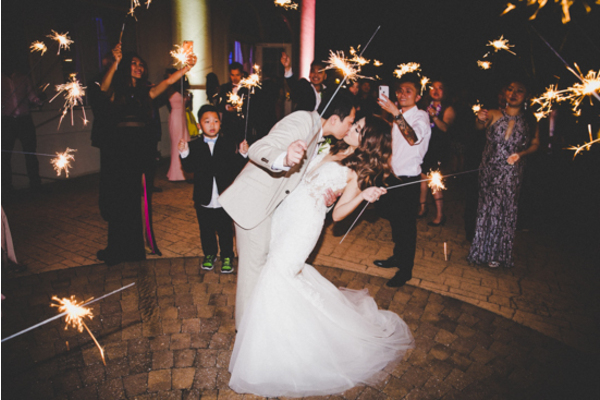 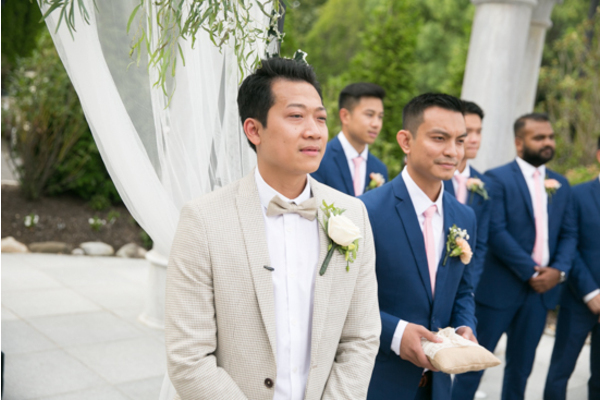 At this gorgeous outdoor wedding ceremony, the couple said their vows and finished it off with a memorable kiss! 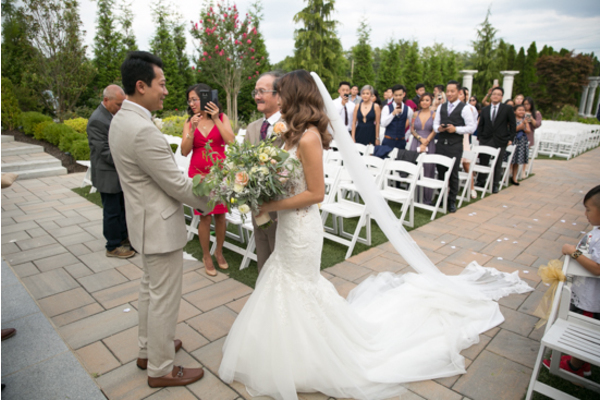 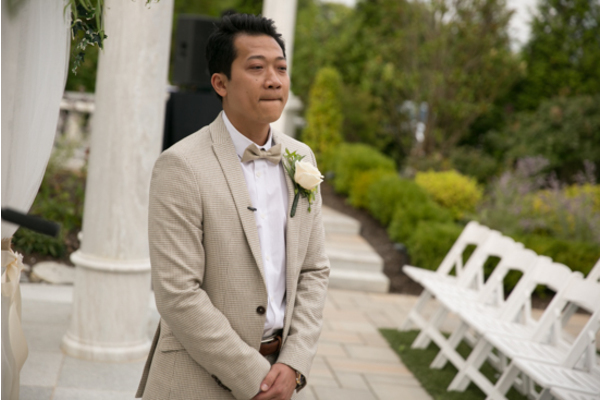 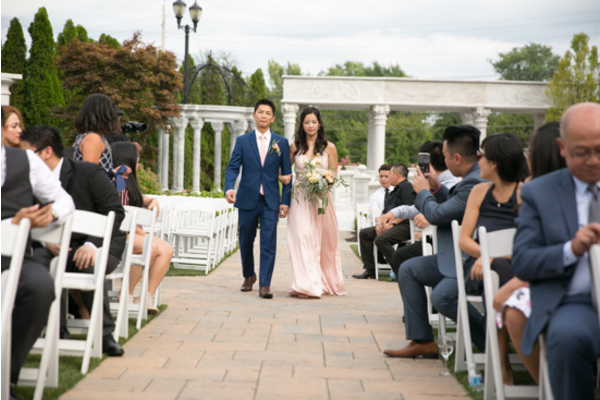 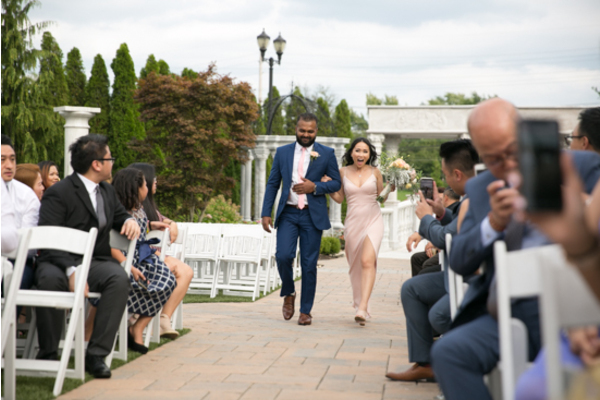 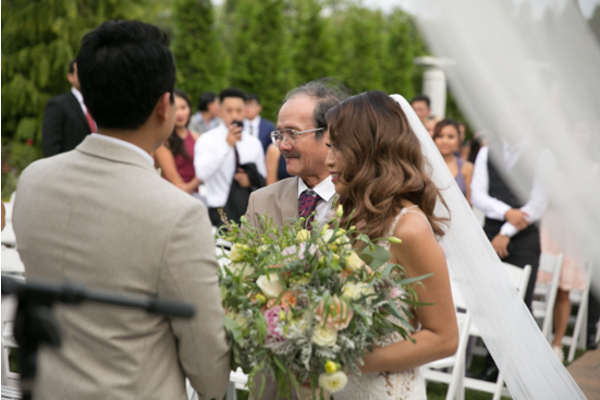 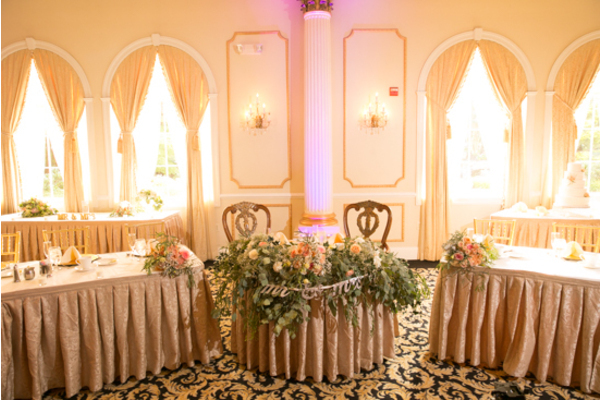 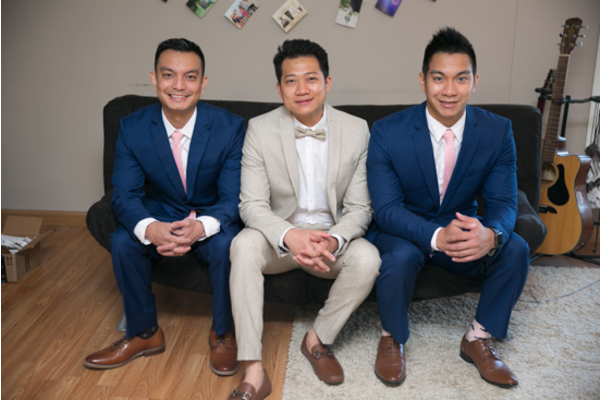 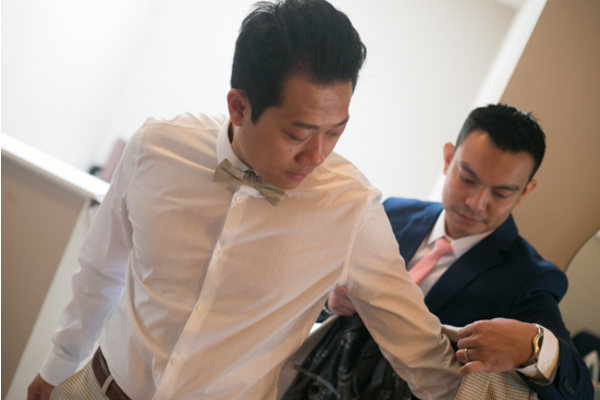 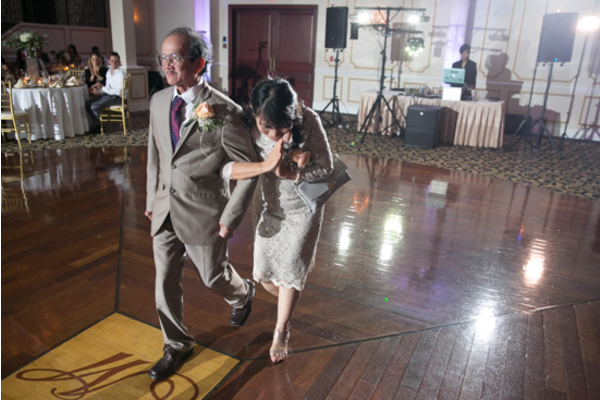 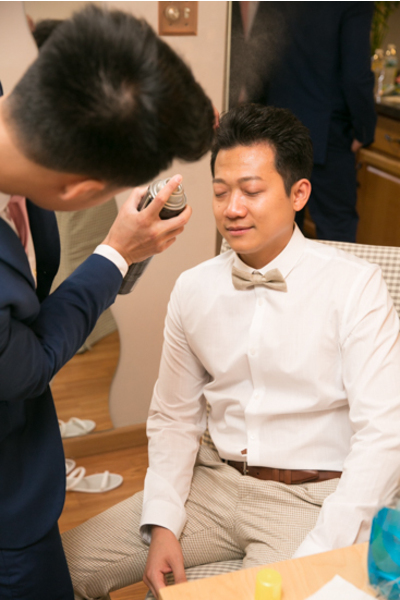 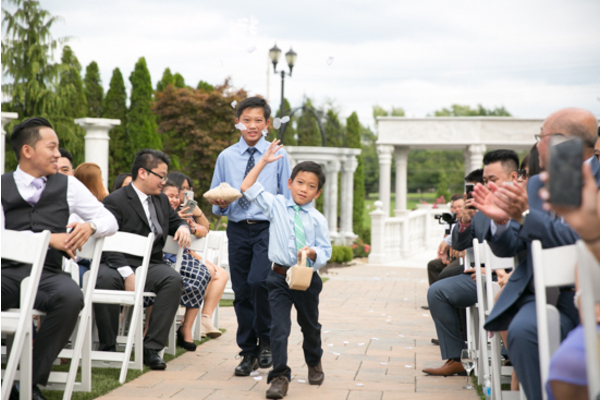 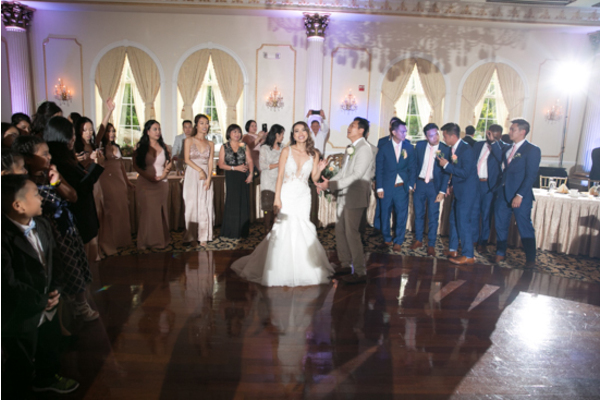 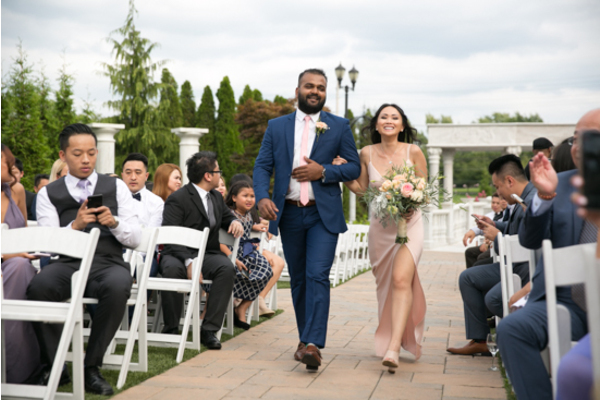 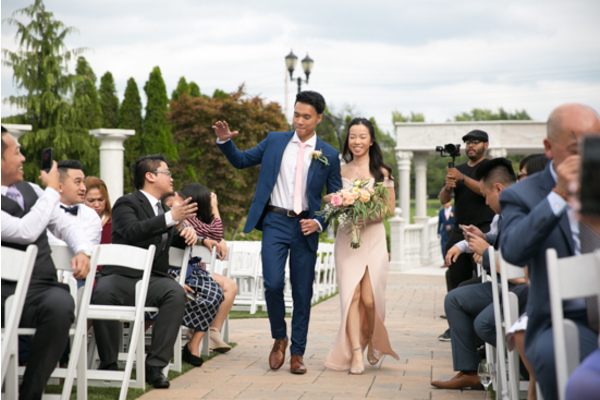 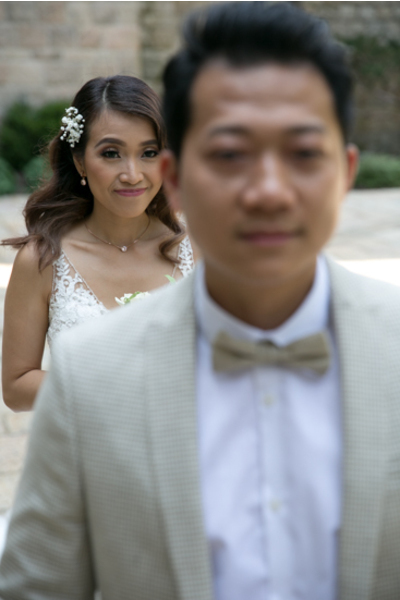 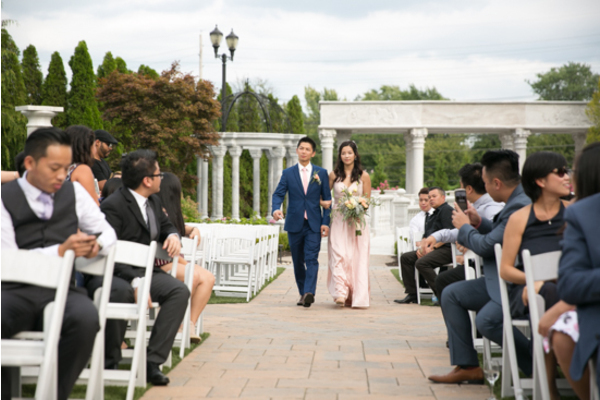 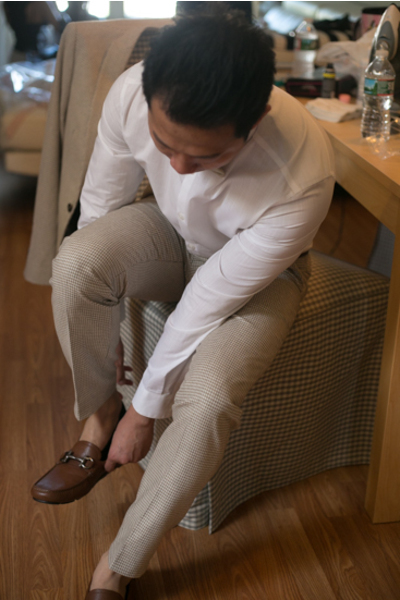 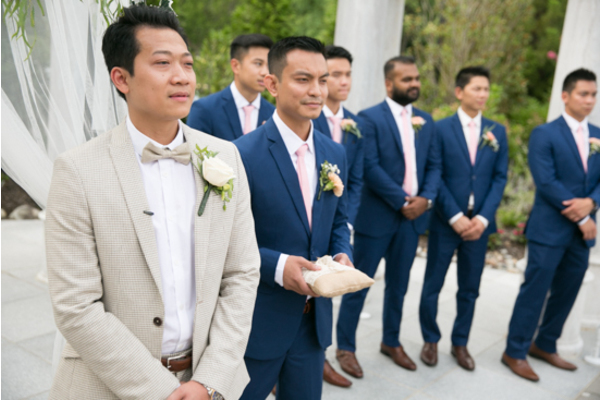 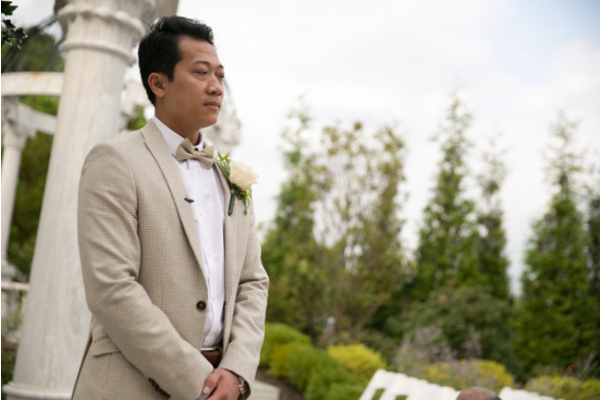 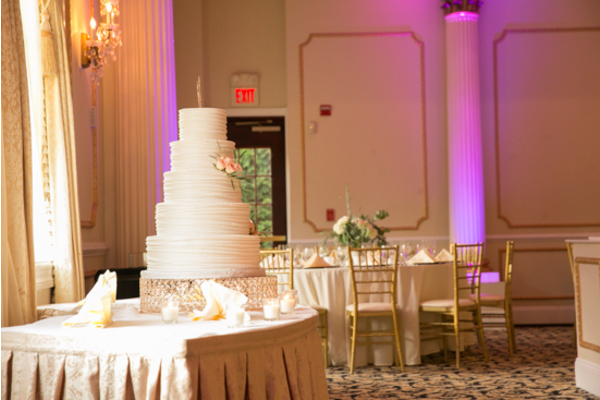 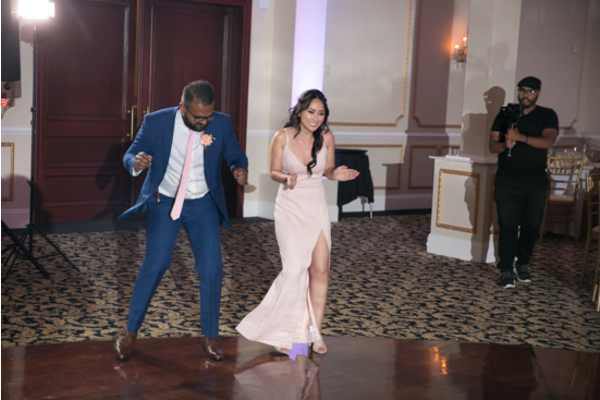 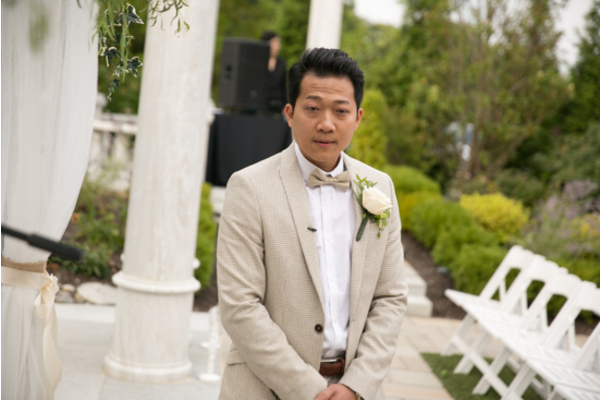 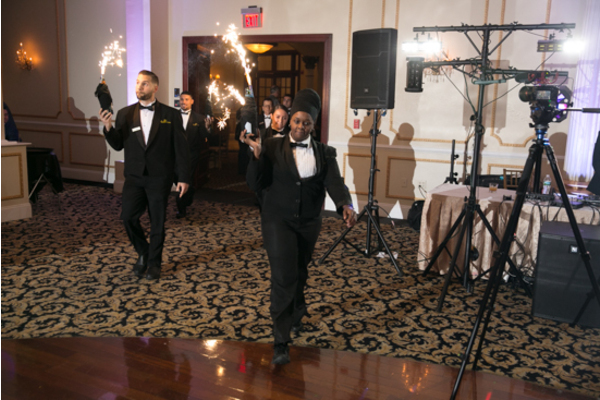 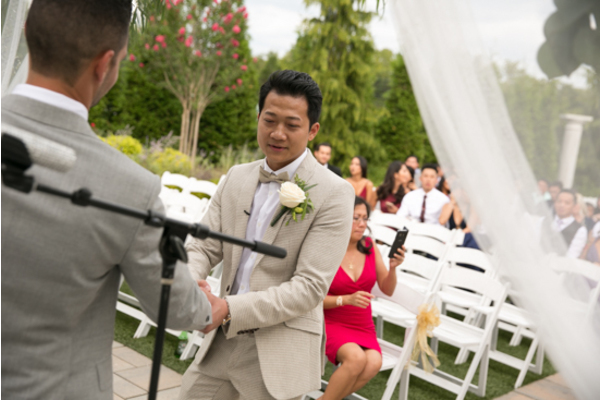 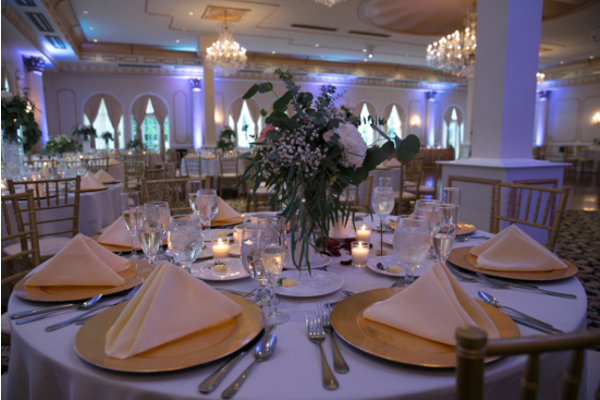 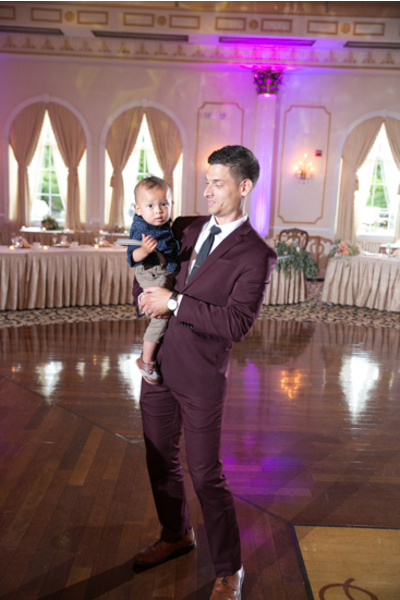 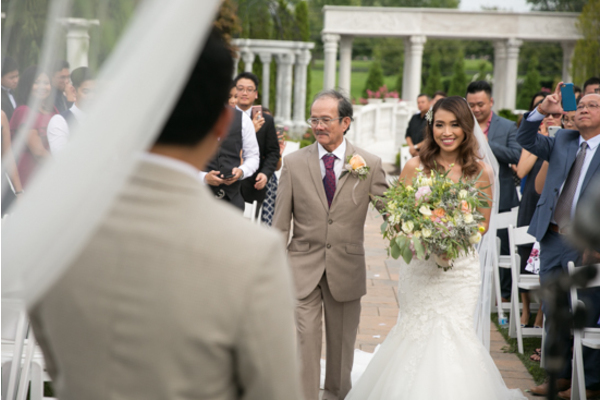 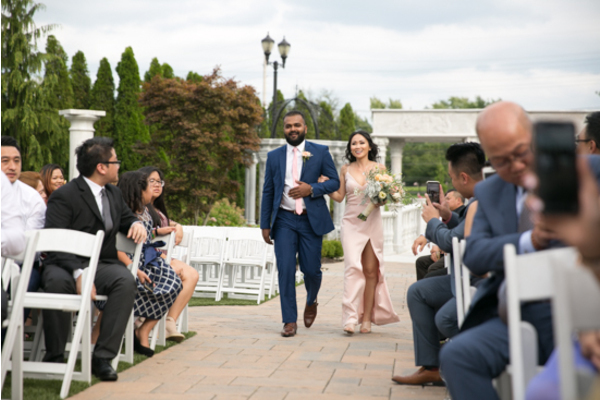 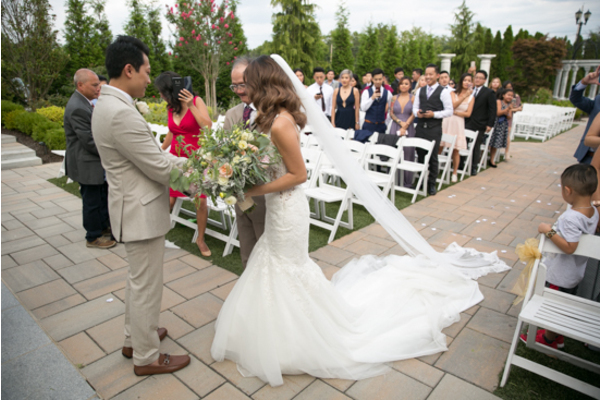 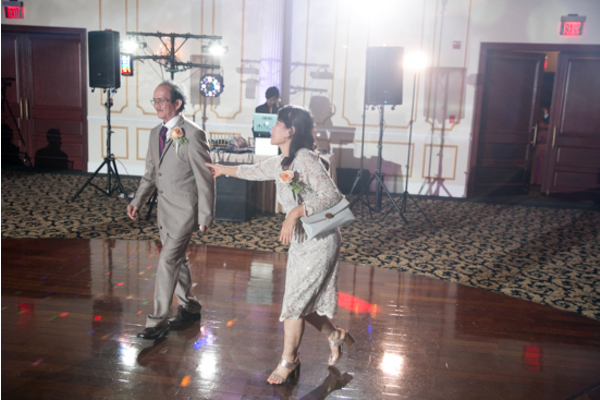 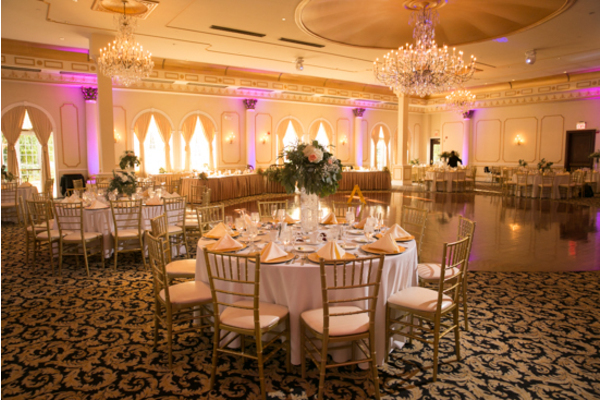 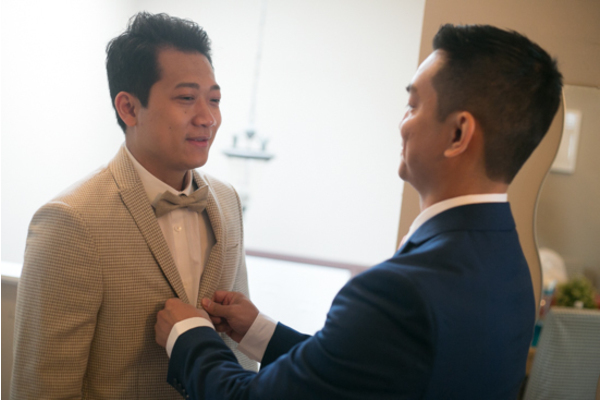 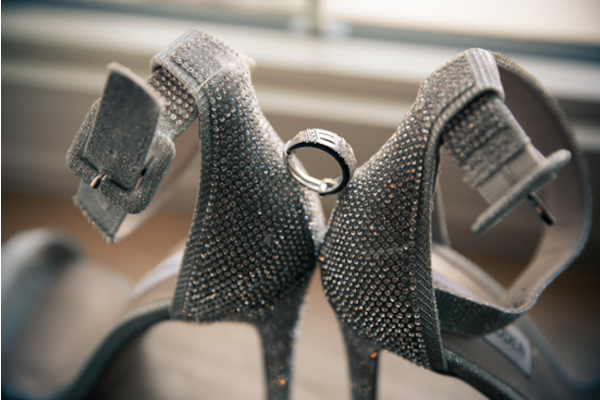 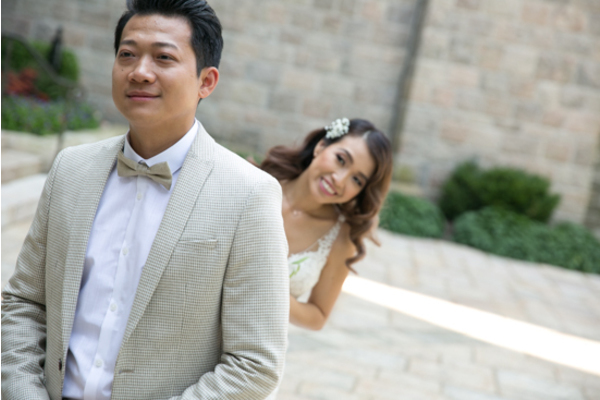 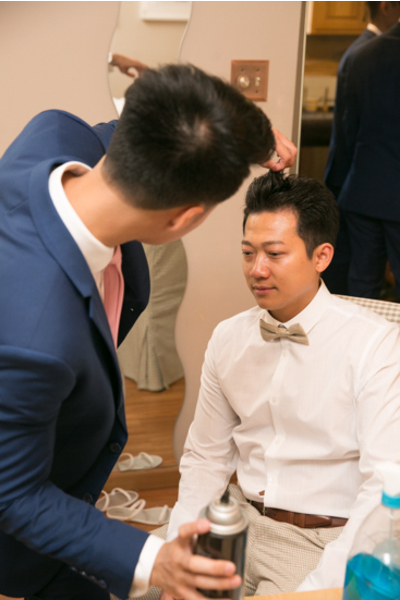 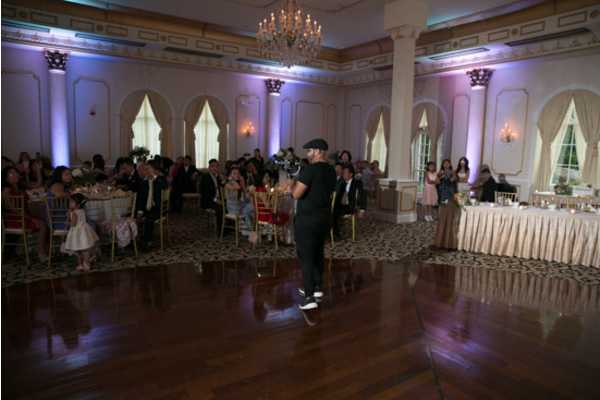 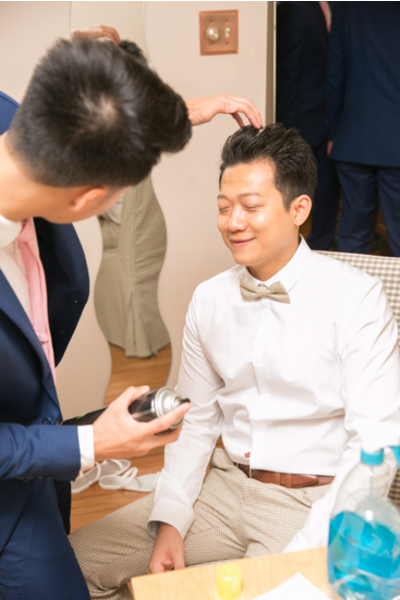 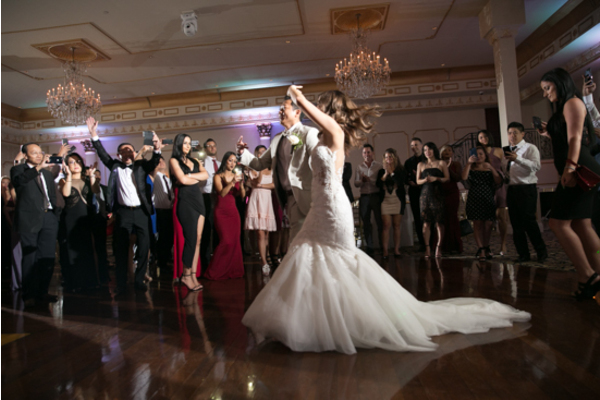 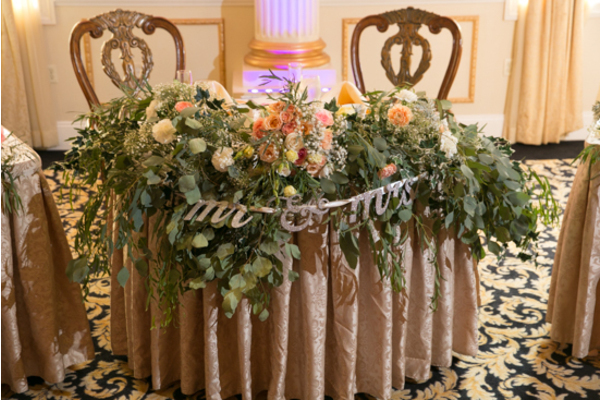 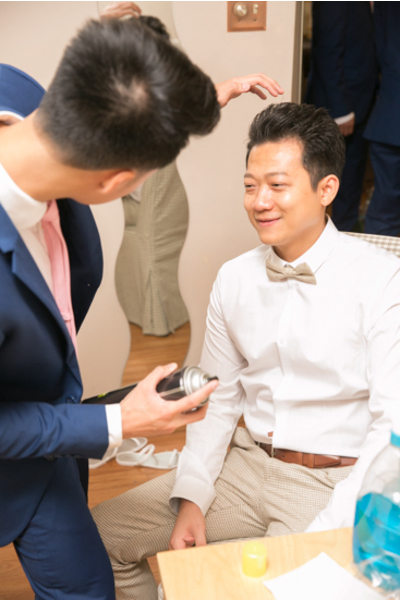 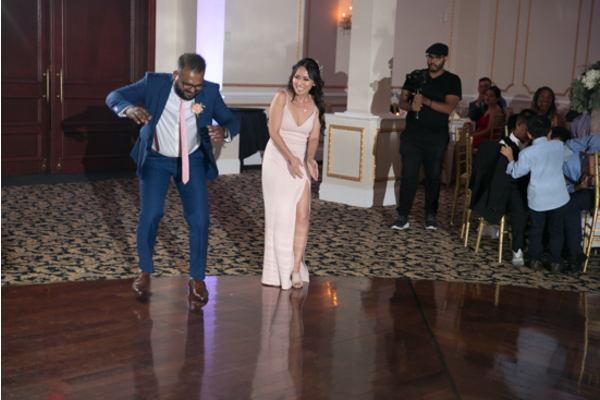 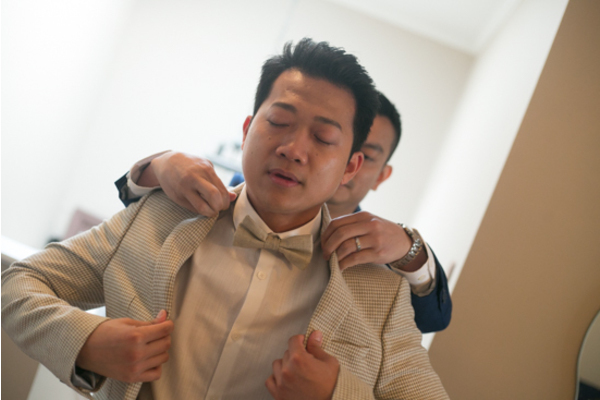 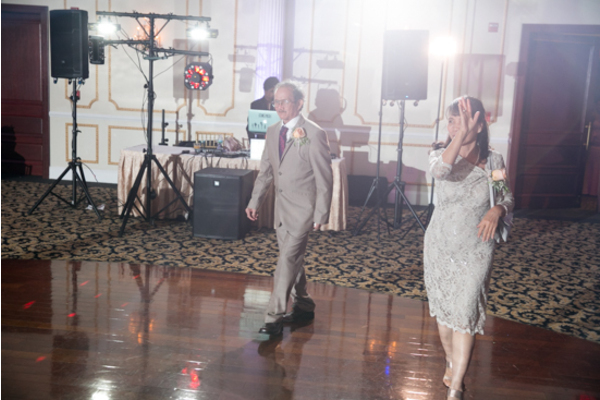 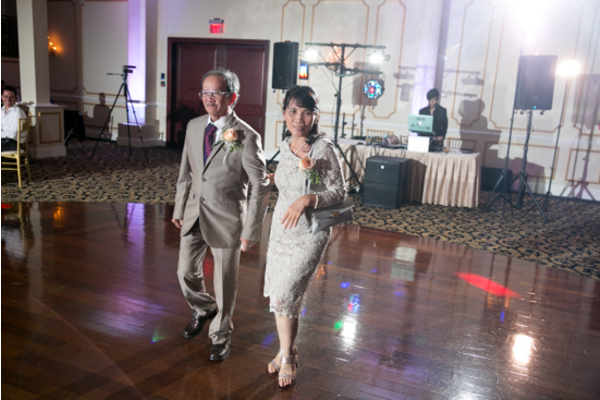 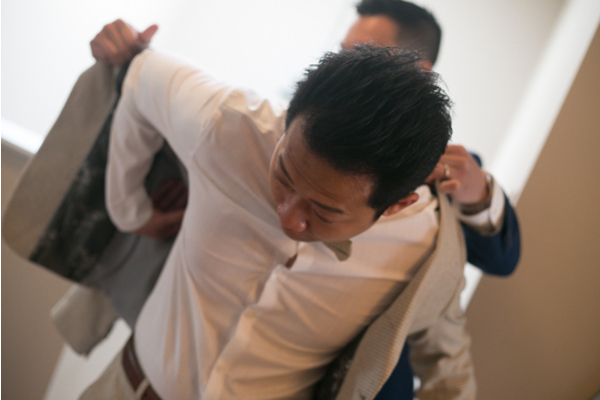 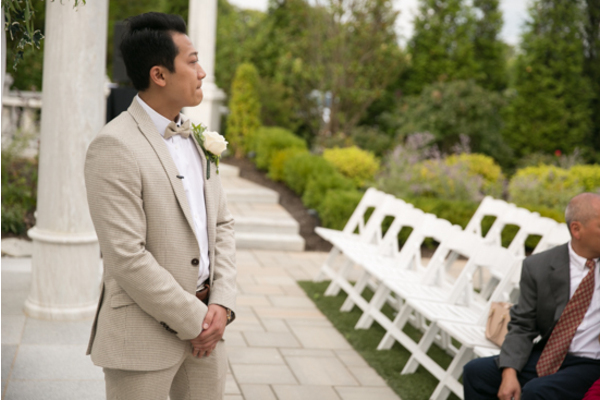 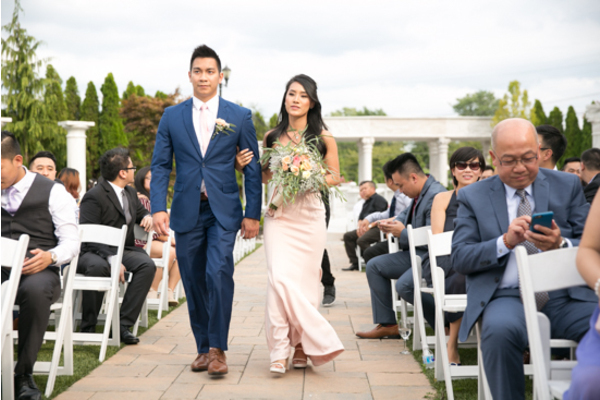 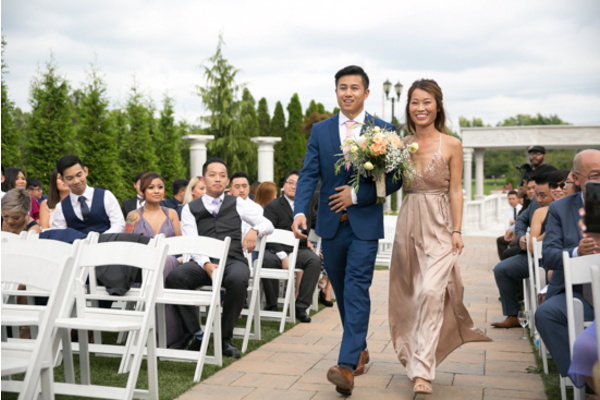 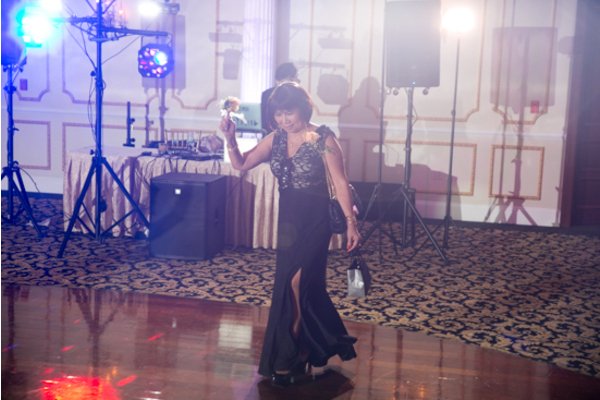 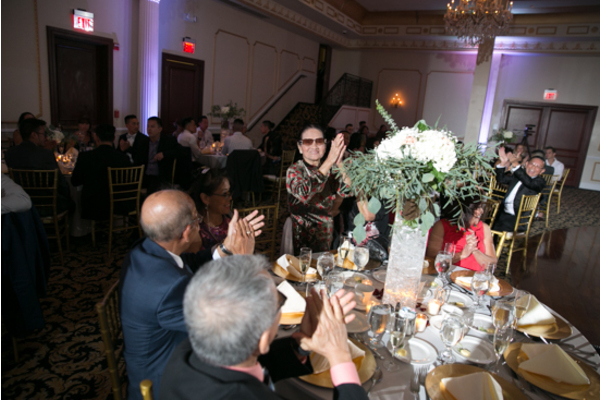 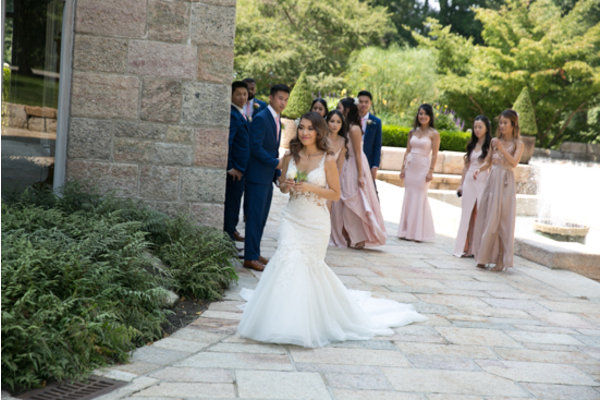 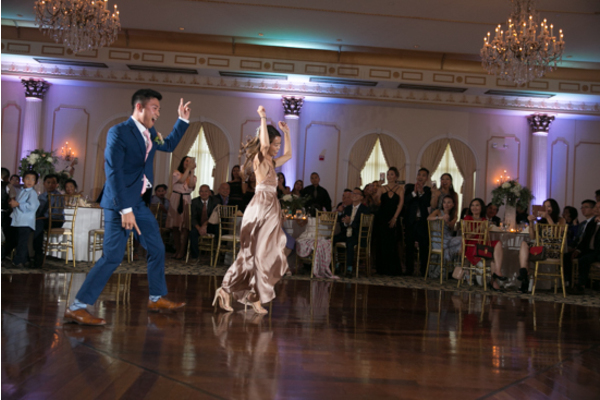 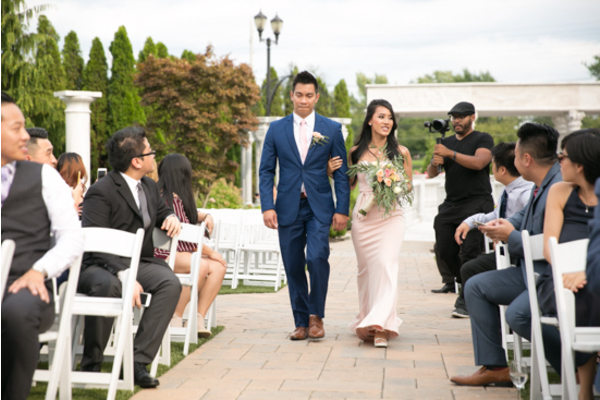 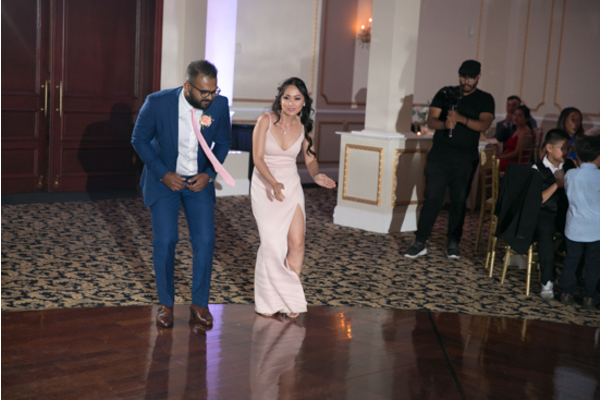 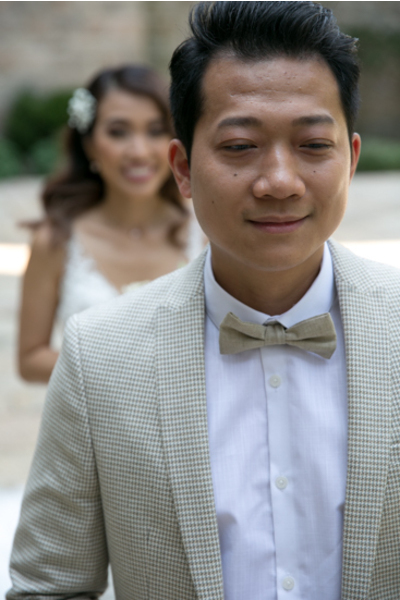 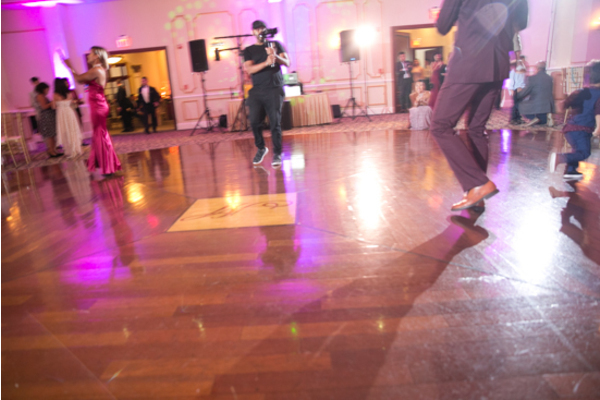 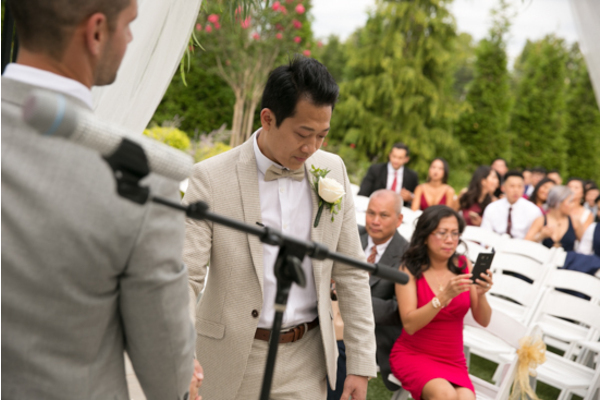 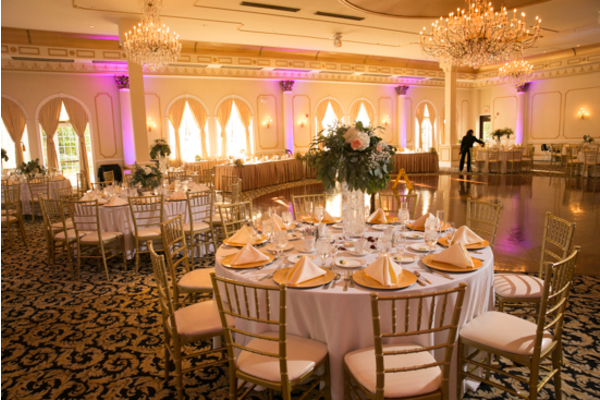 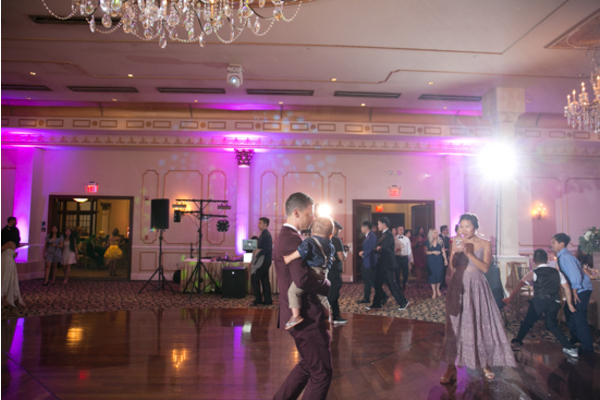 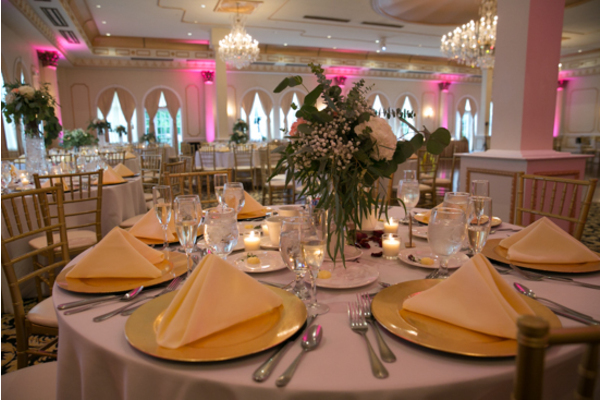 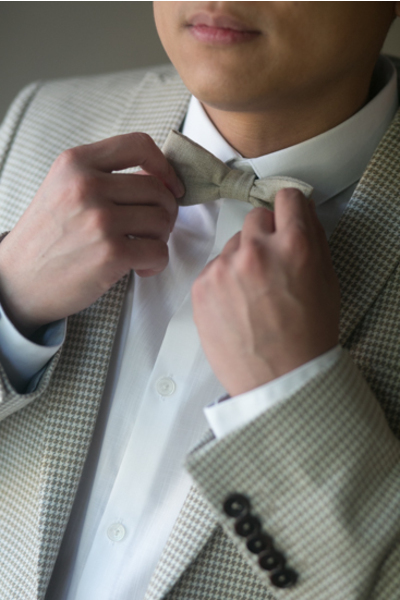 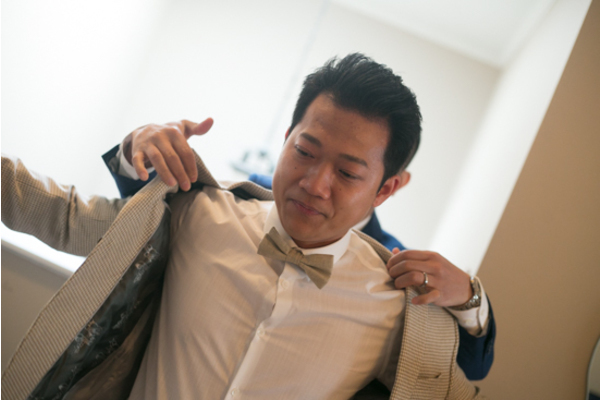 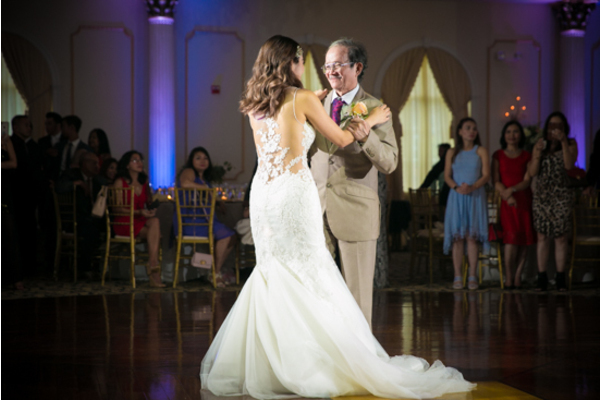 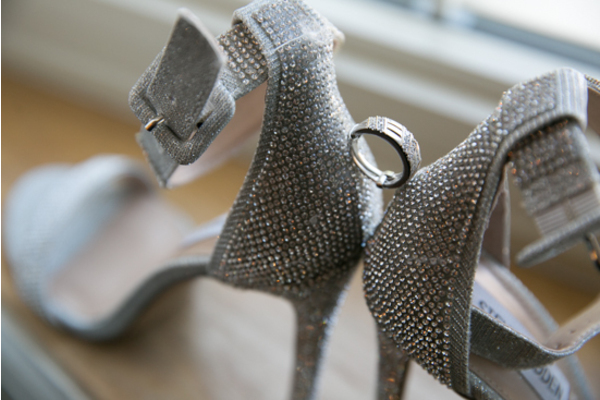 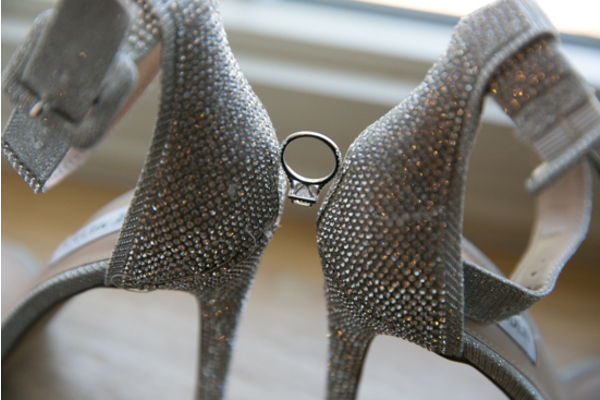 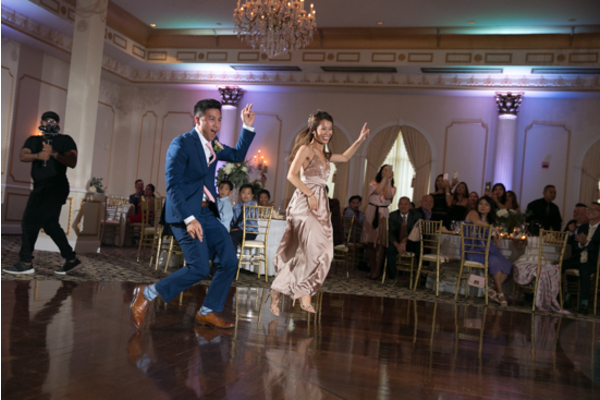 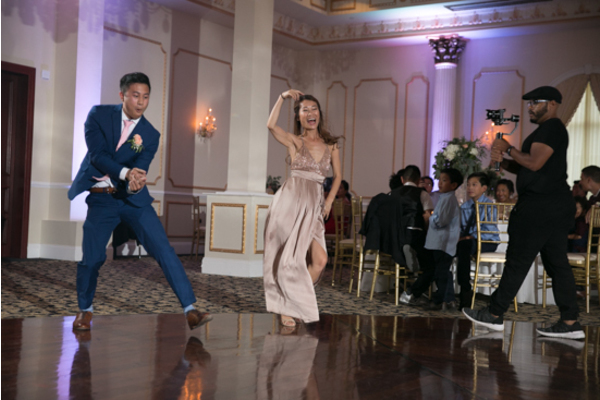 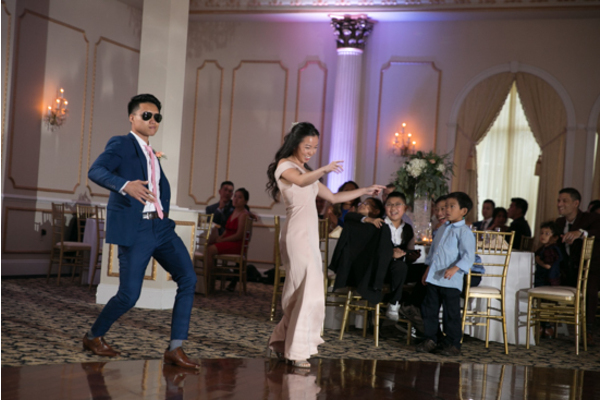 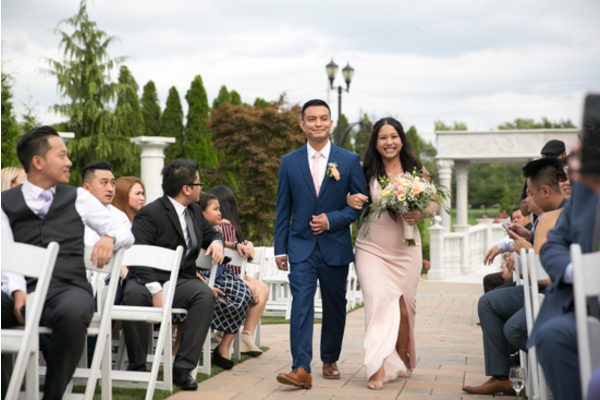 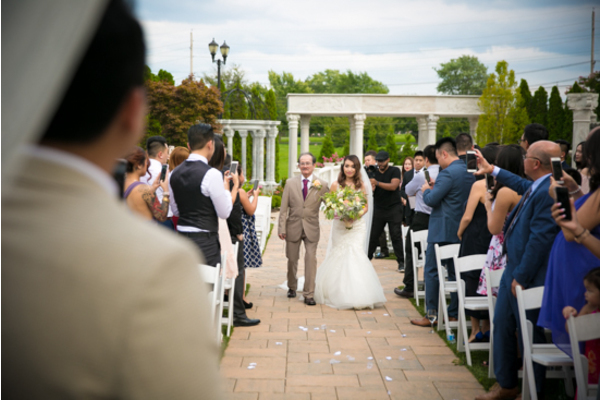 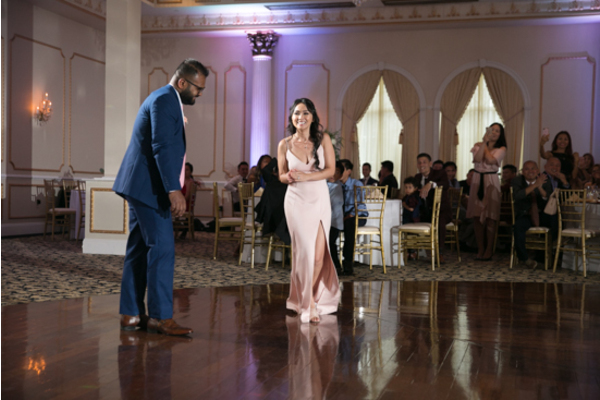 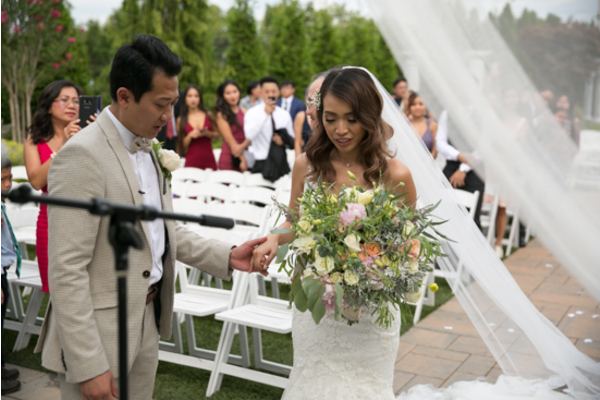 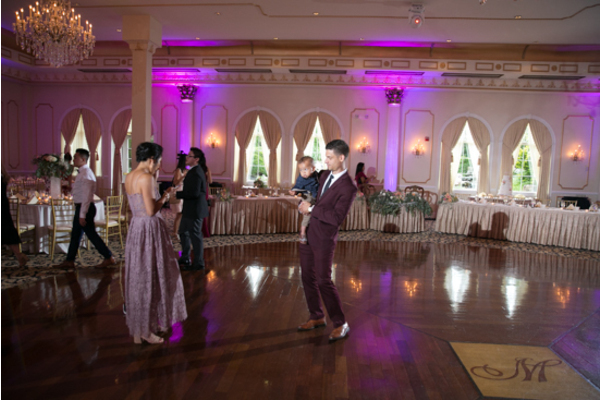 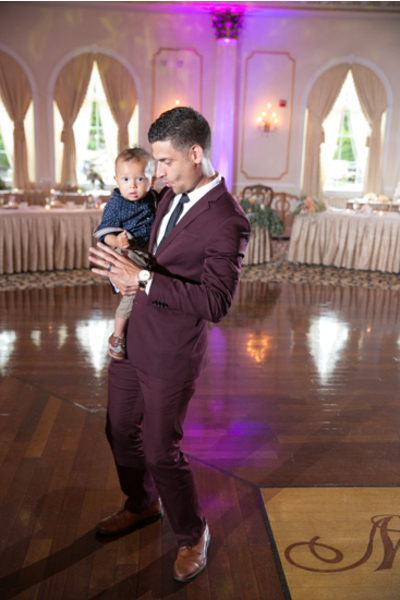 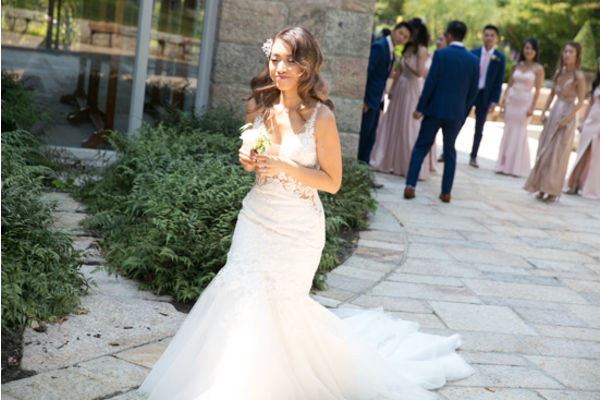 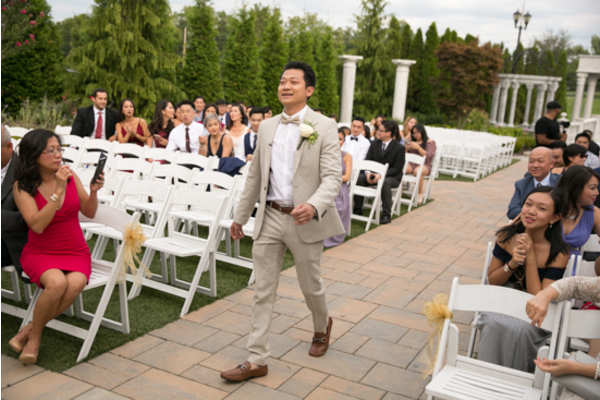 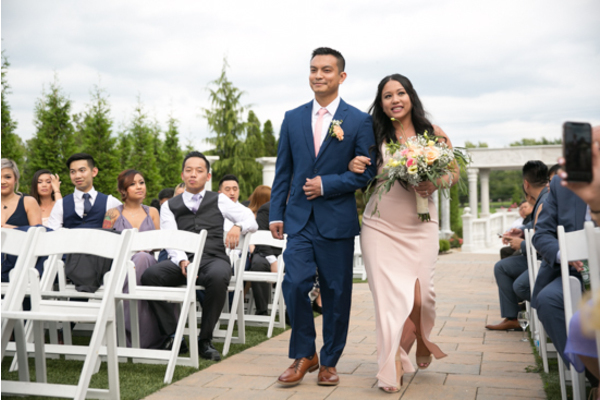 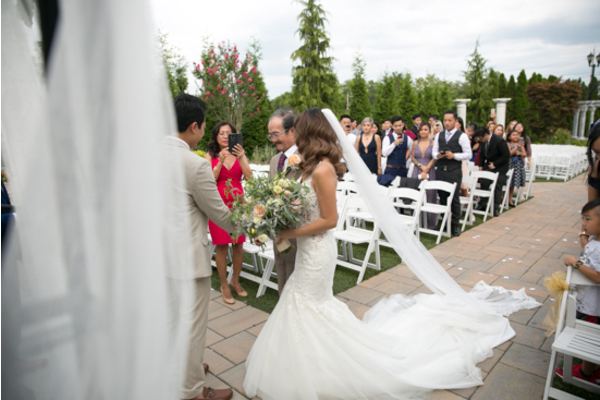 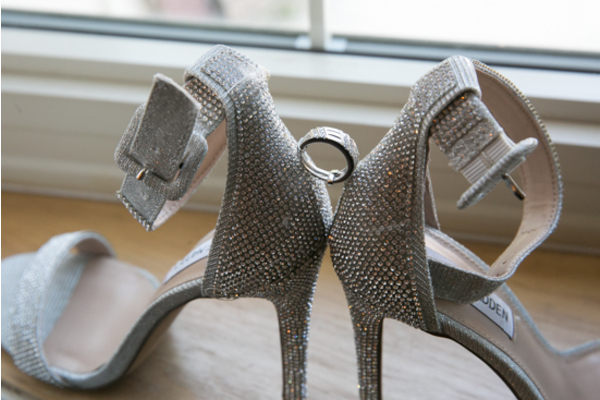 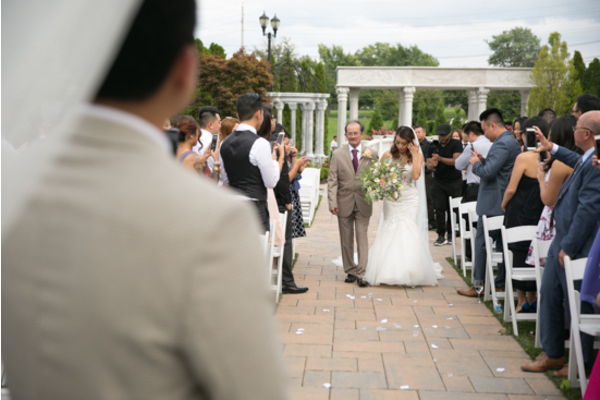 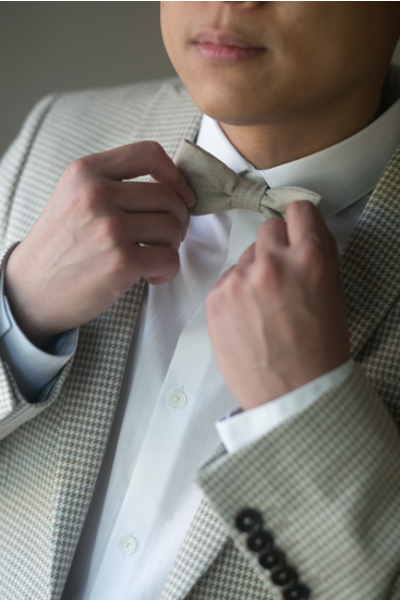 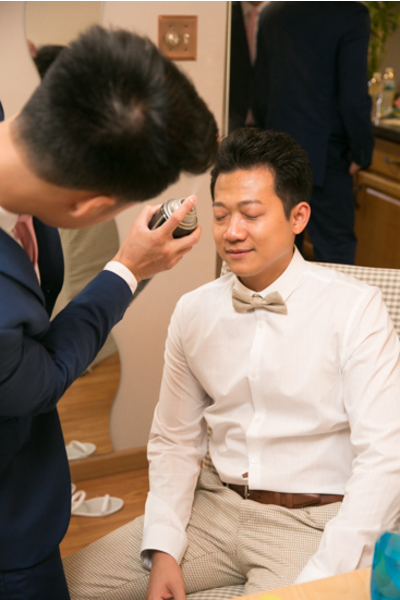 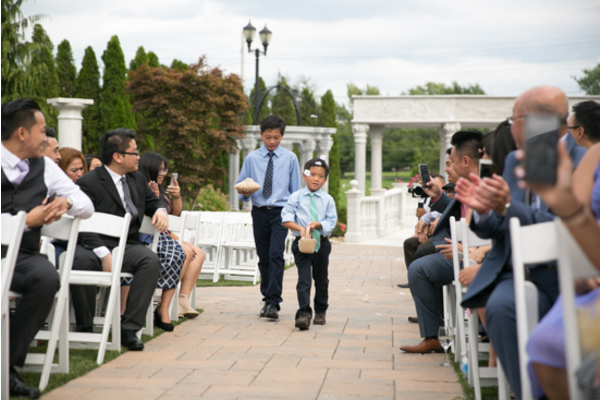 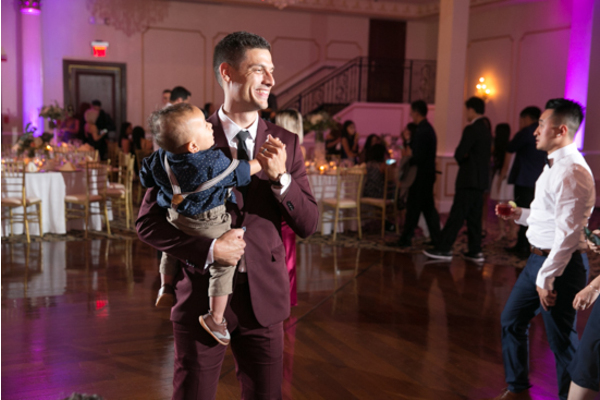 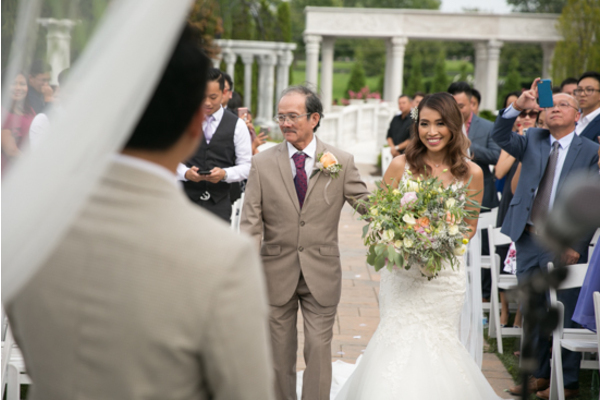 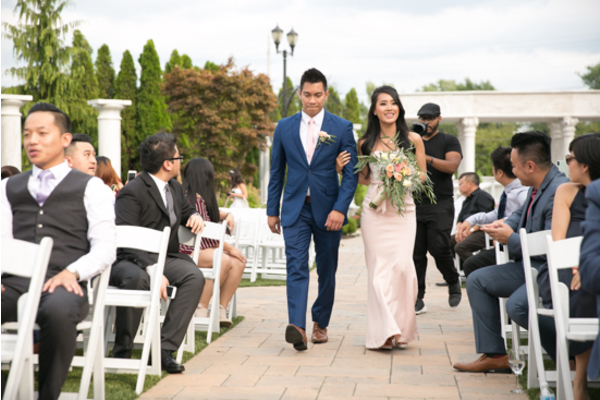 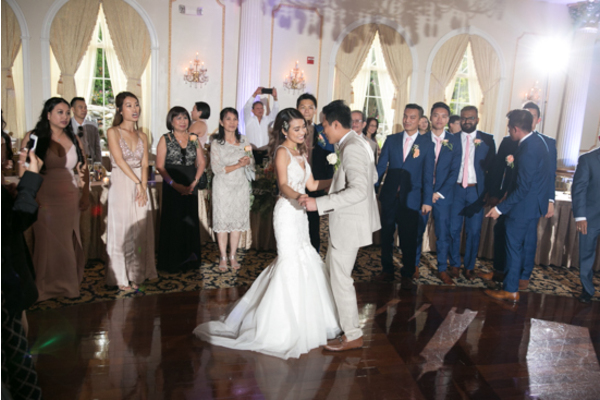 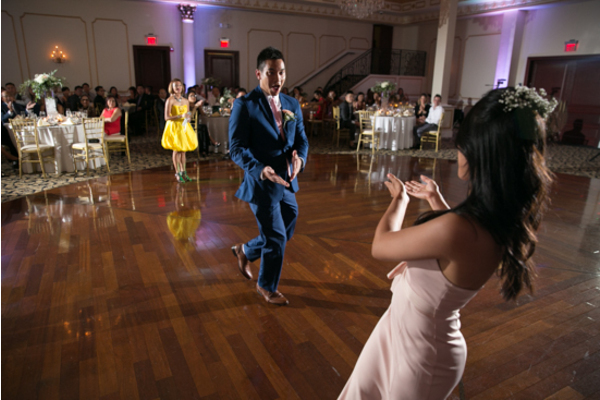 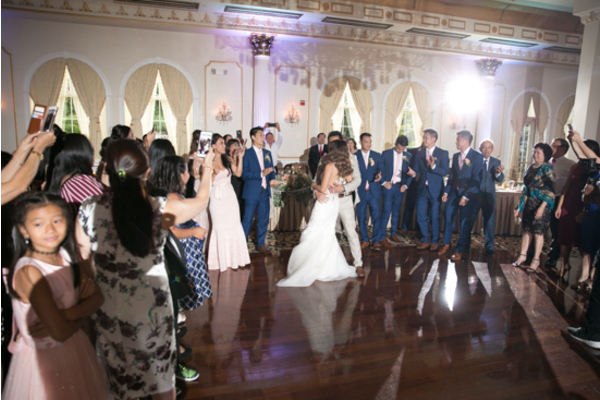 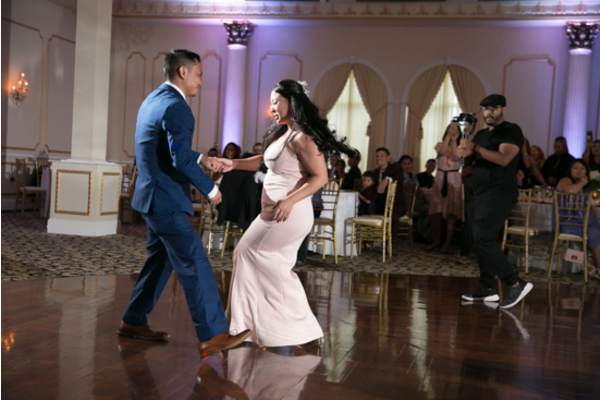 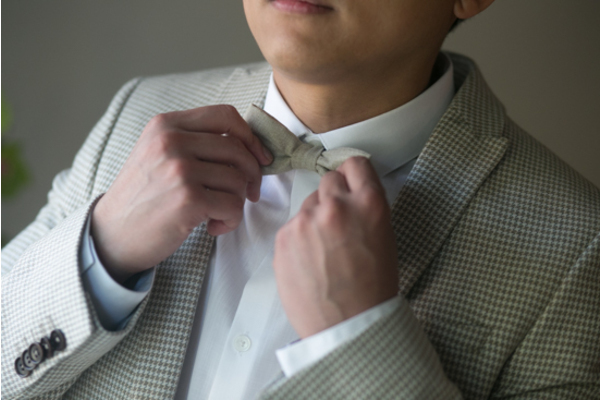 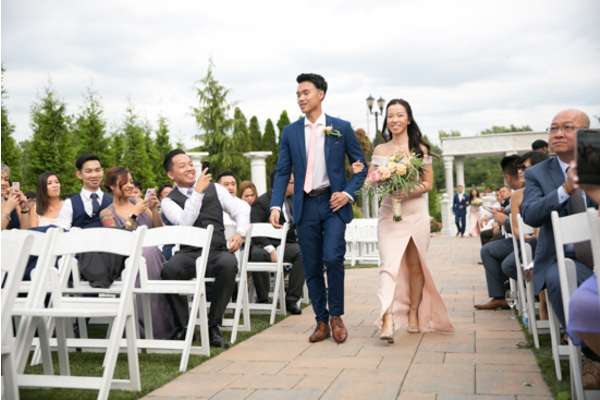 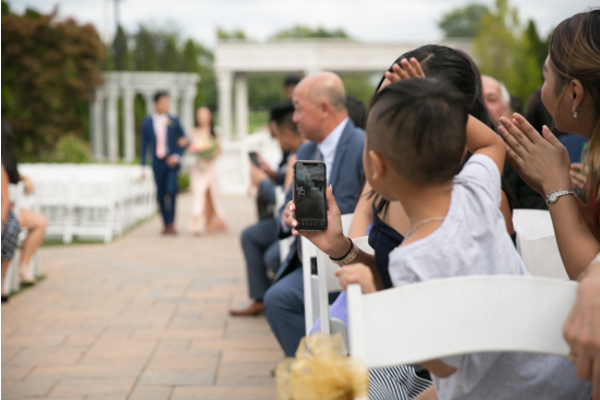 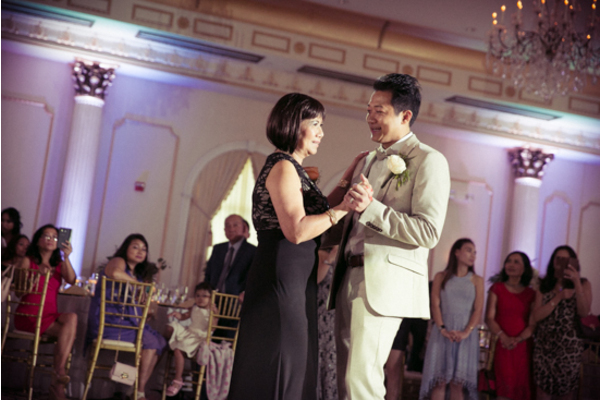 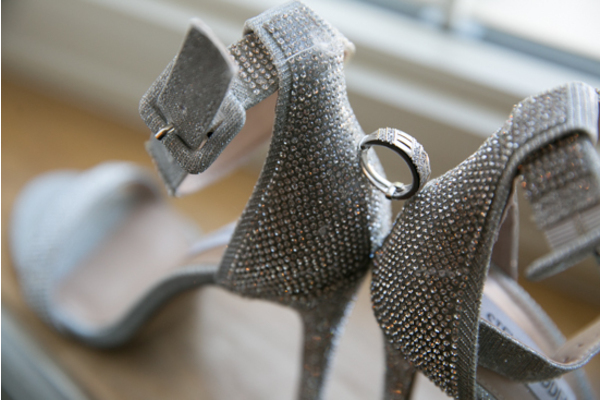 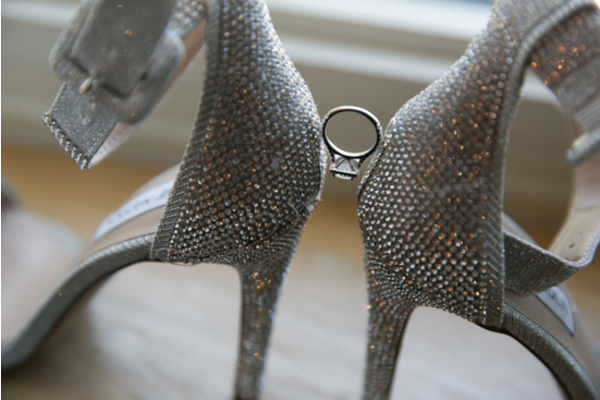 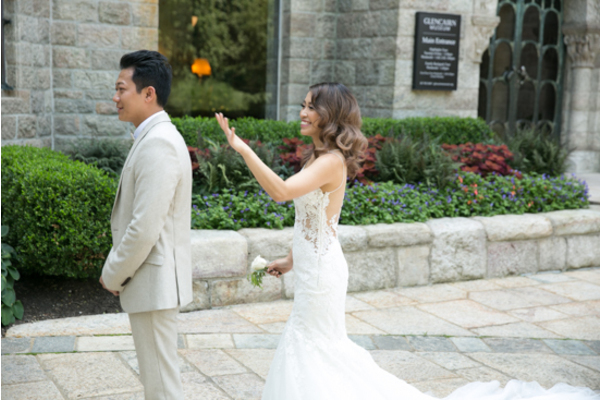 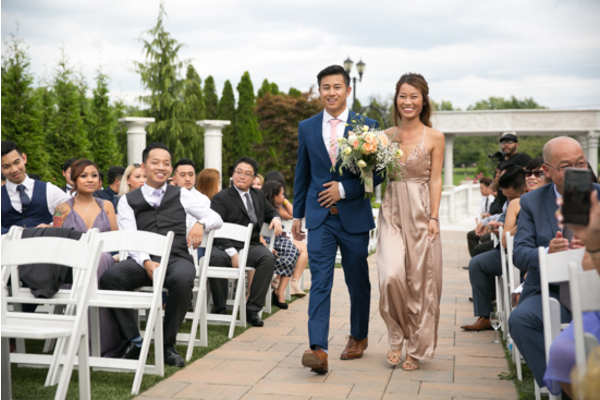 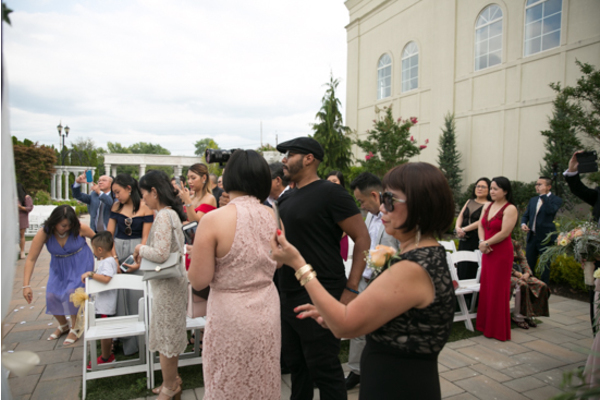 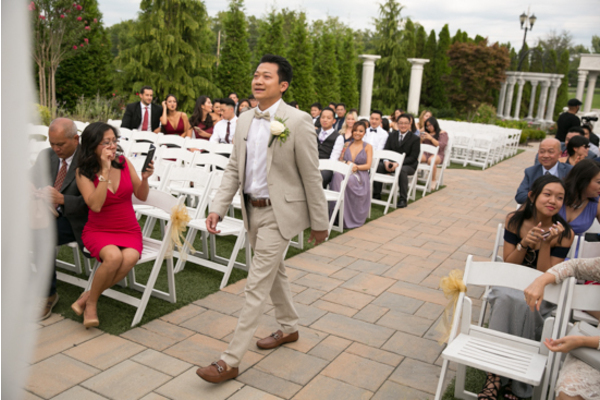 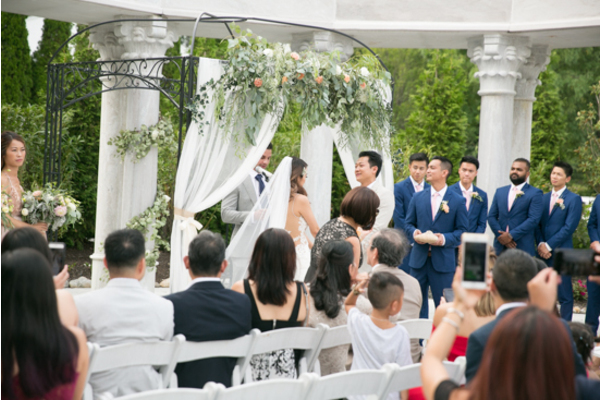 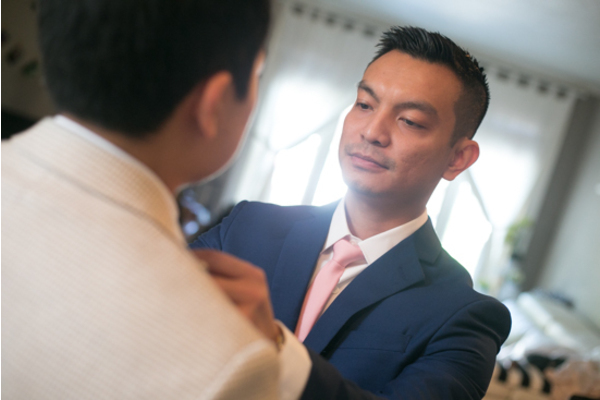 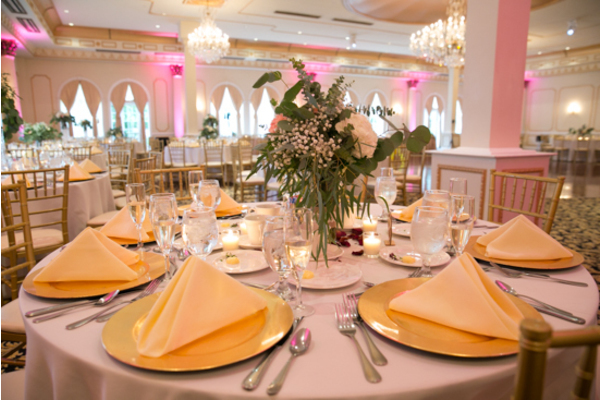 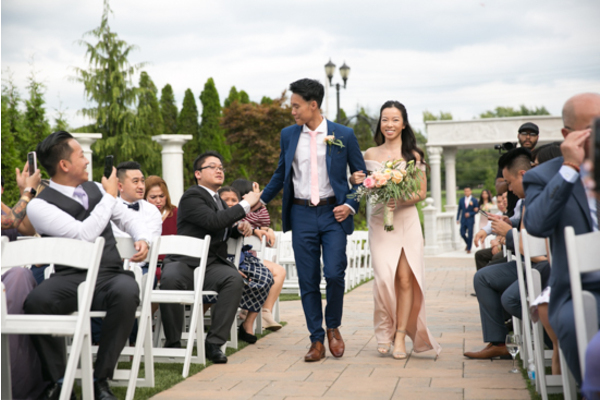 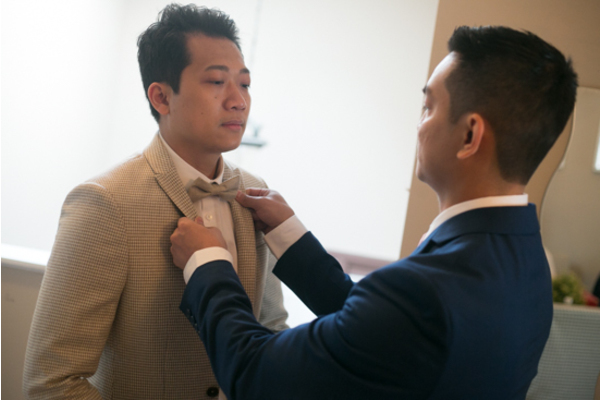 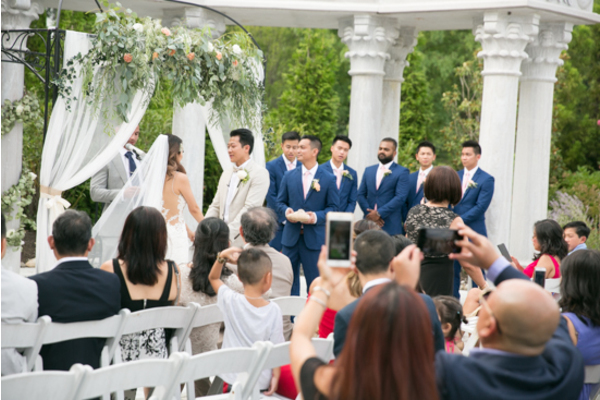 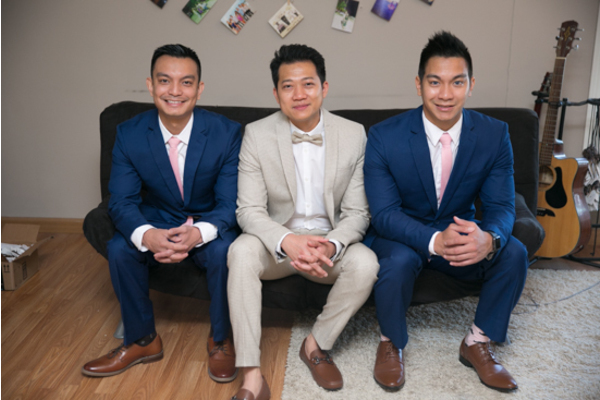 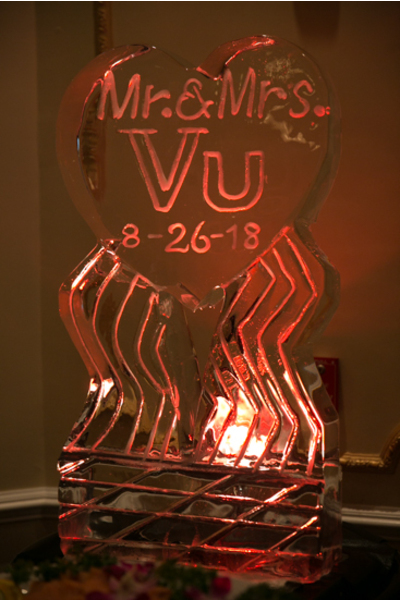 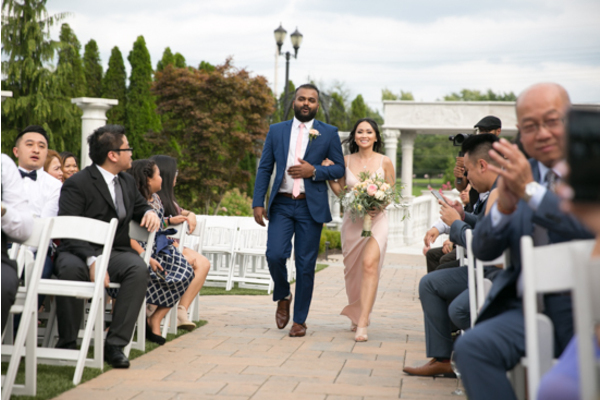 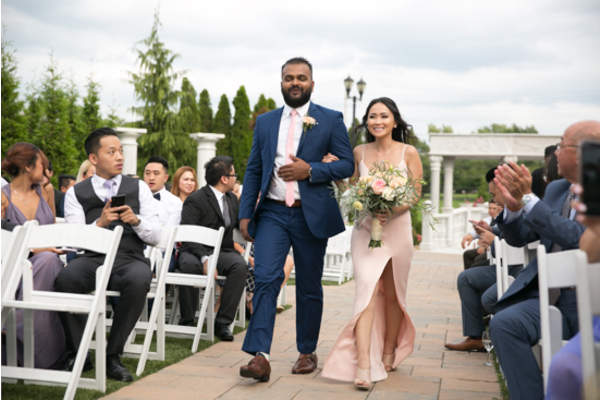 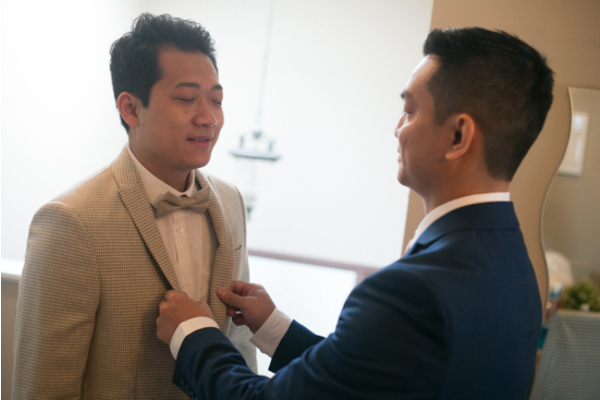 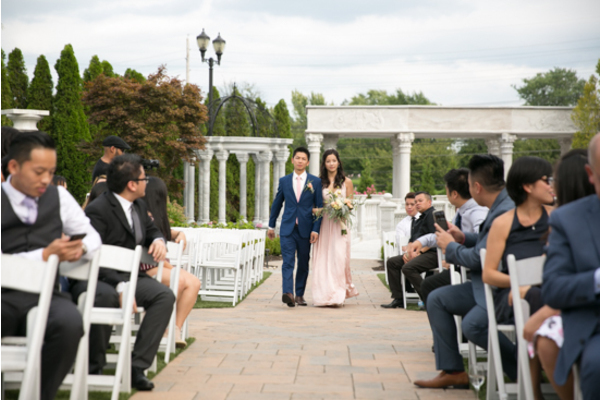 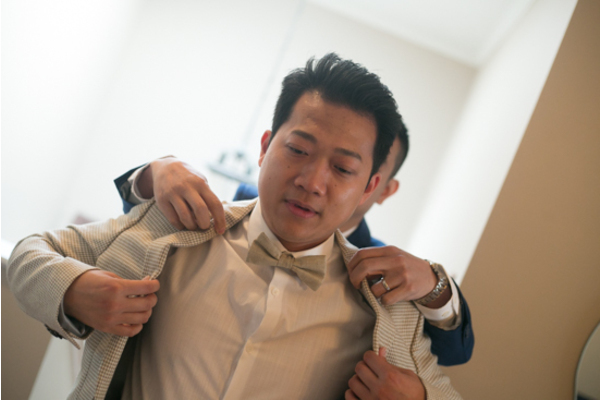 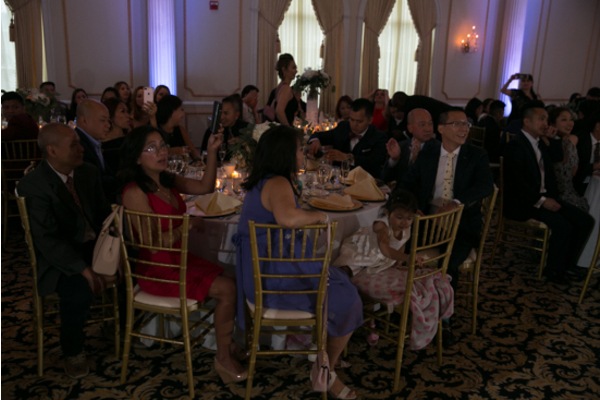 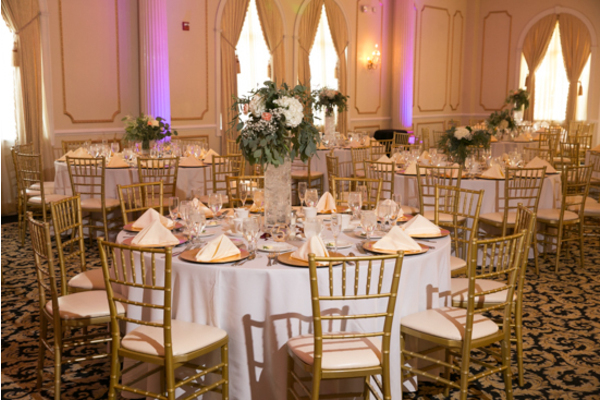 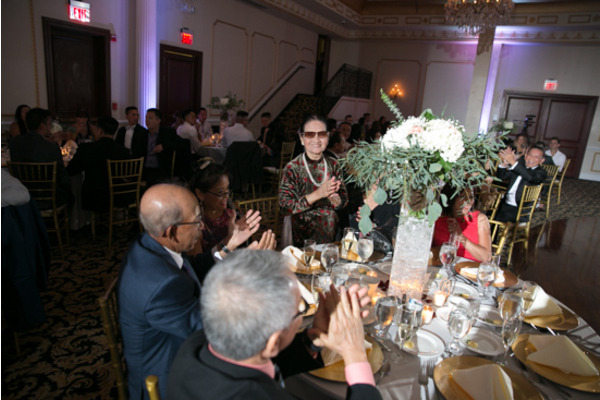 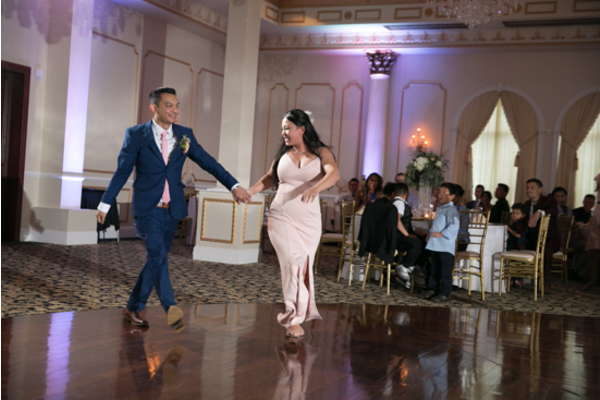 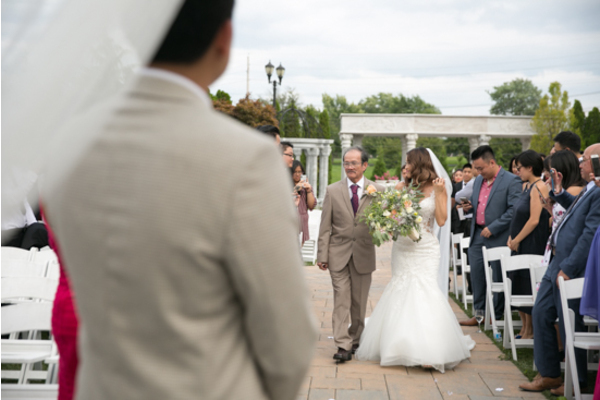 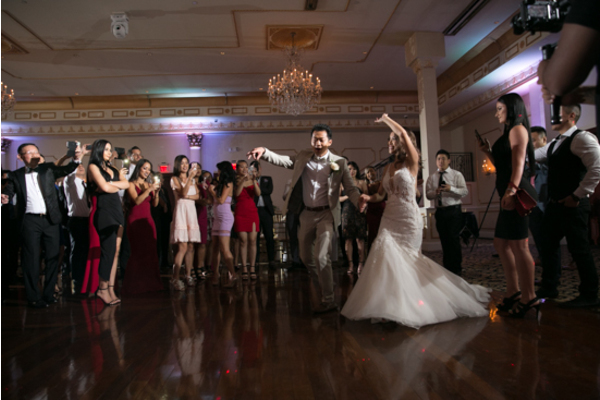 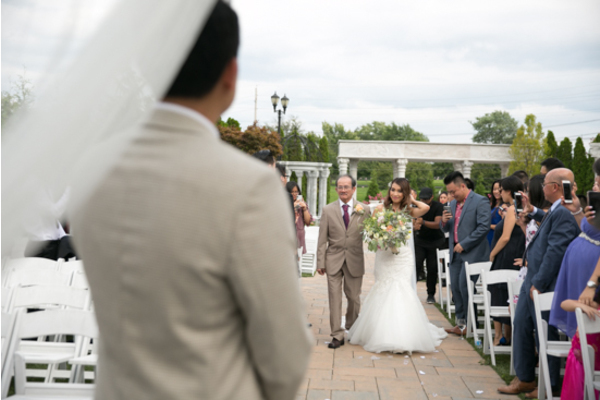 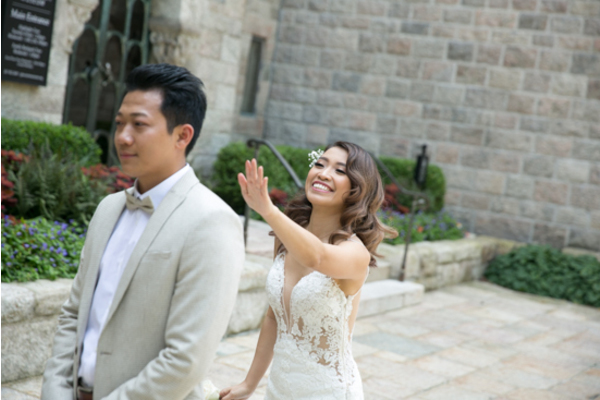 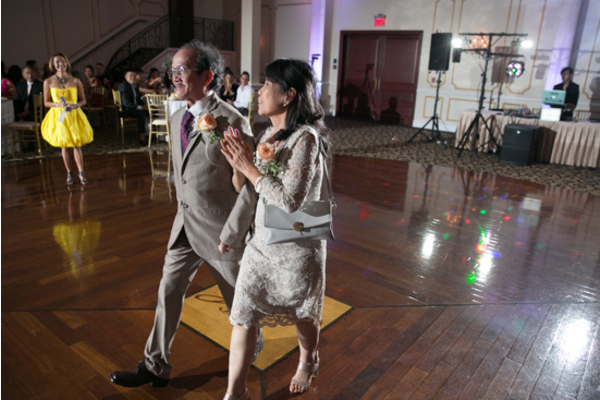 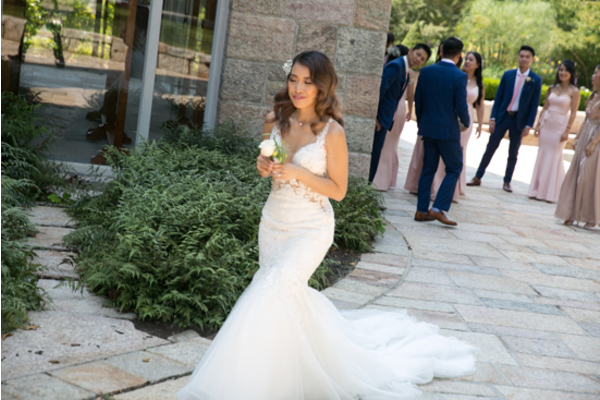 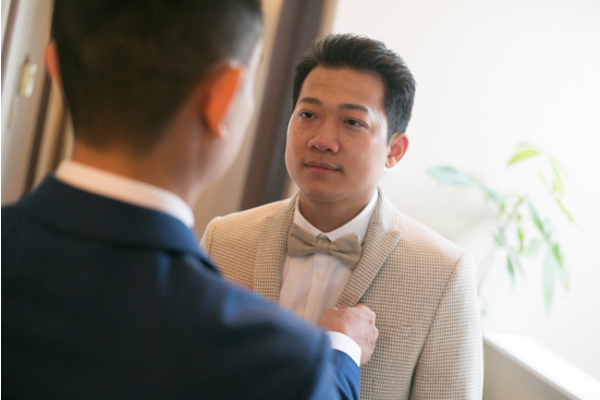 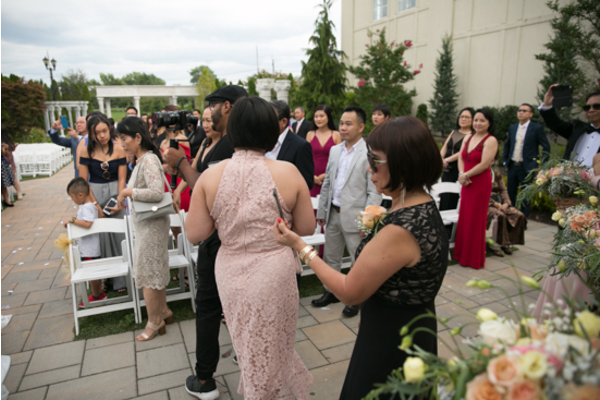 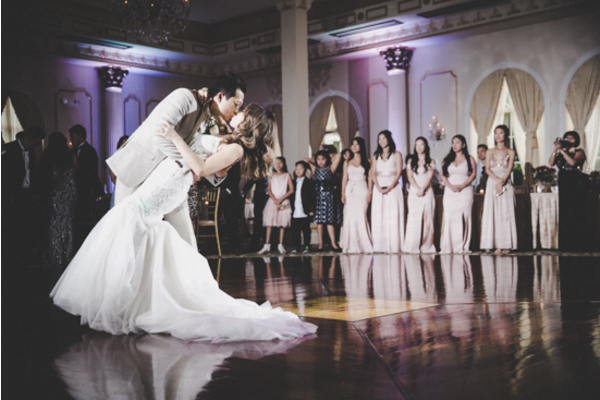 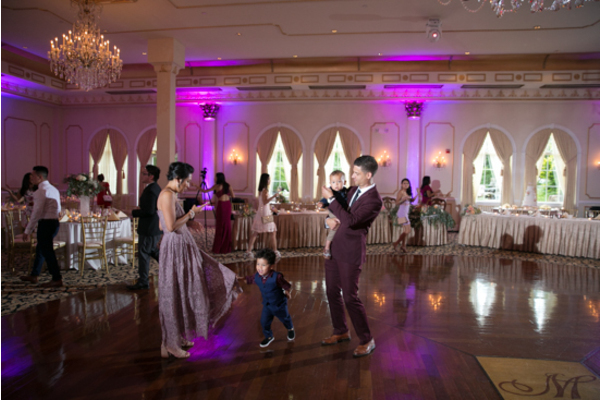 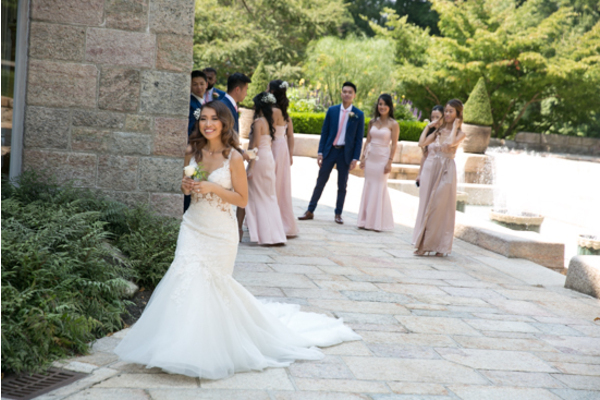 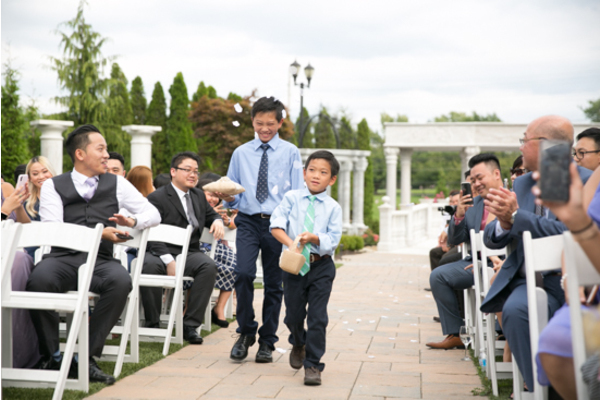 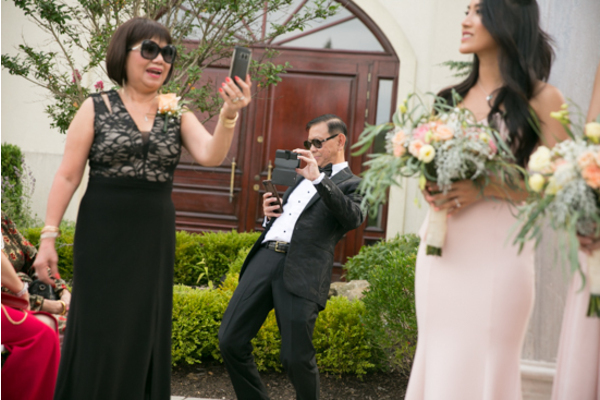 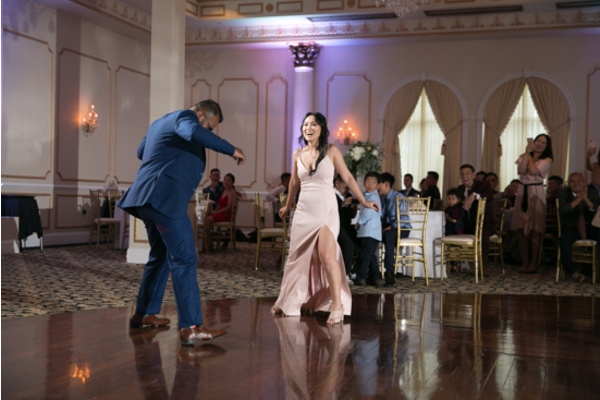 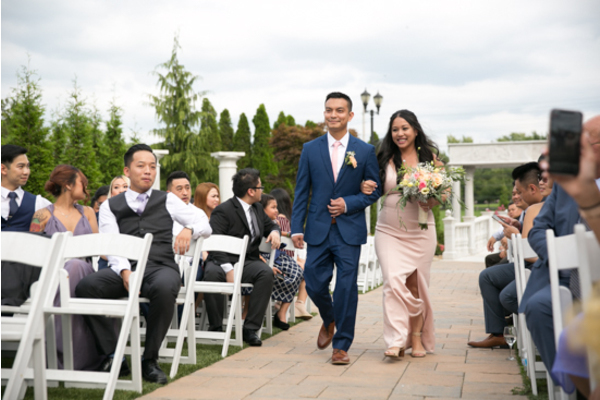 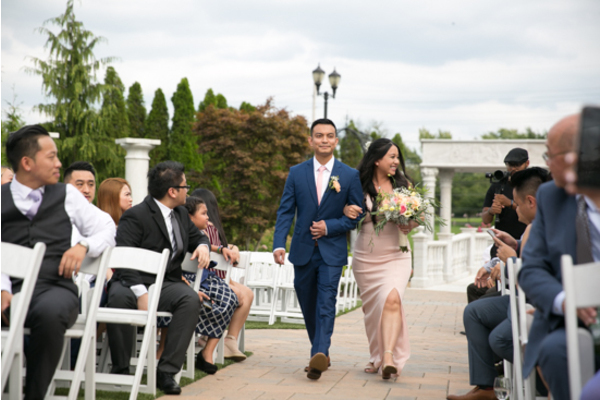 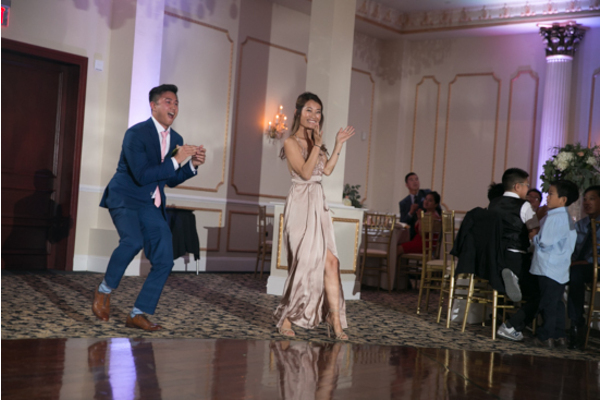 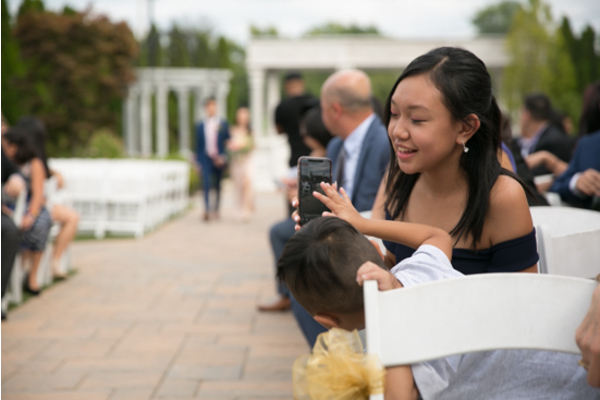 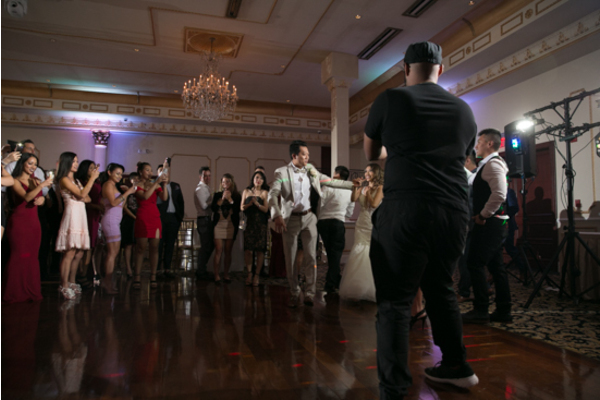 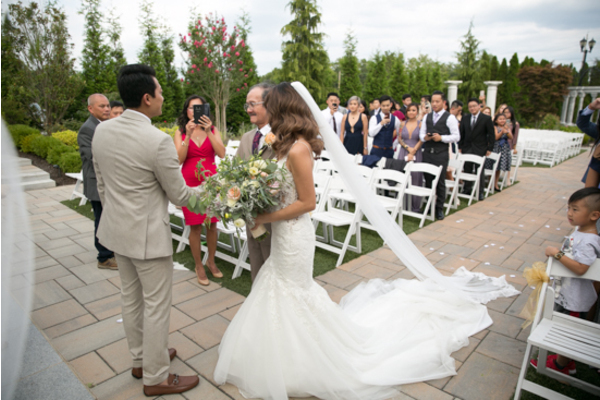 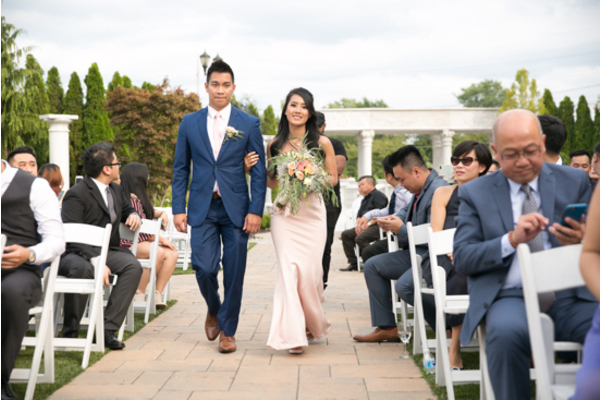 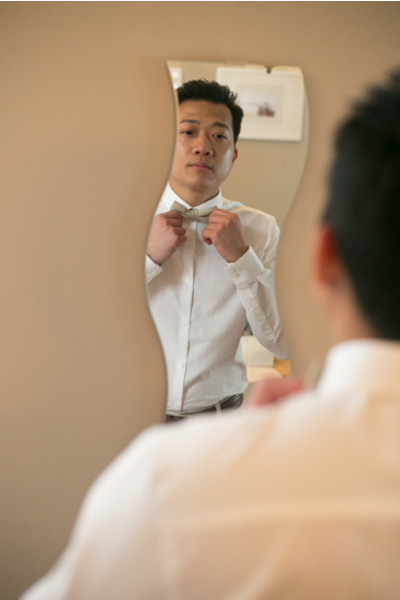 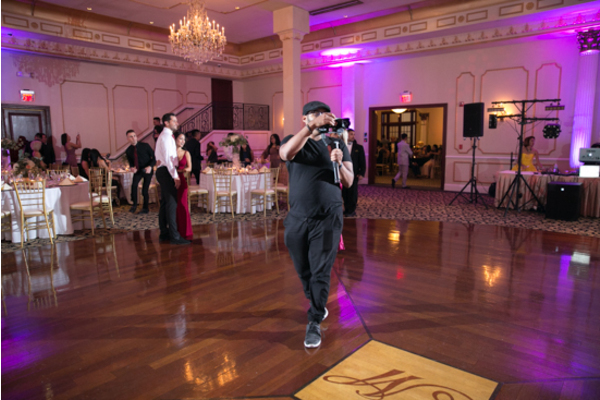 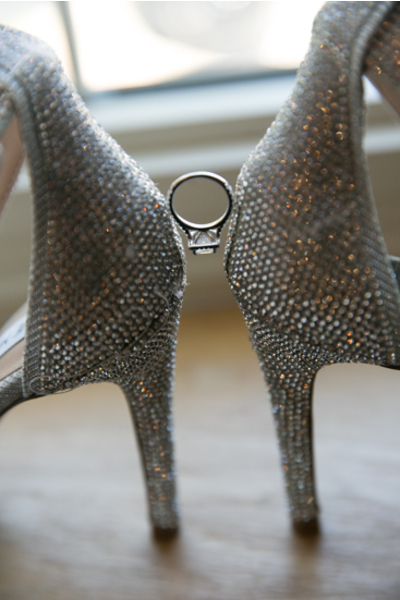 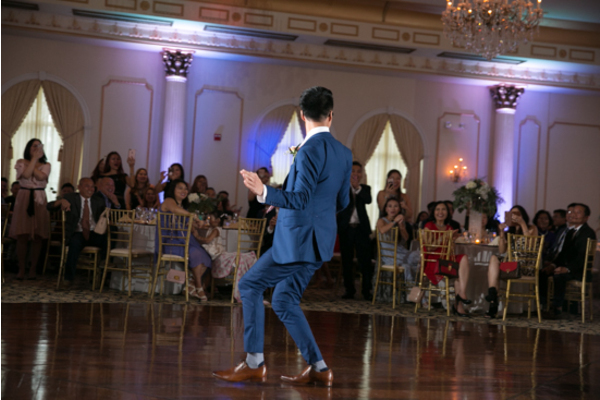 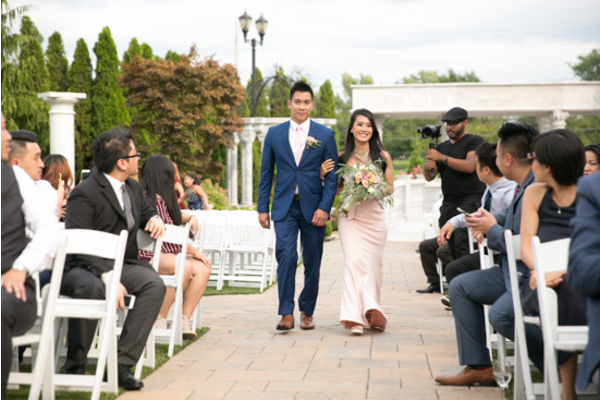 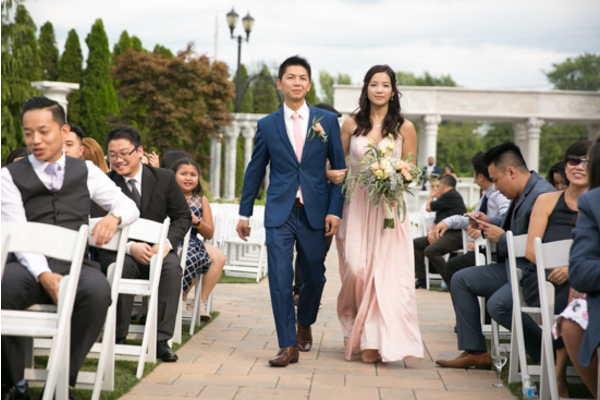 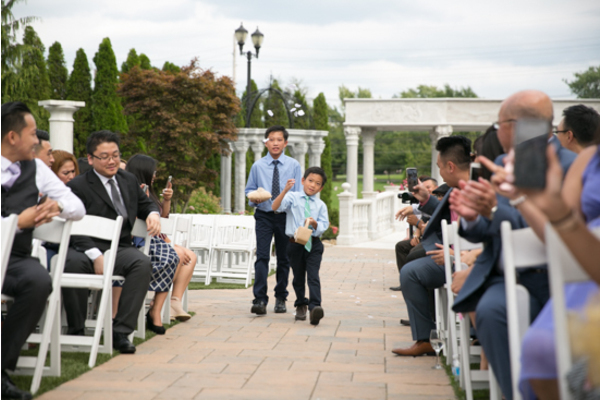 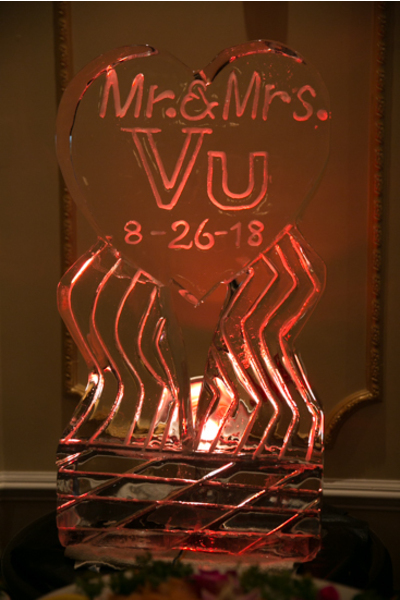 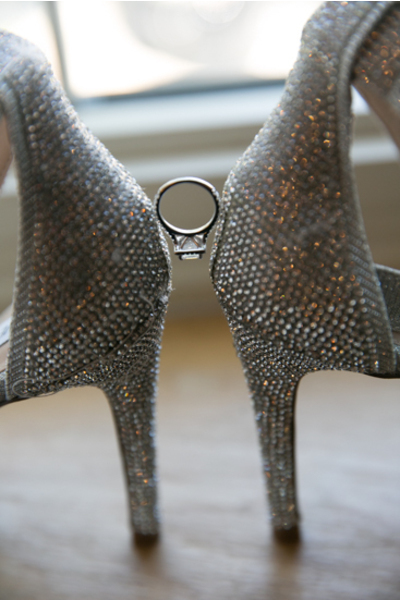 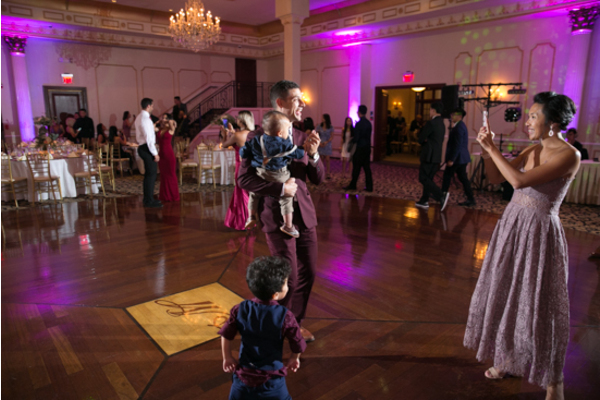 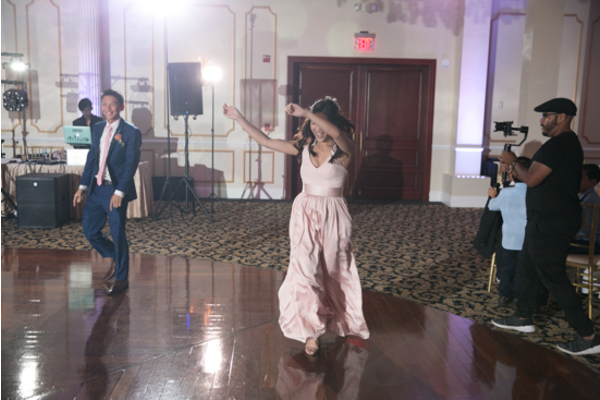 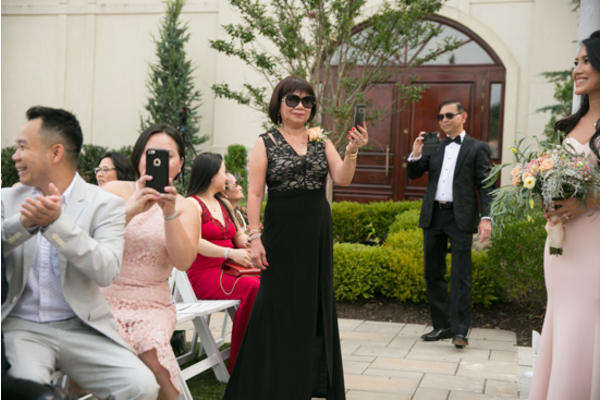 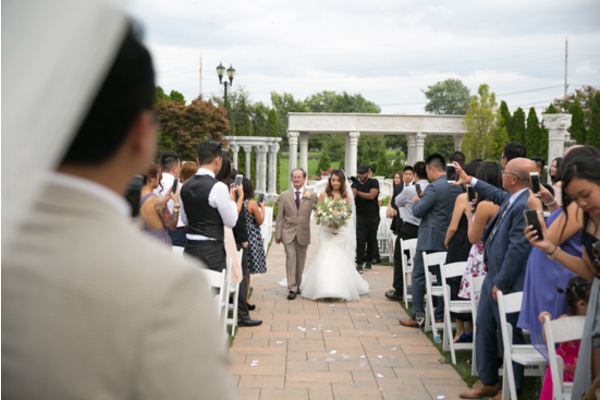 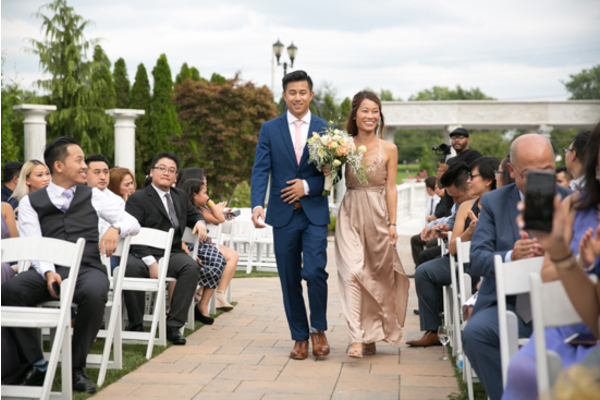 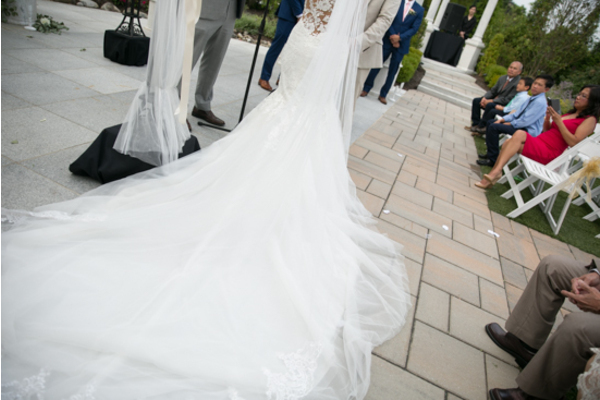 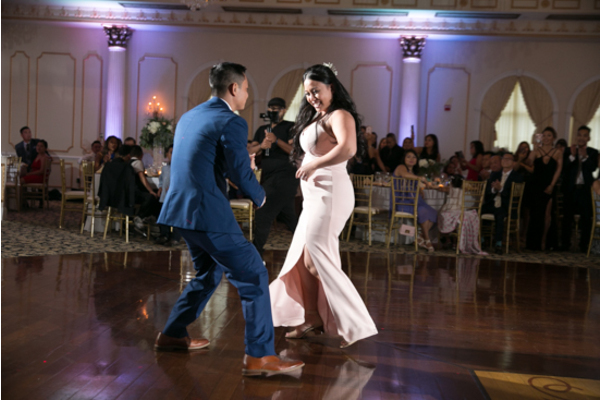 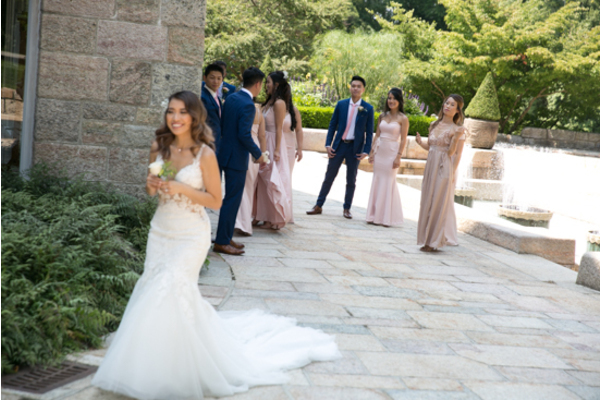 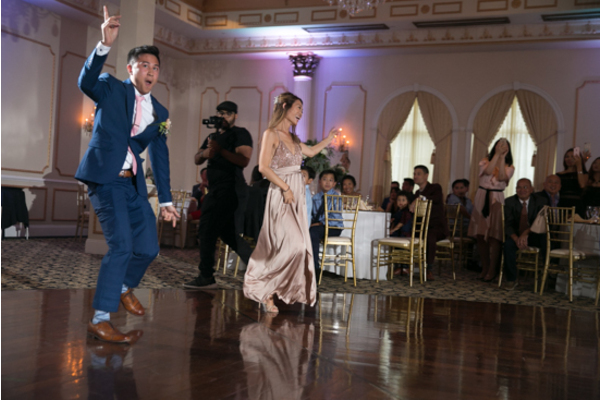 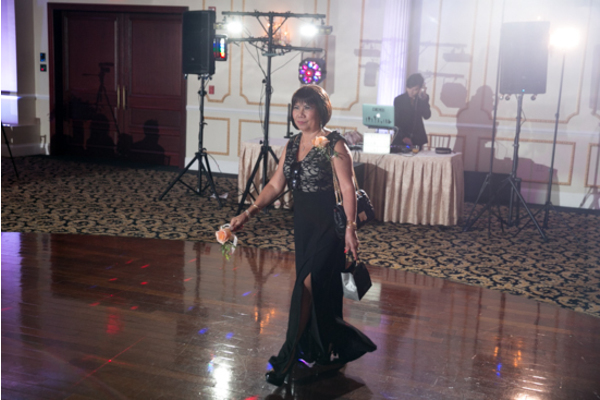 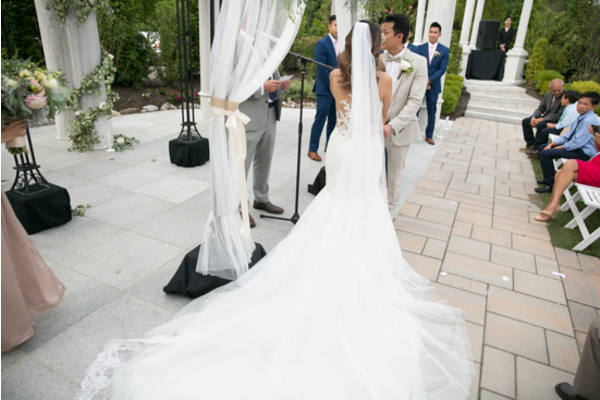 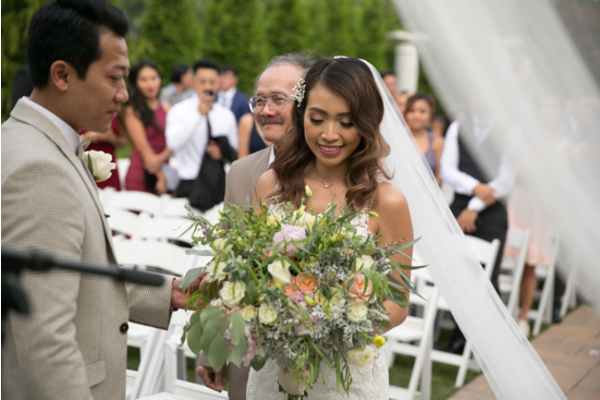 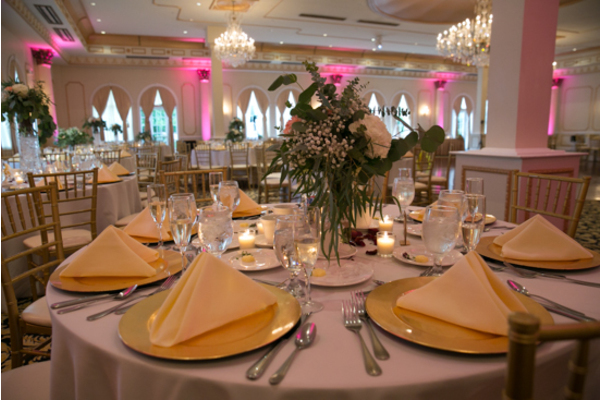 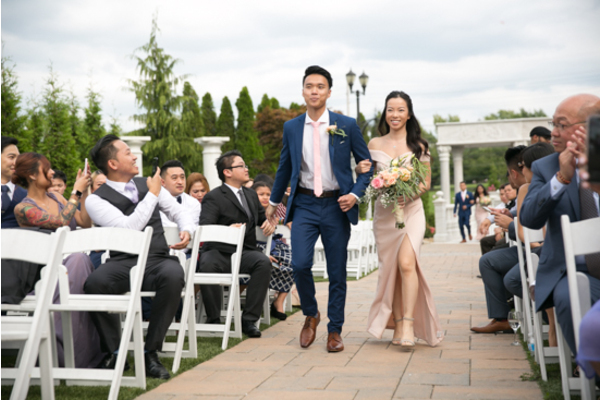 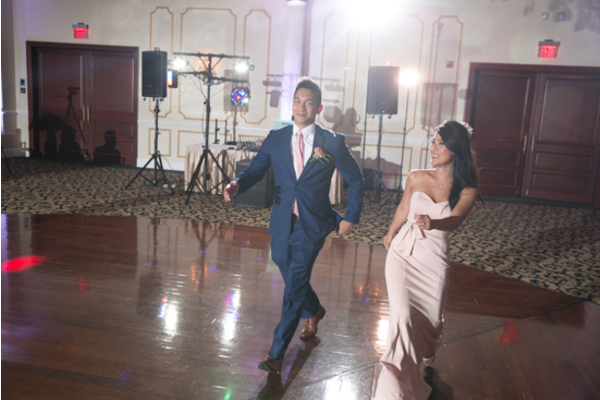 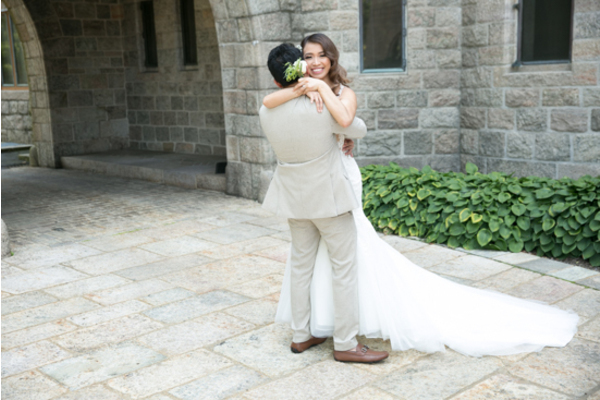 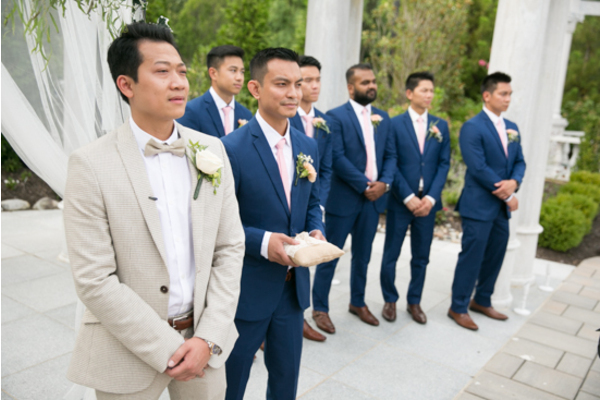 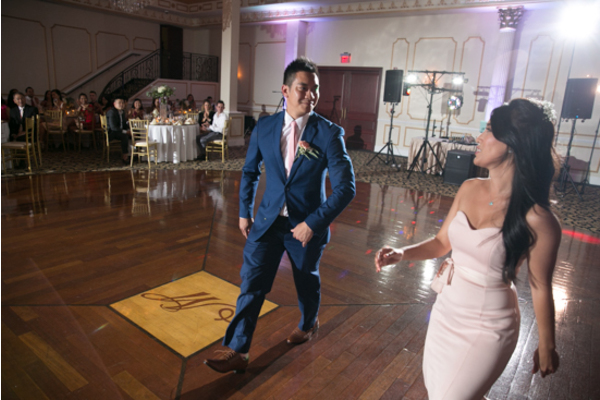 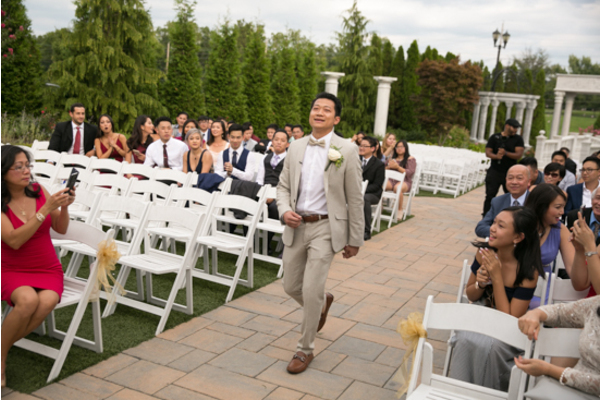 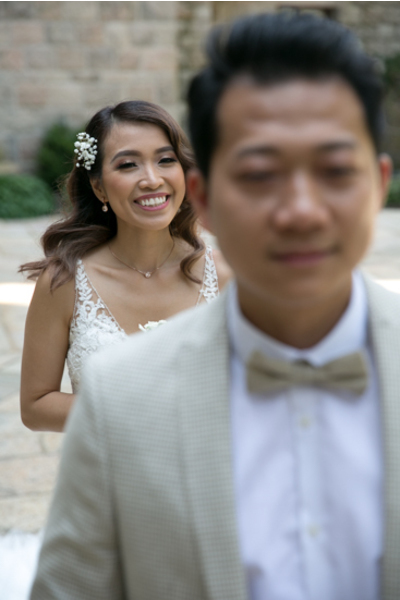 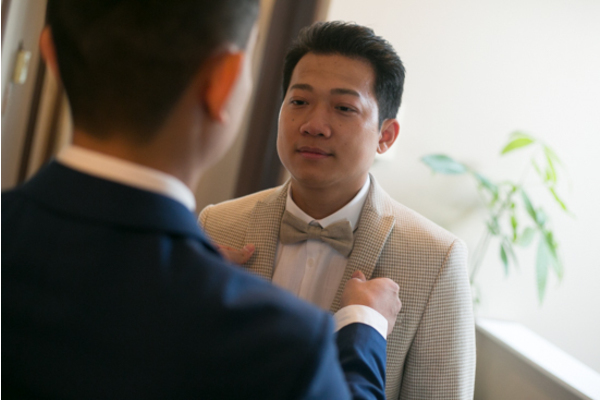 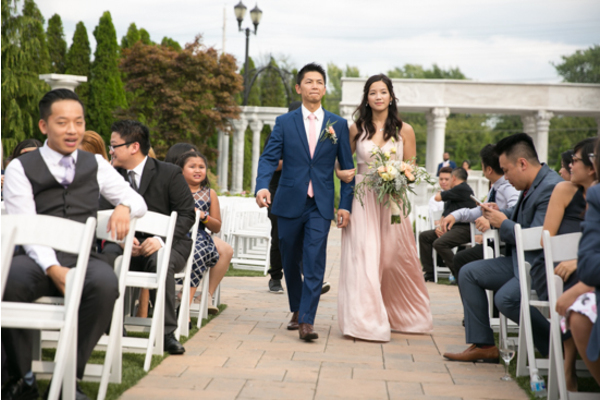 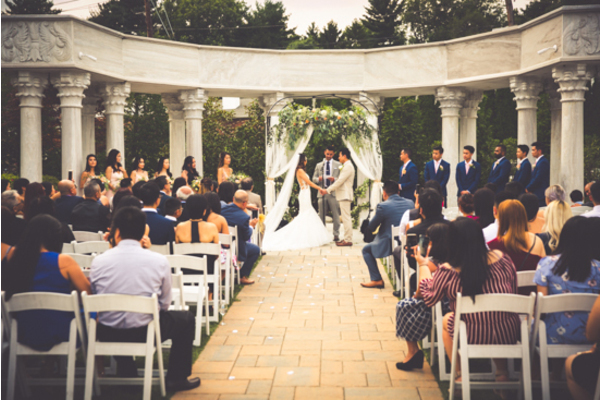 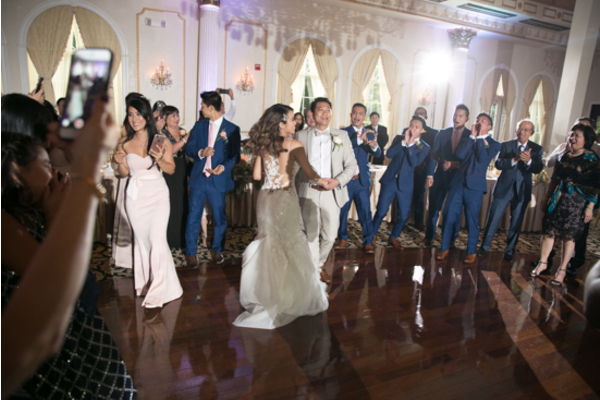 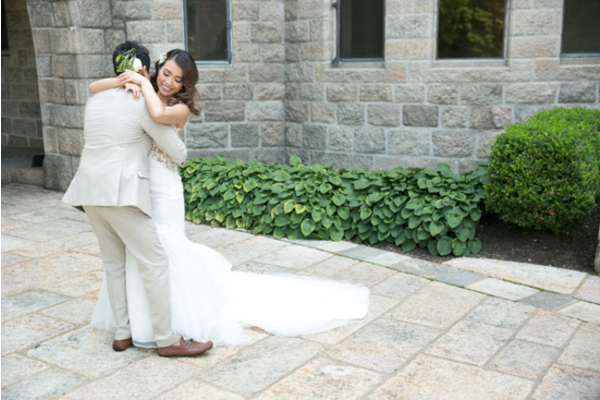 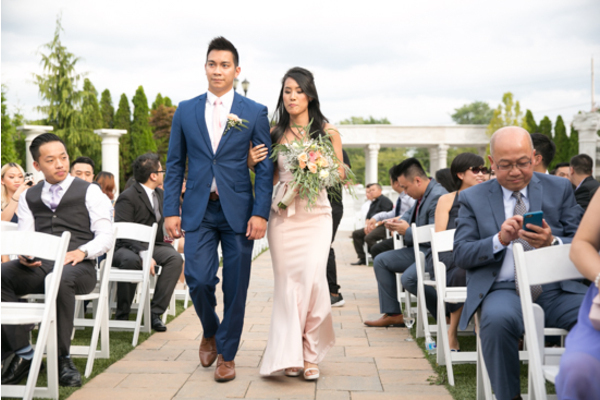 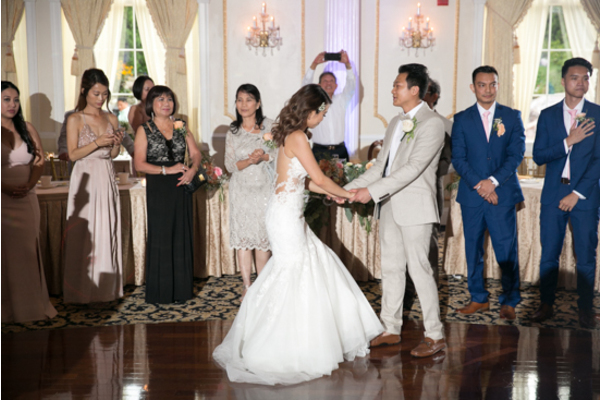 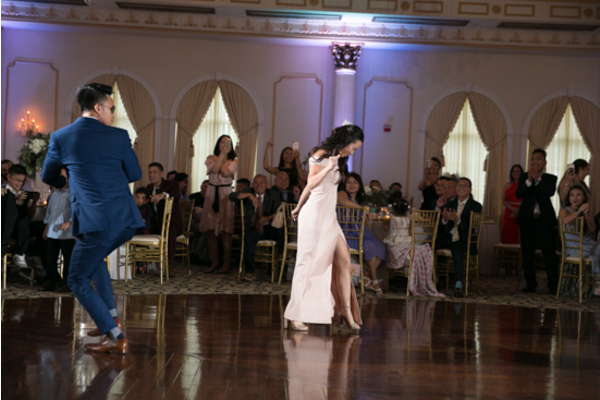 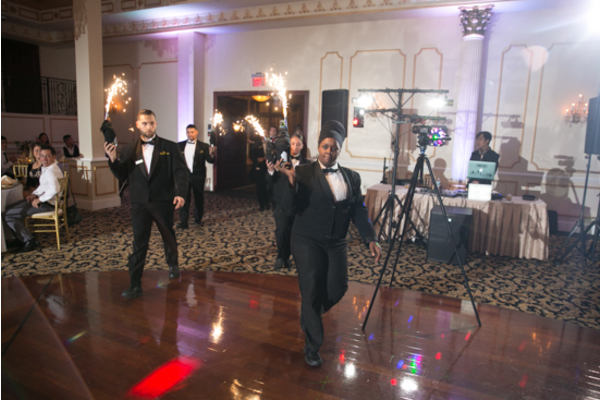 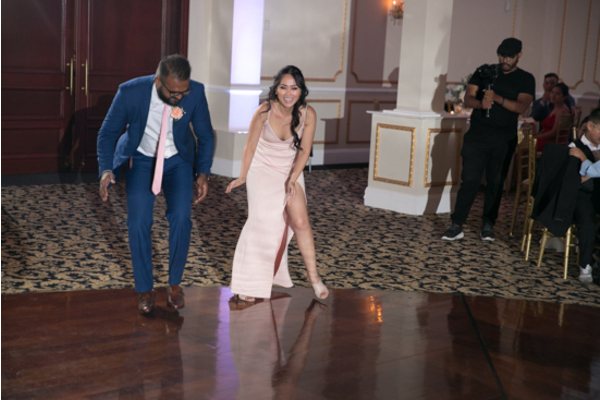 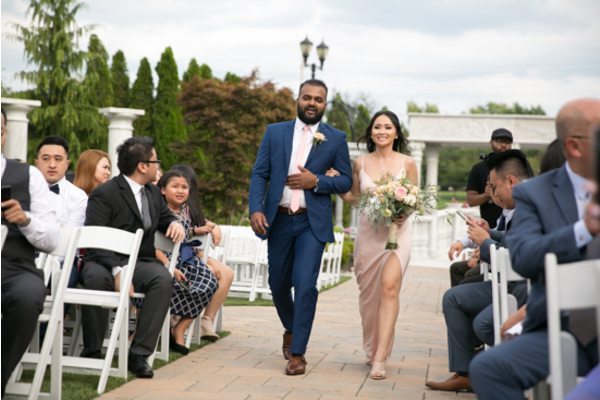 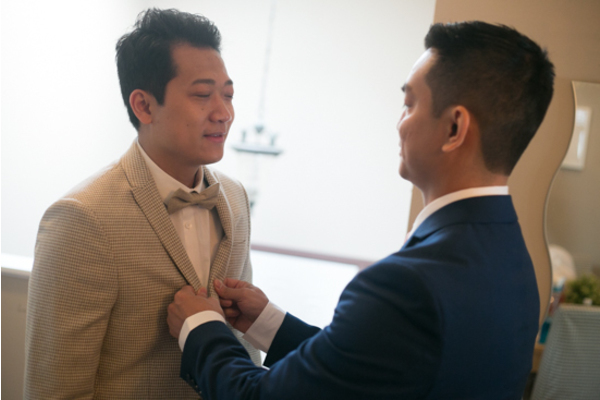 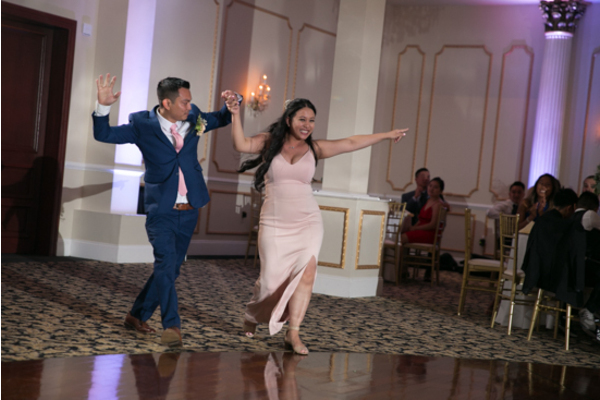 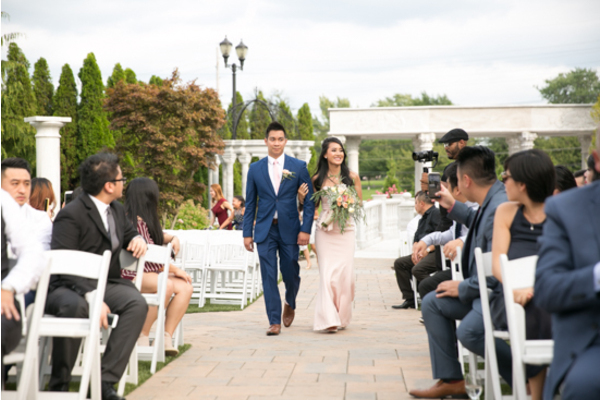 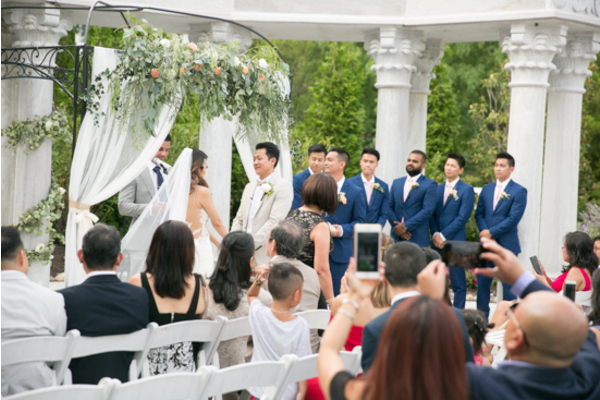 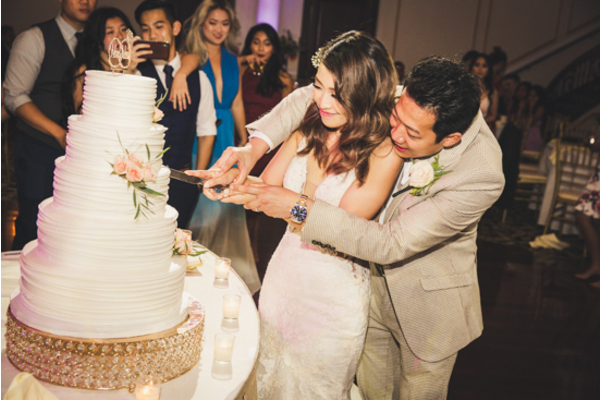 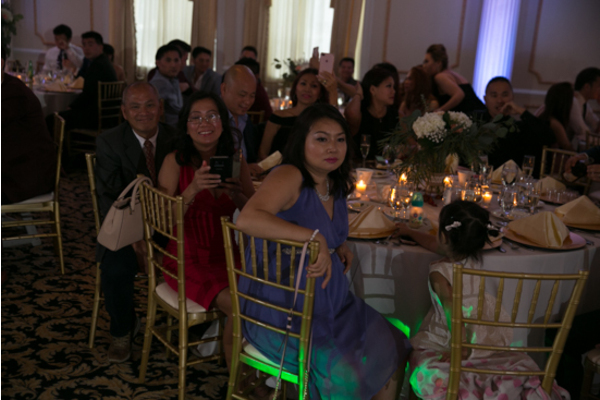 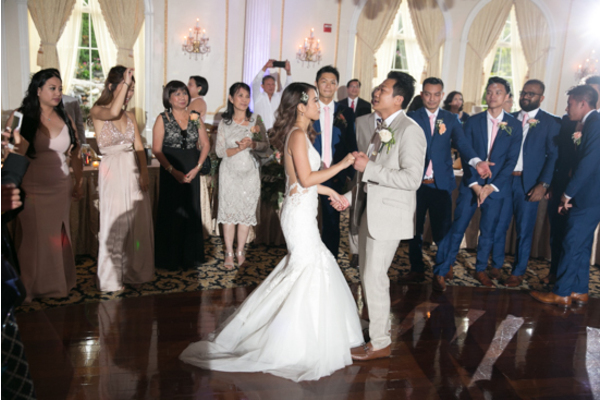 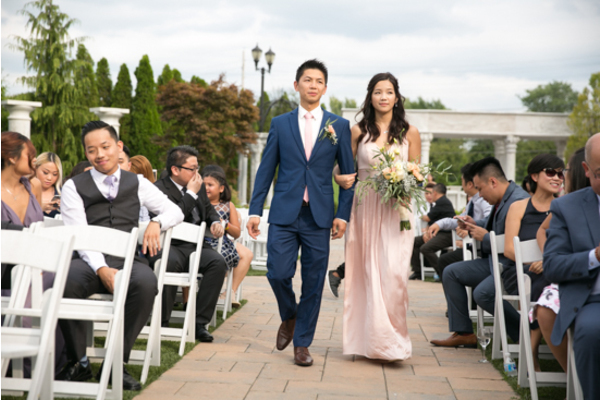 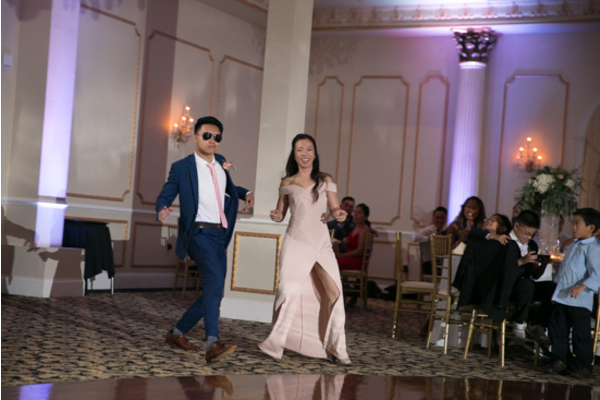 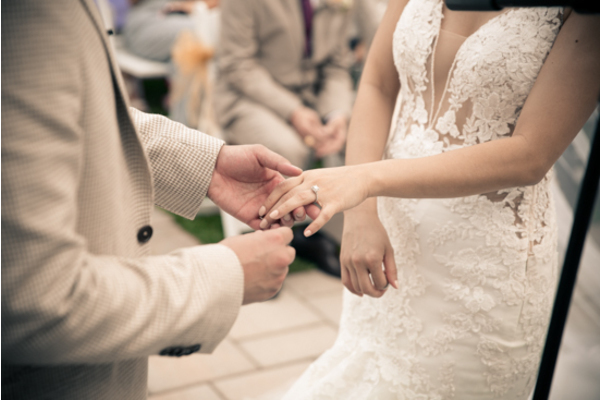 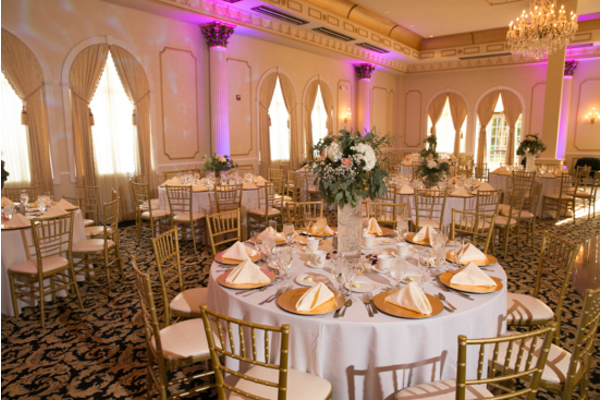 At the reception, they were introduced as a newly wed couple for the first time and shared their first dance together, captured by our NJ Wedding Photographer. 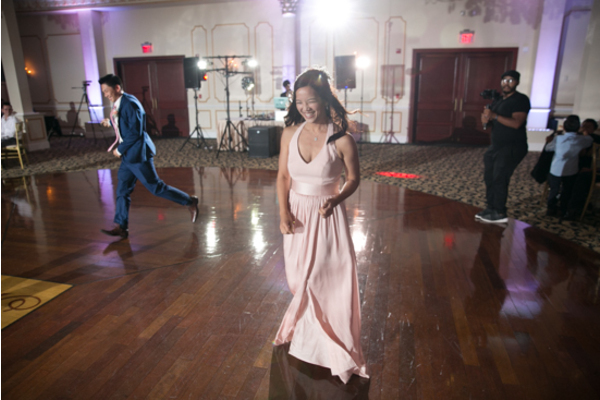 The remainder of the night was filled with laughter and lots of dancing! 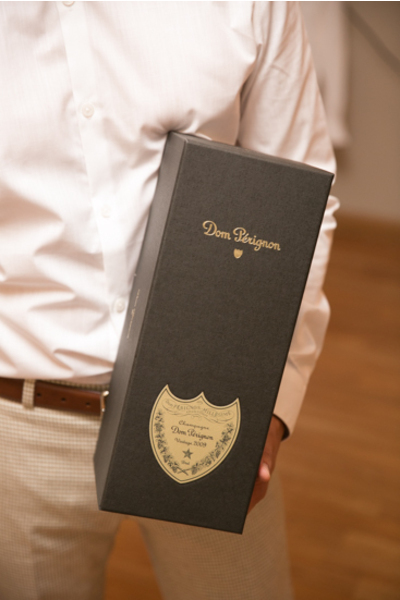 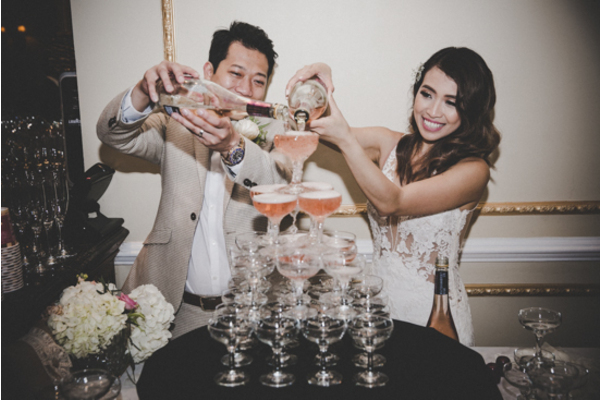 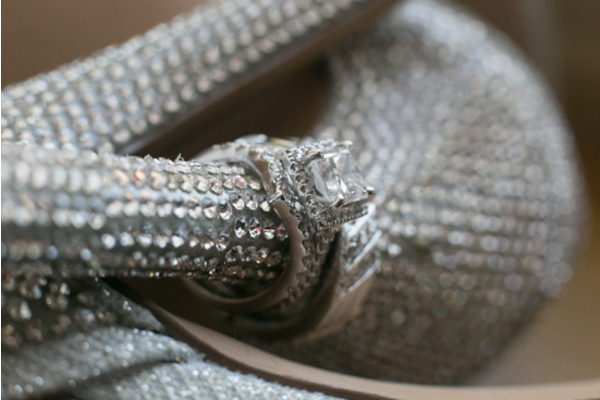 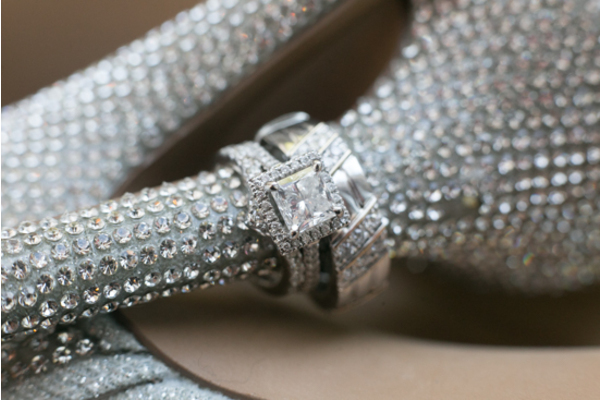 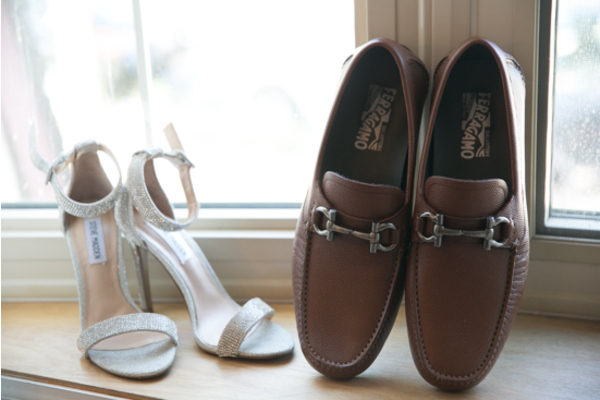 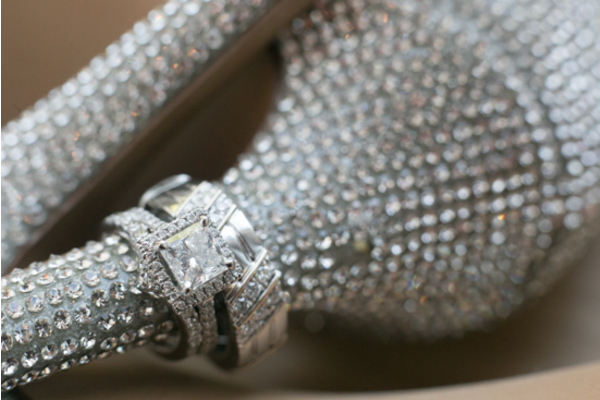 Toasts were made to their new life together and memories were created that will last a lifetime! 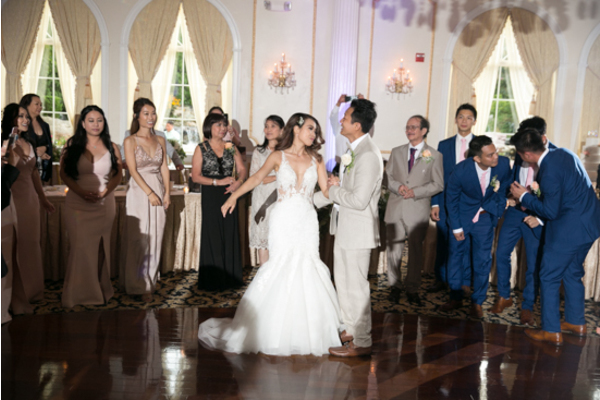 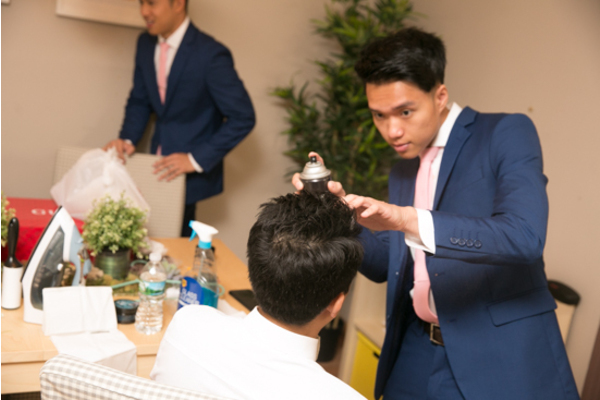 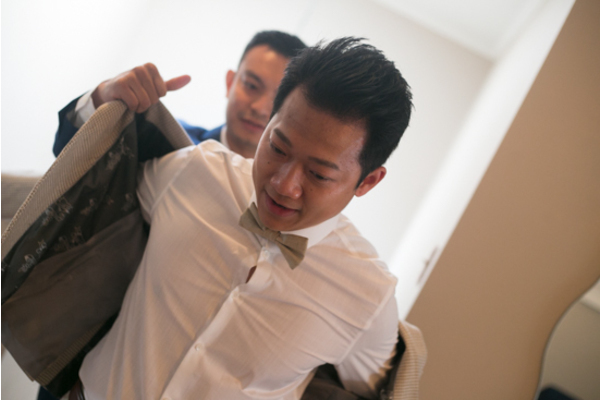 Congratulations again to the newly wed couple Tu and An! 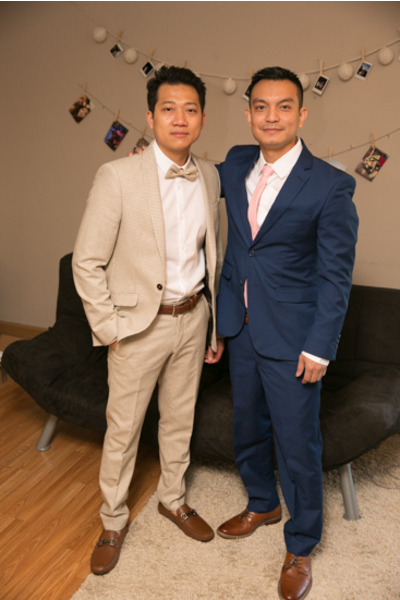 We wish you a lifetime of love!